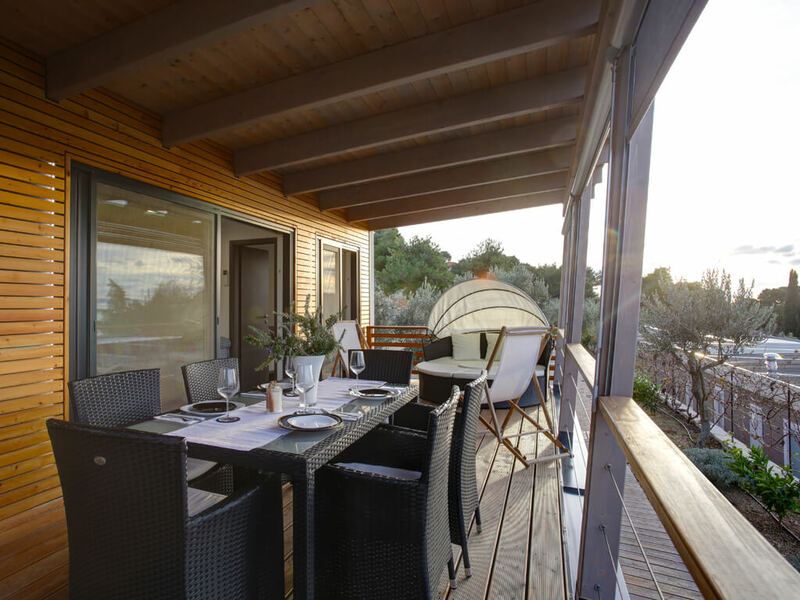 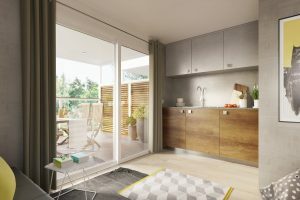 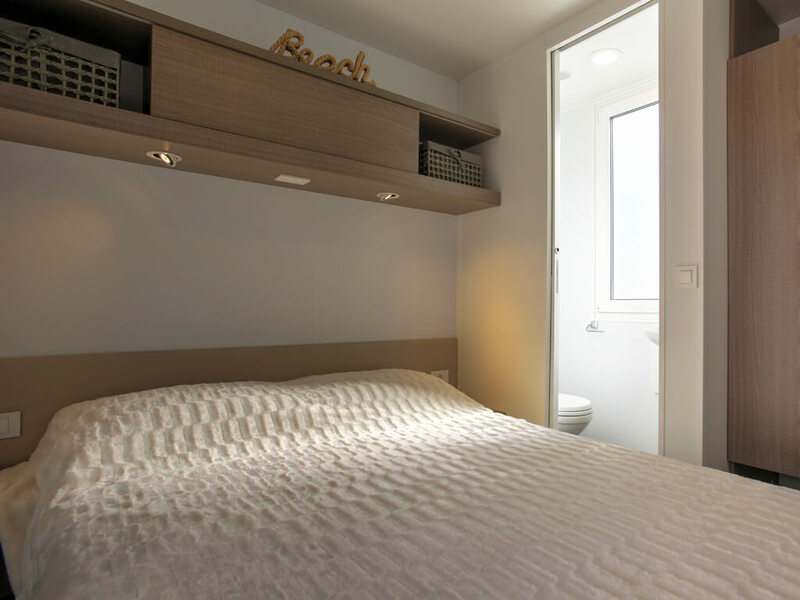 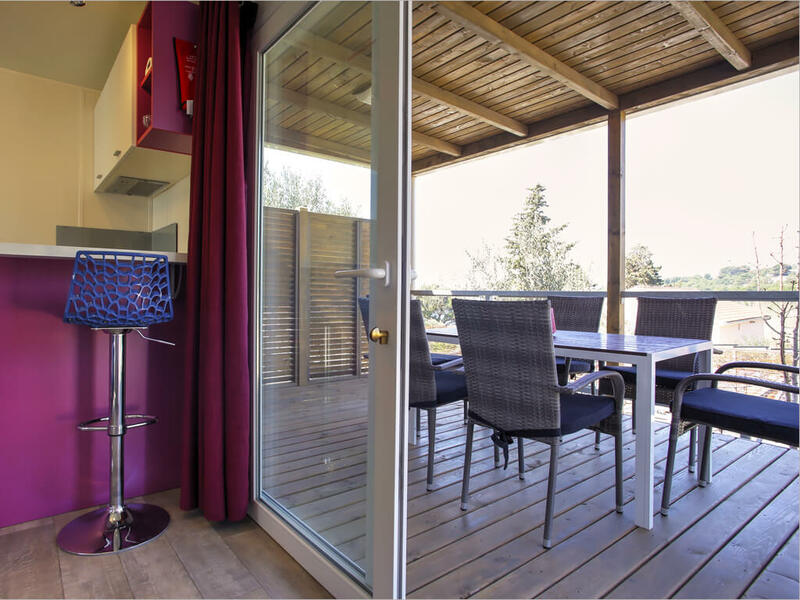 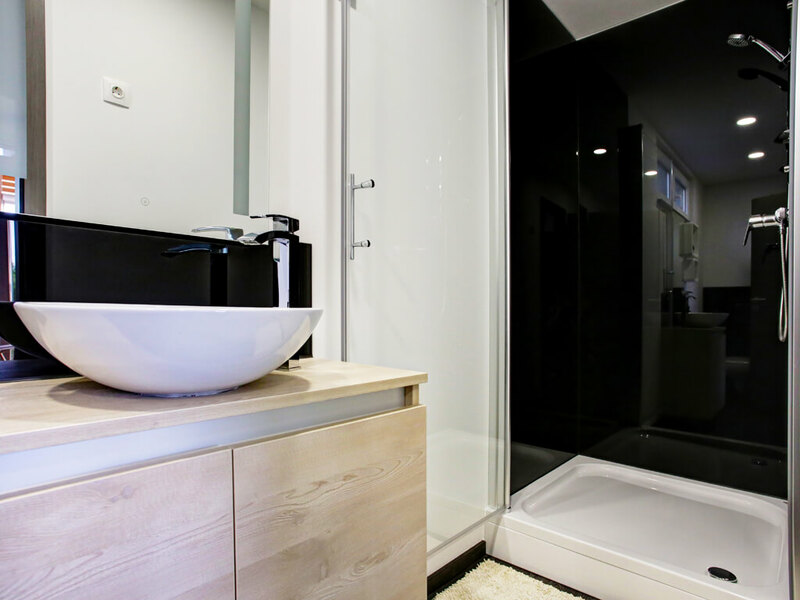 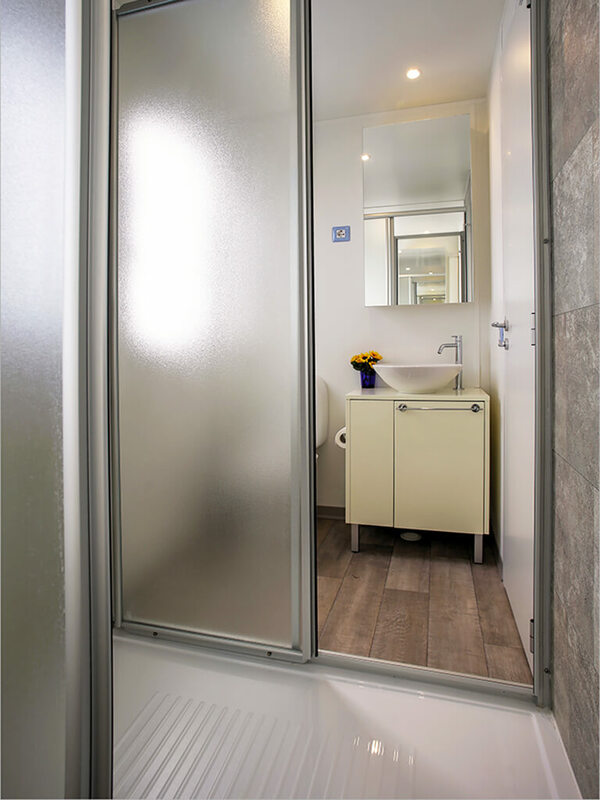 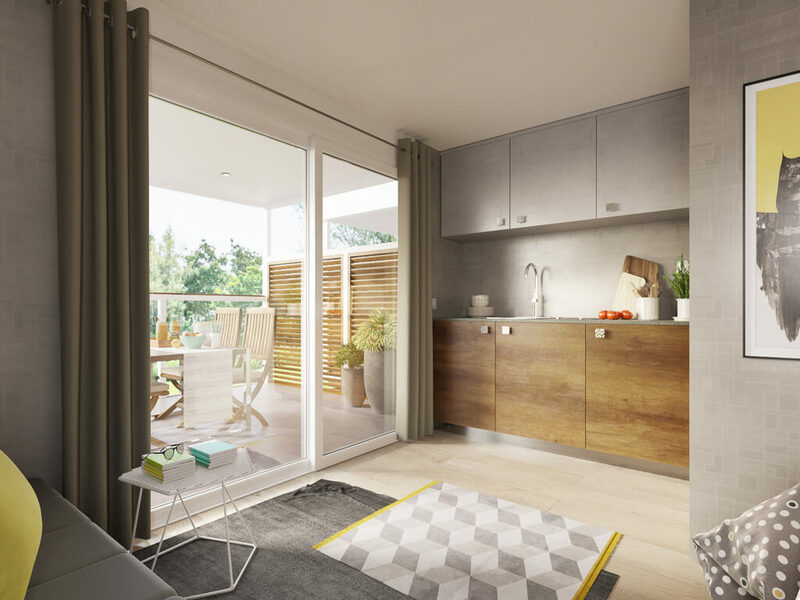 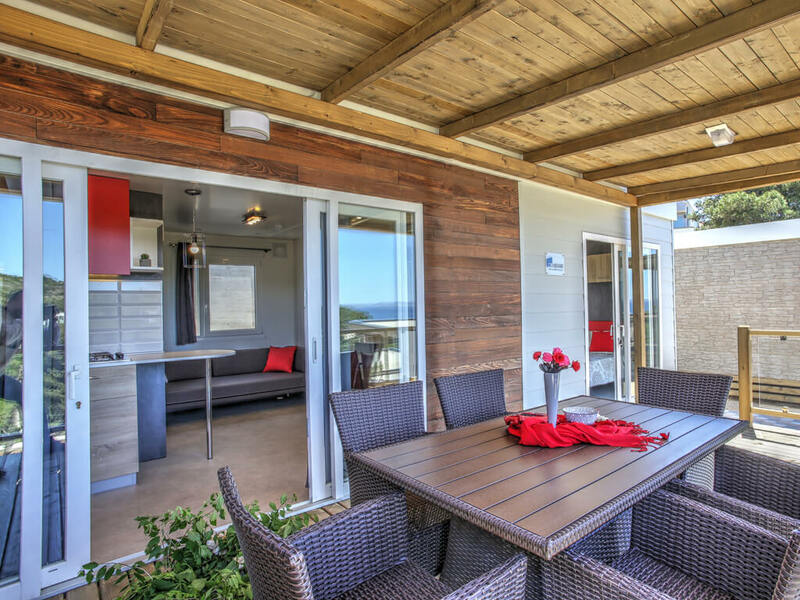 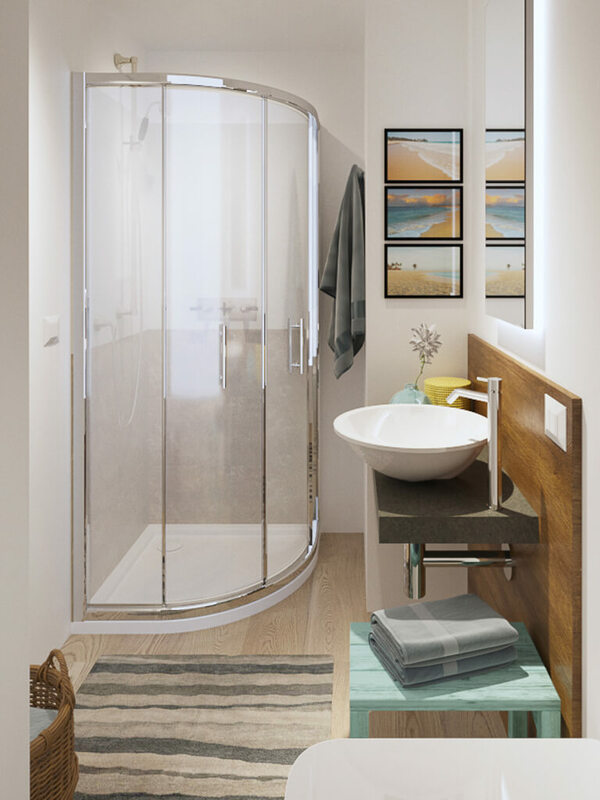 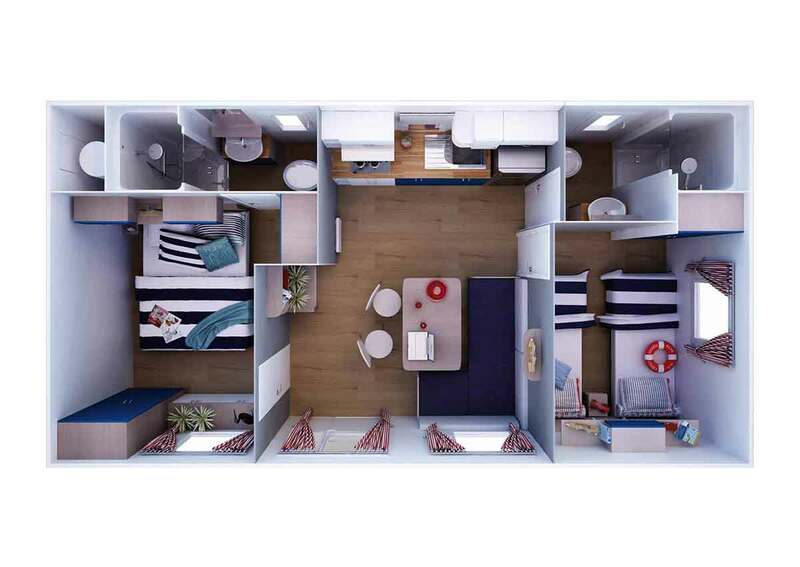 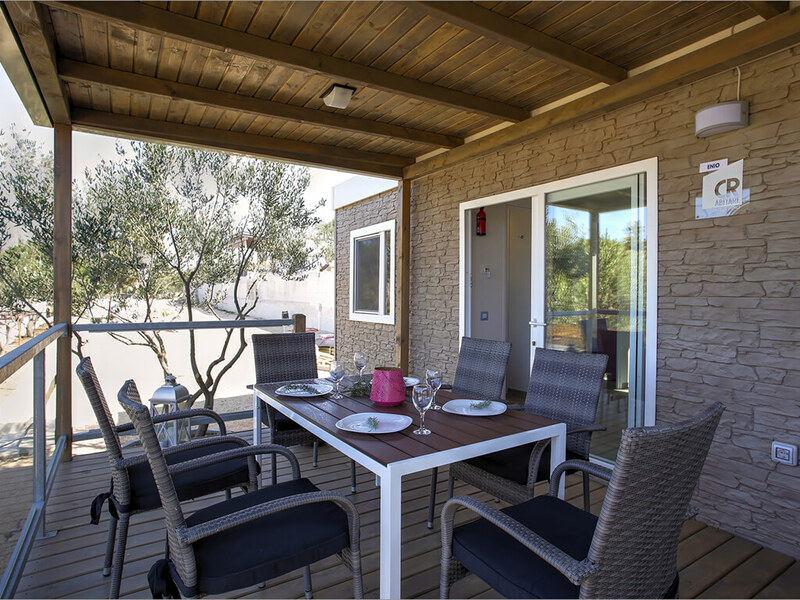 You fancy being close to nature and the sea, in the fresh air, but like the comforts and the feel of your own home? 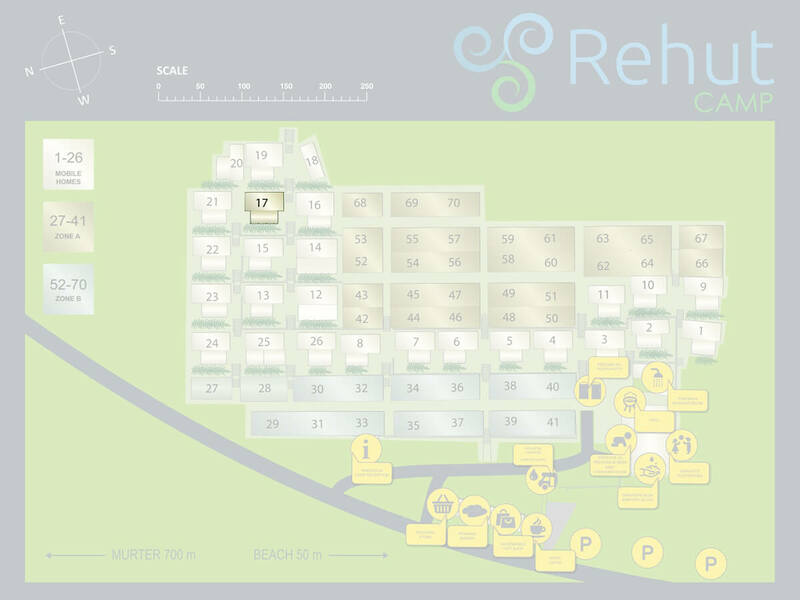 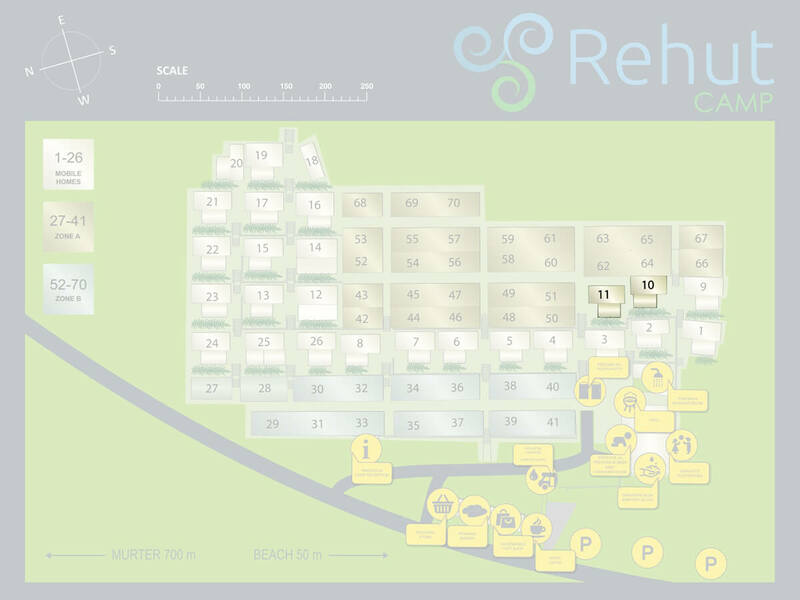 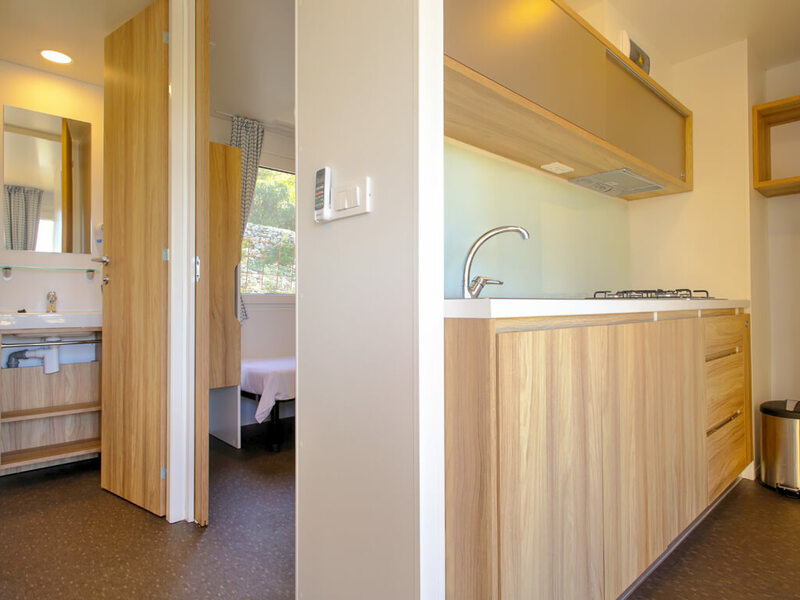 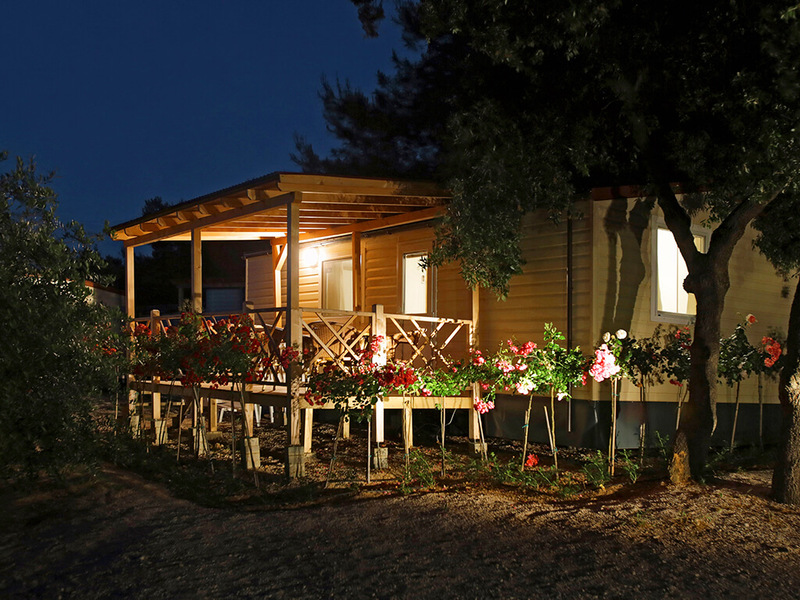 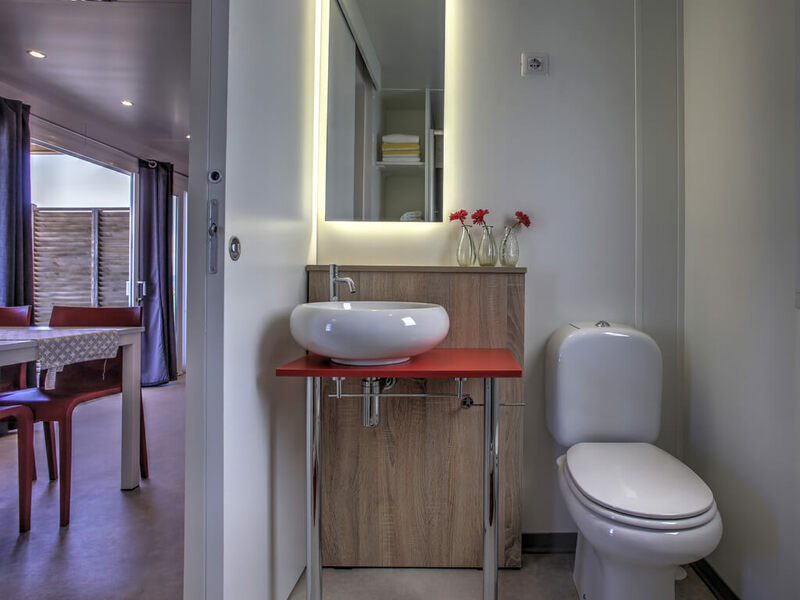 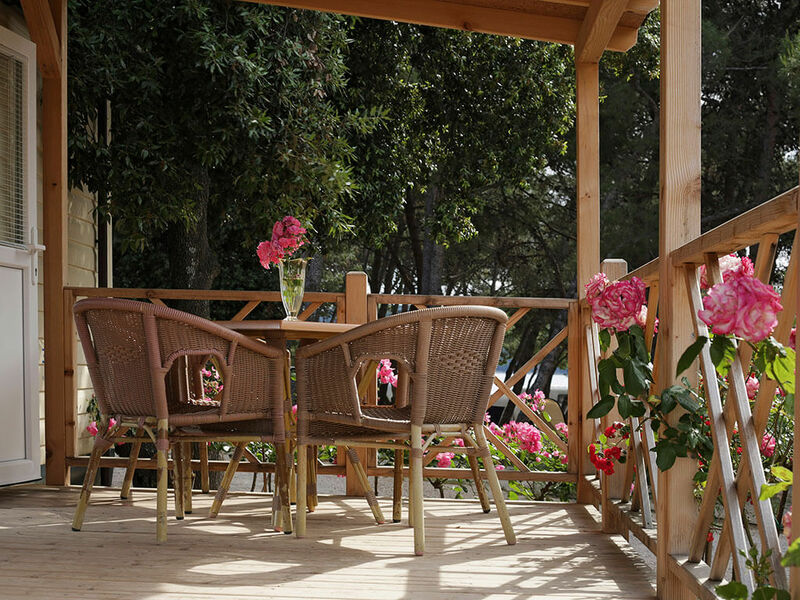 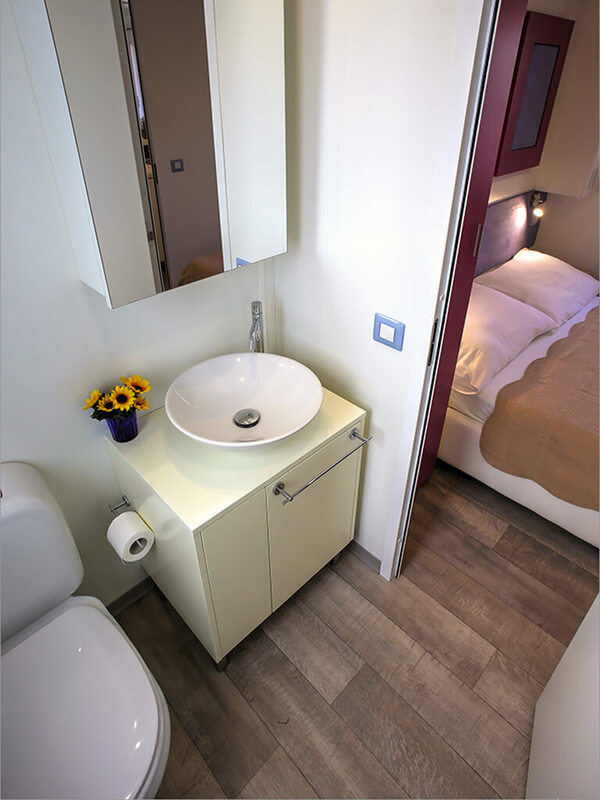 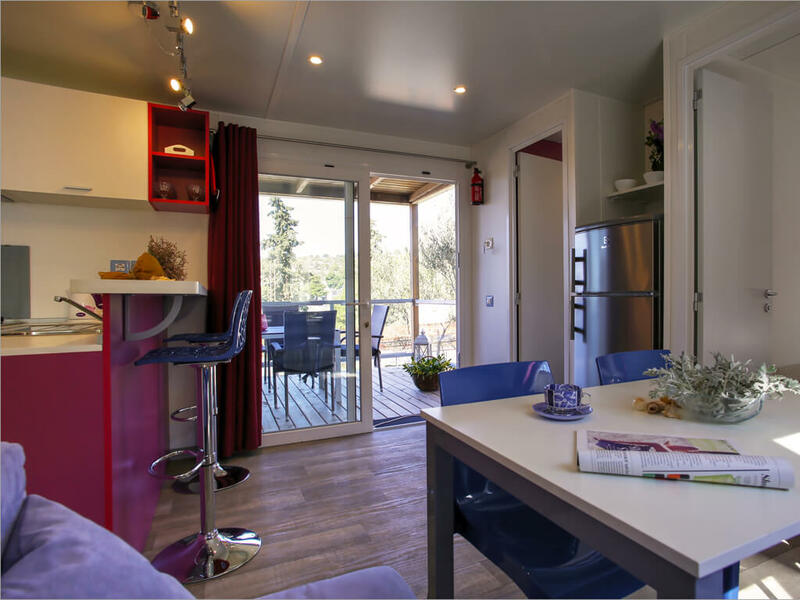 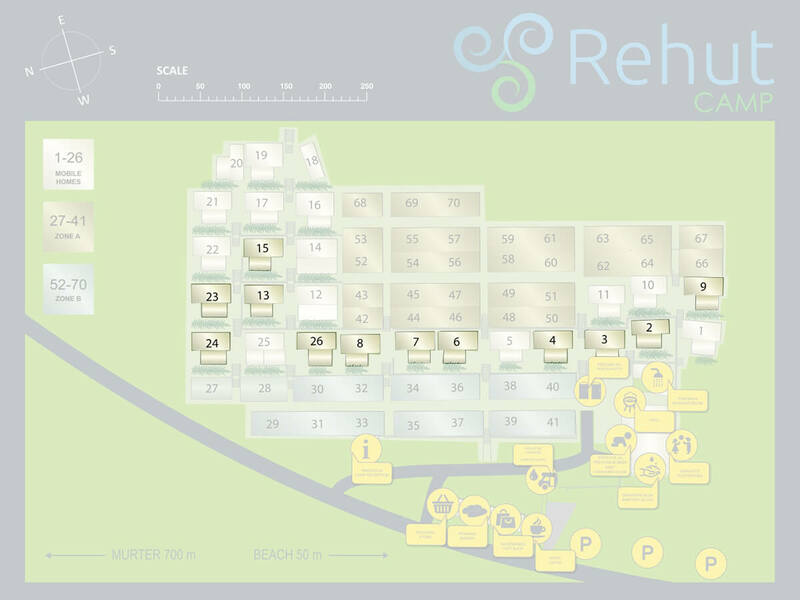 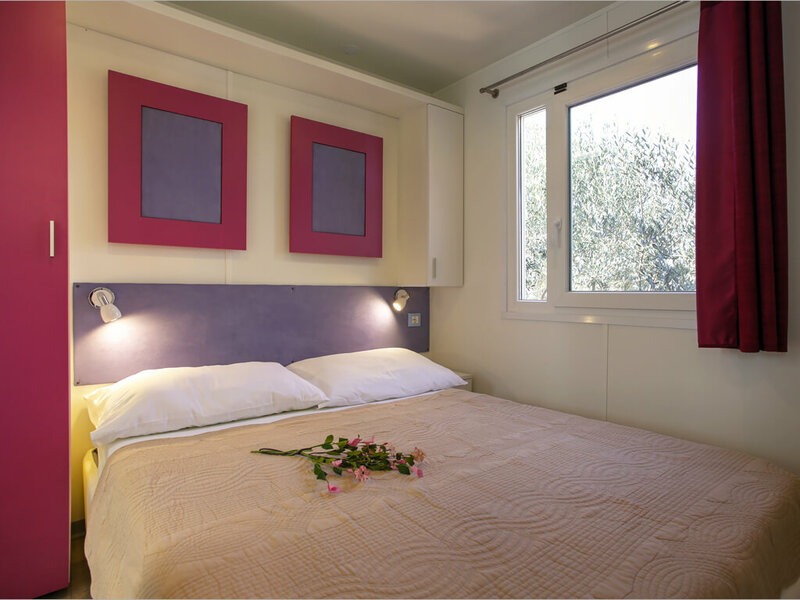 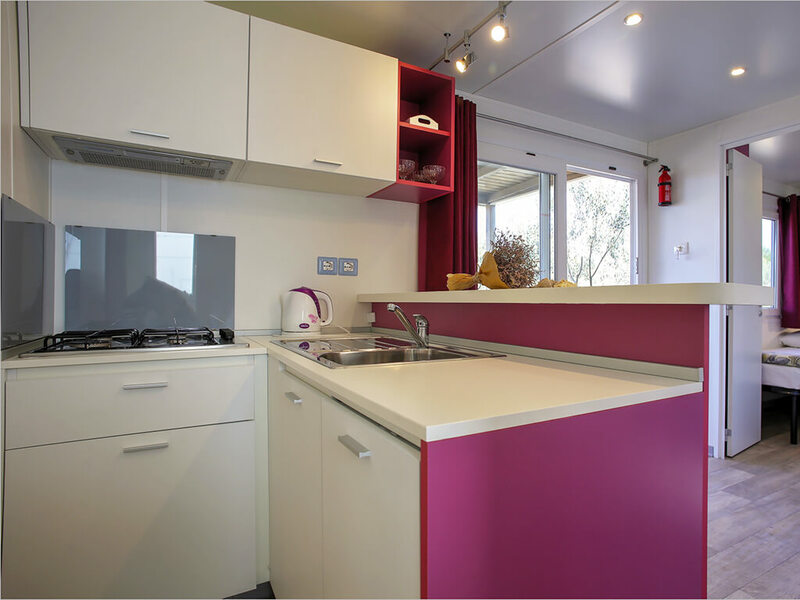 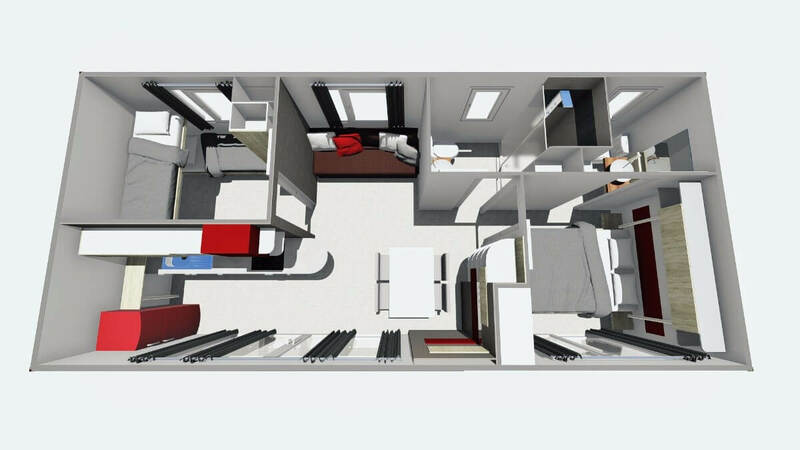 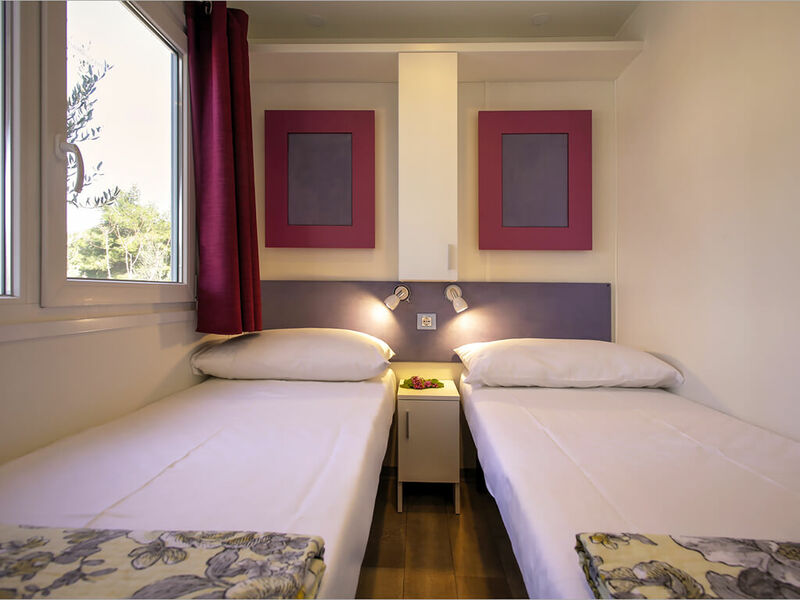 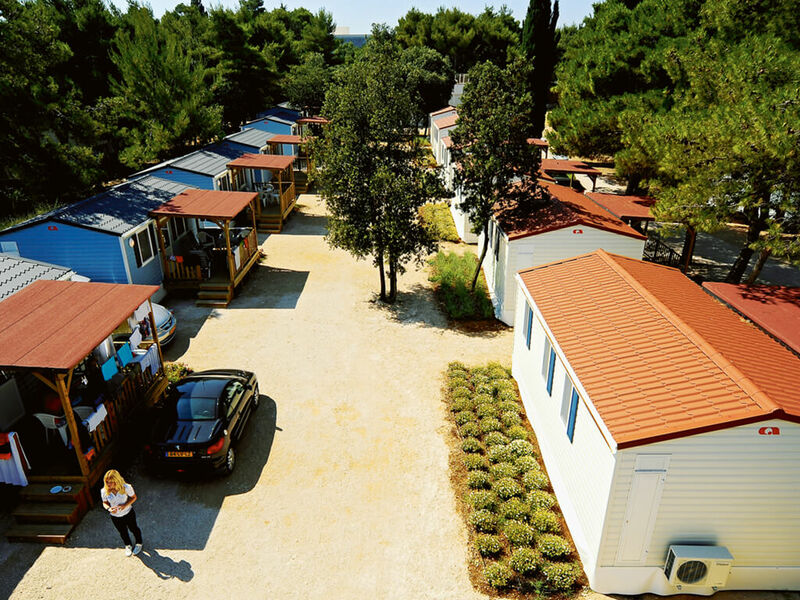 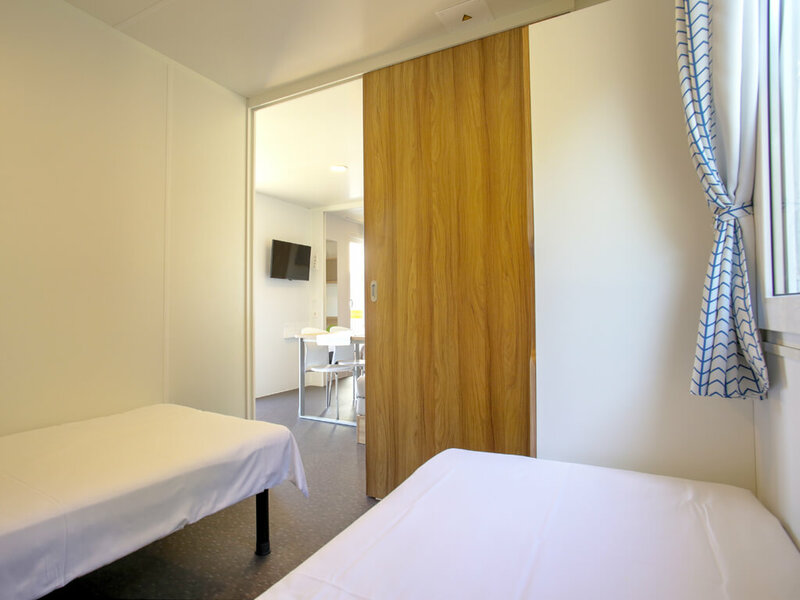 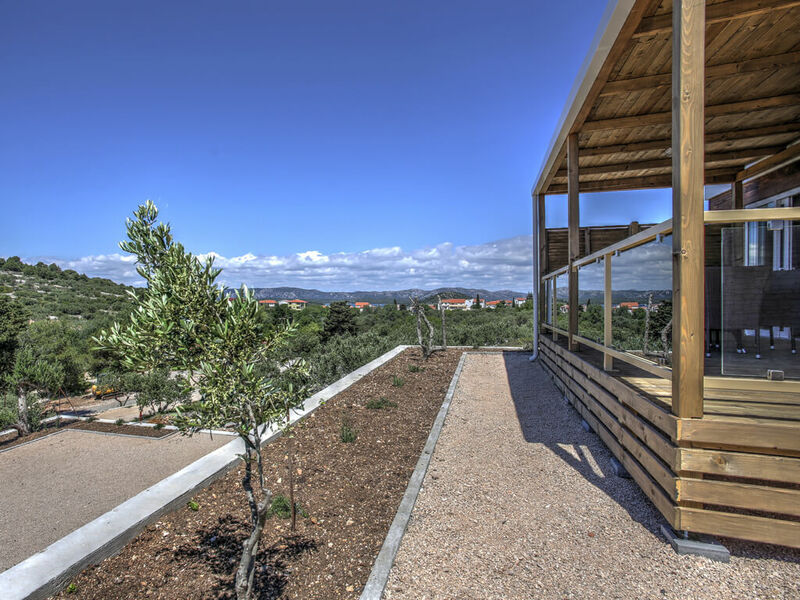 Let yourselves go with a new experience of camping in the mobile homes of the Šibenik region. 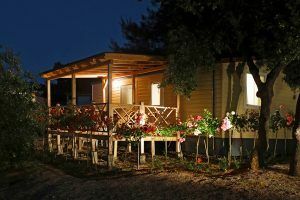 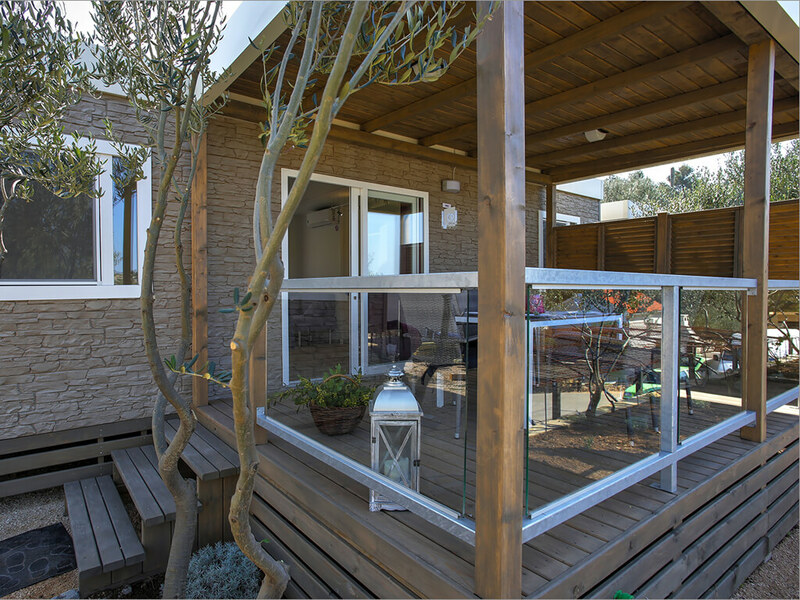 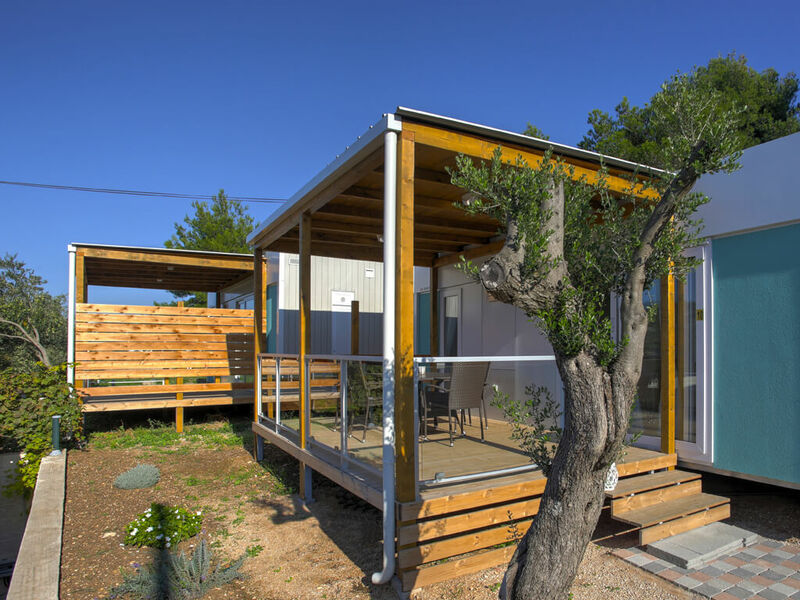 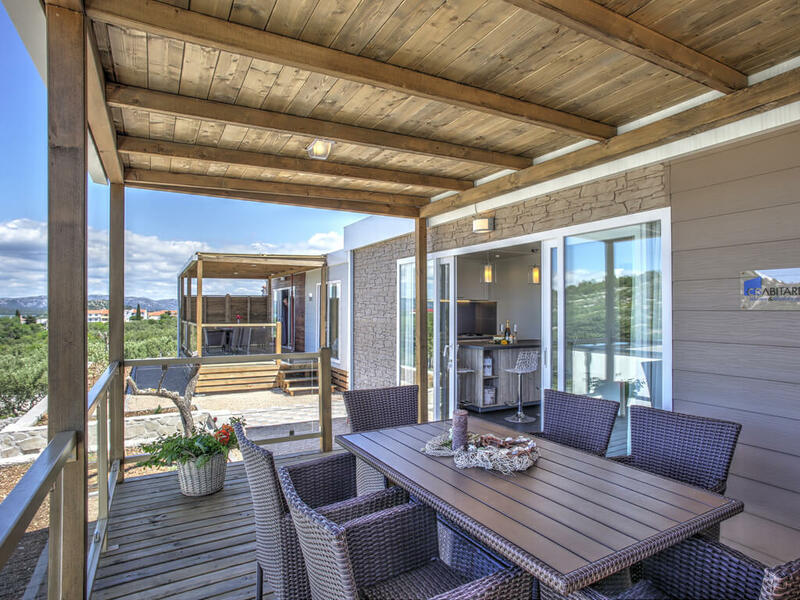 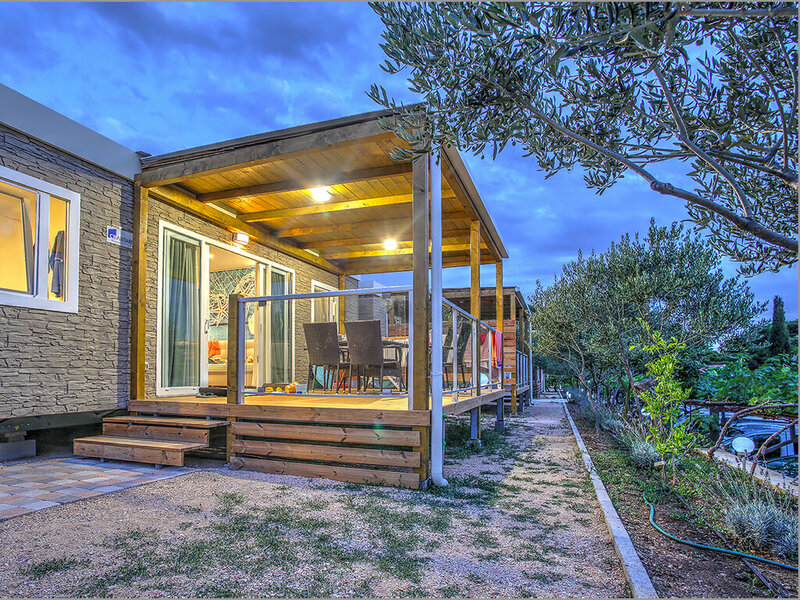 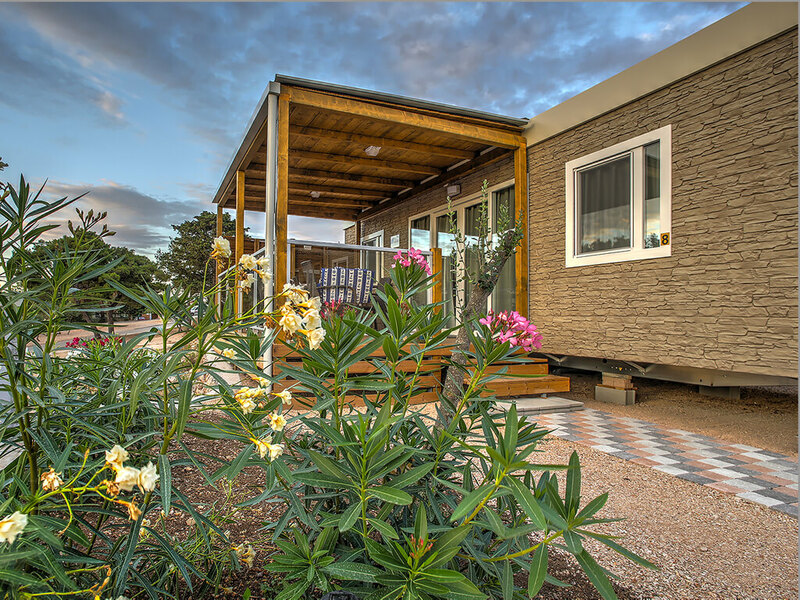 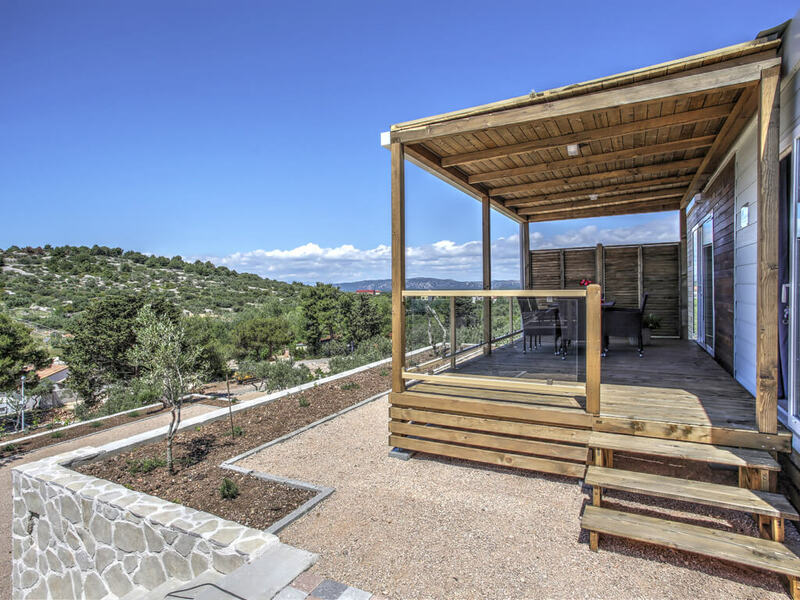 The mobile homes of the Šibenik region are as if made for your holiday by the sea and in nature. 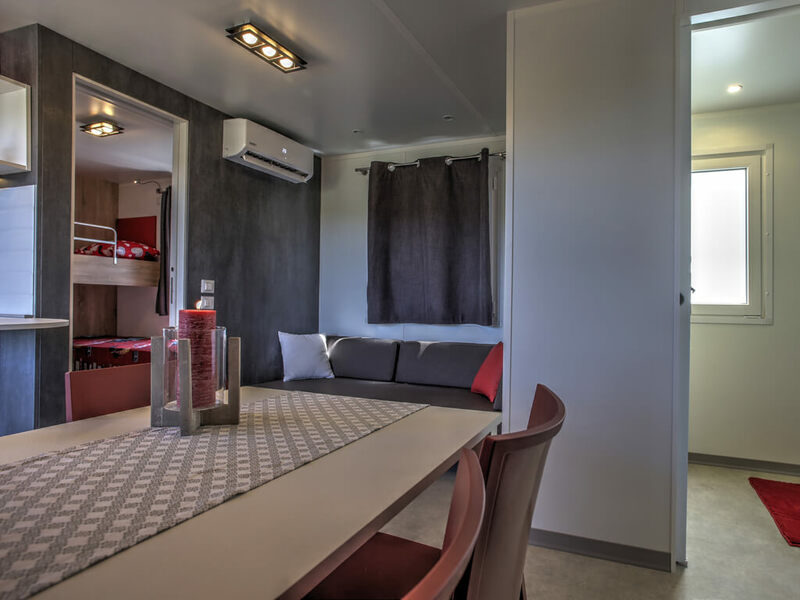 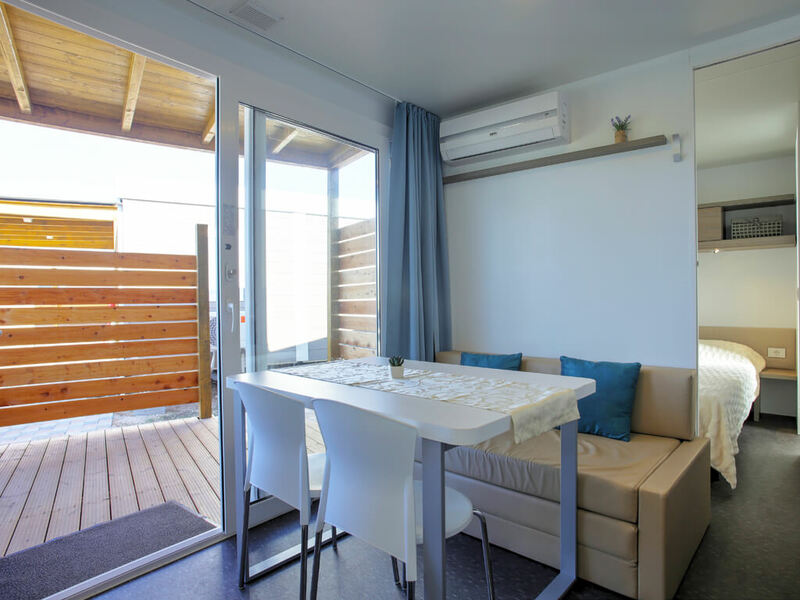 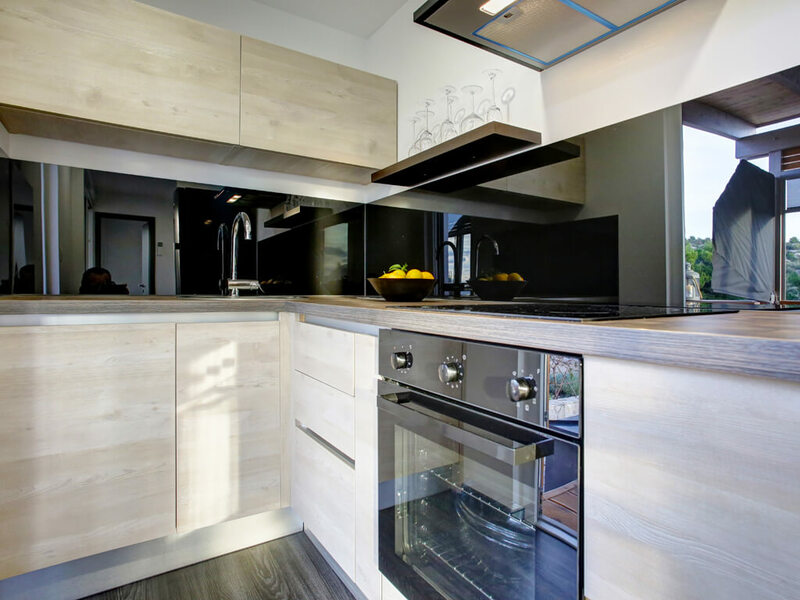 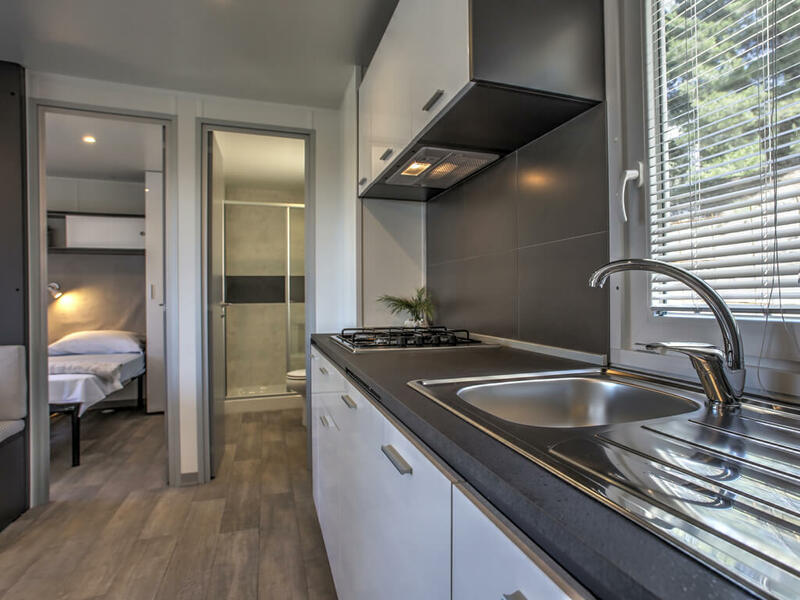 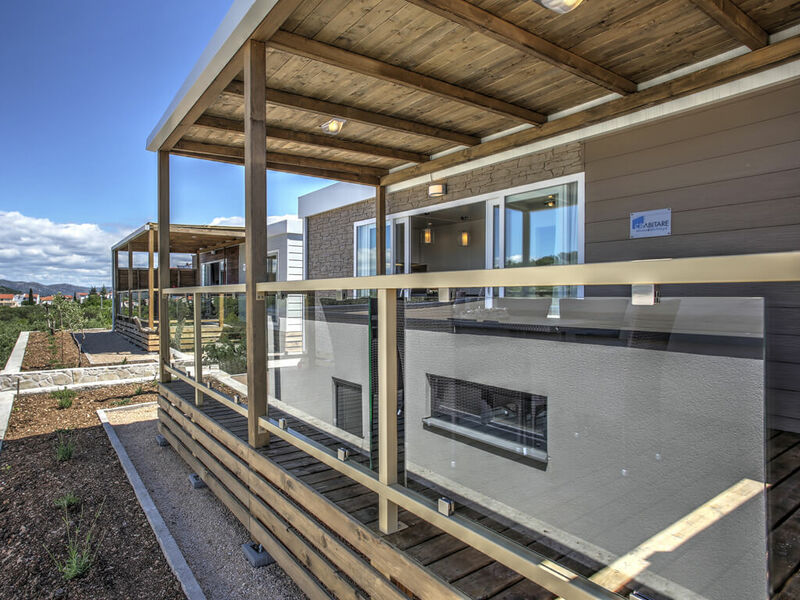 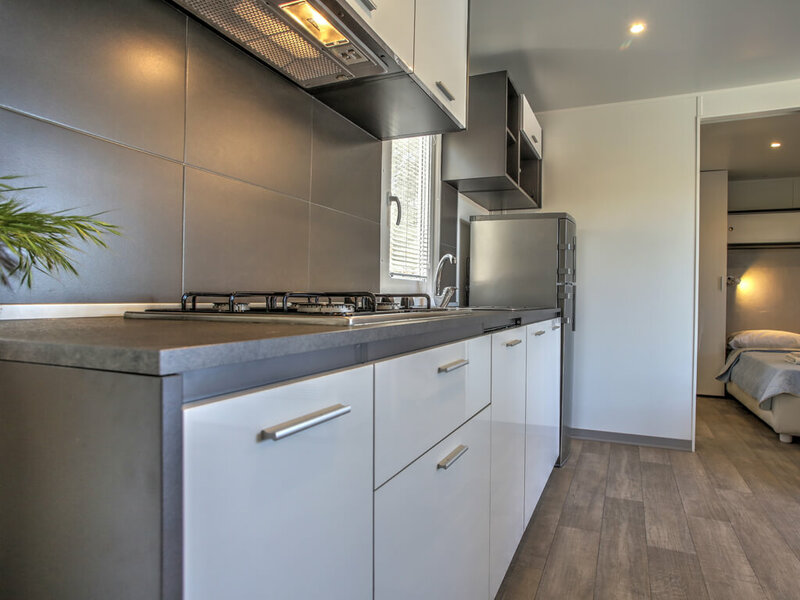 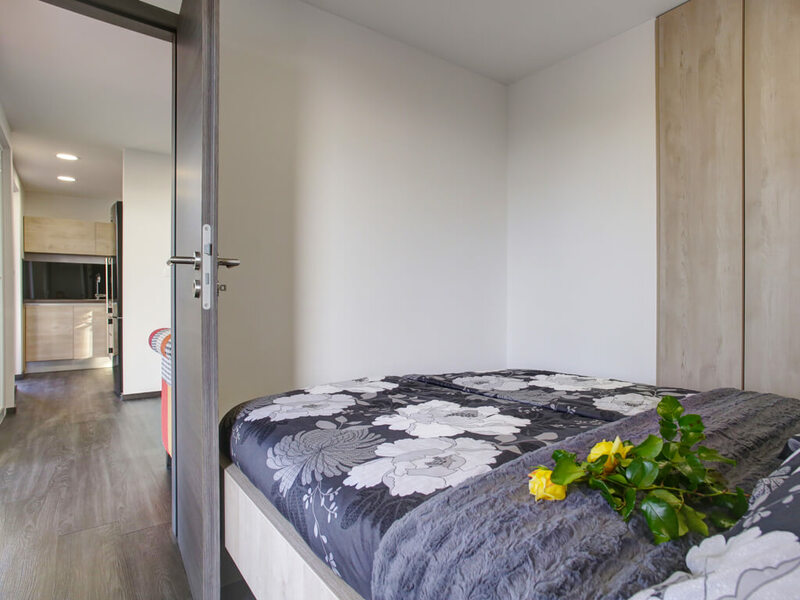 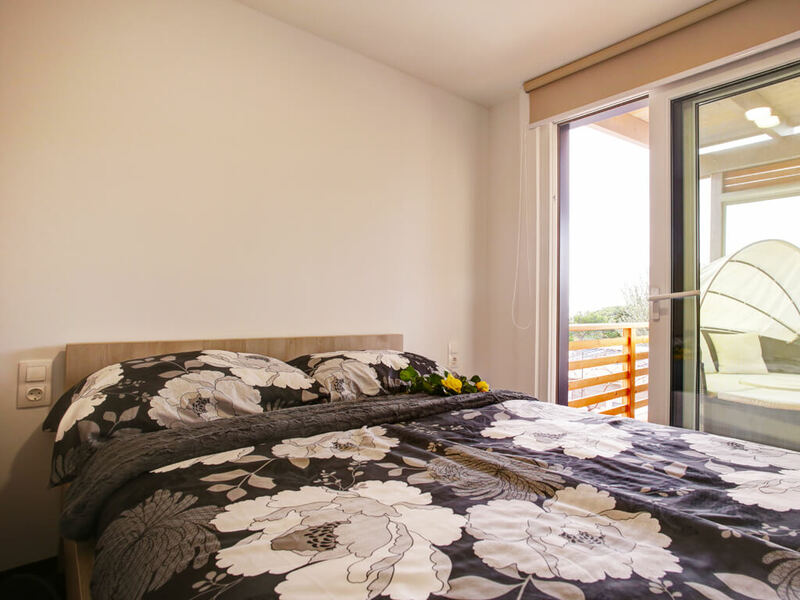 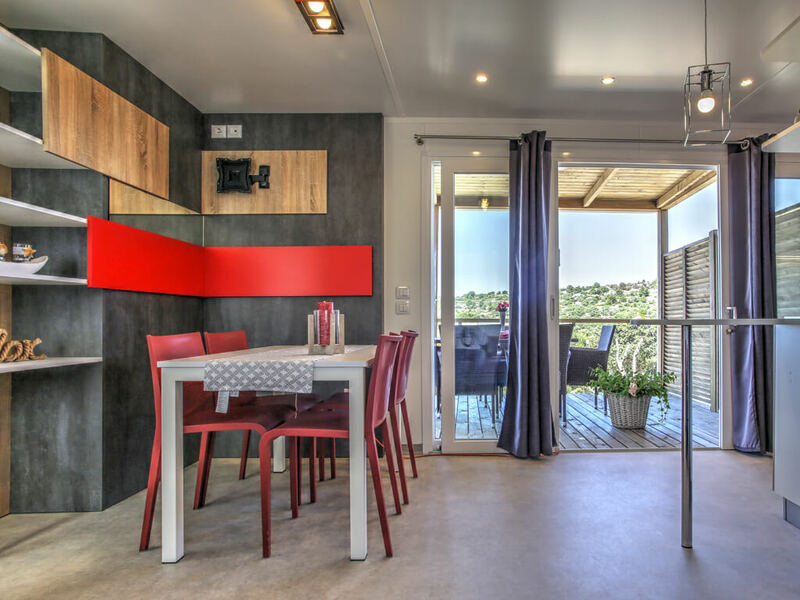 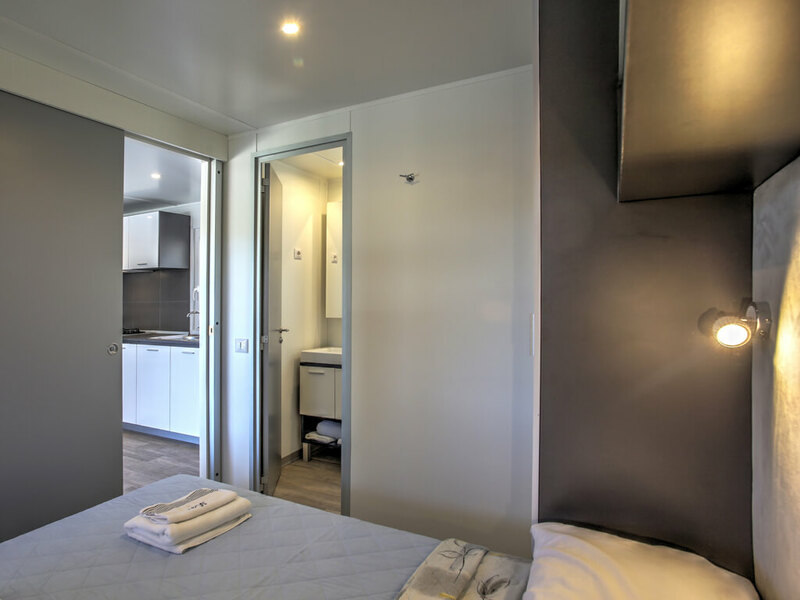 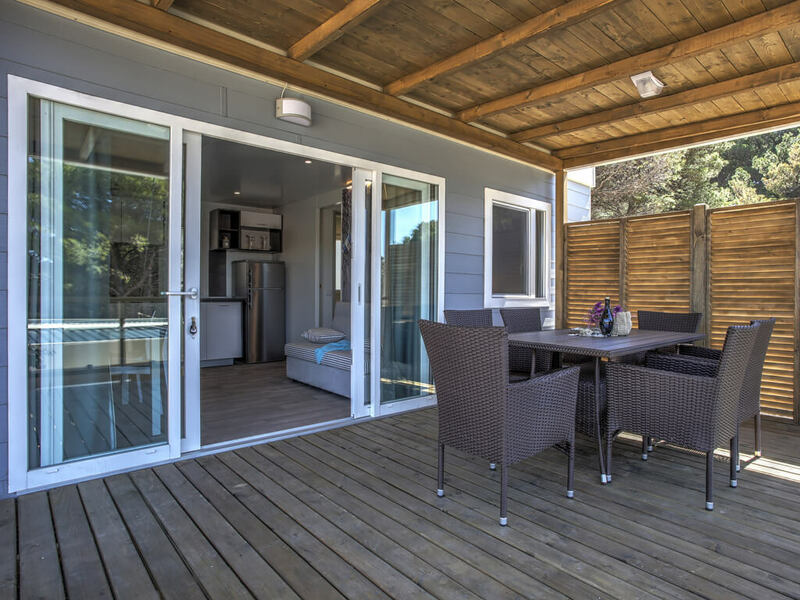 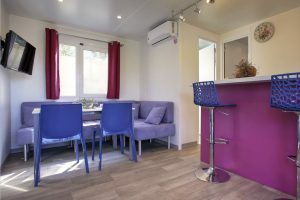 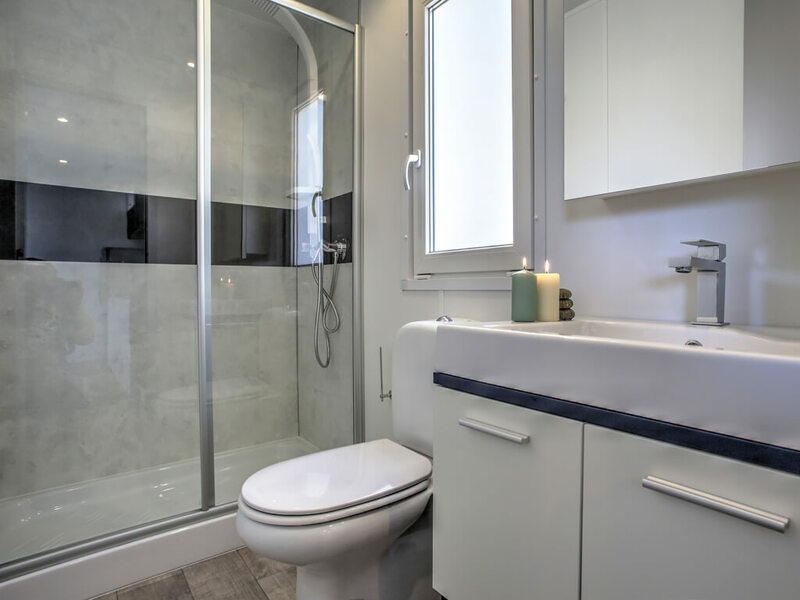 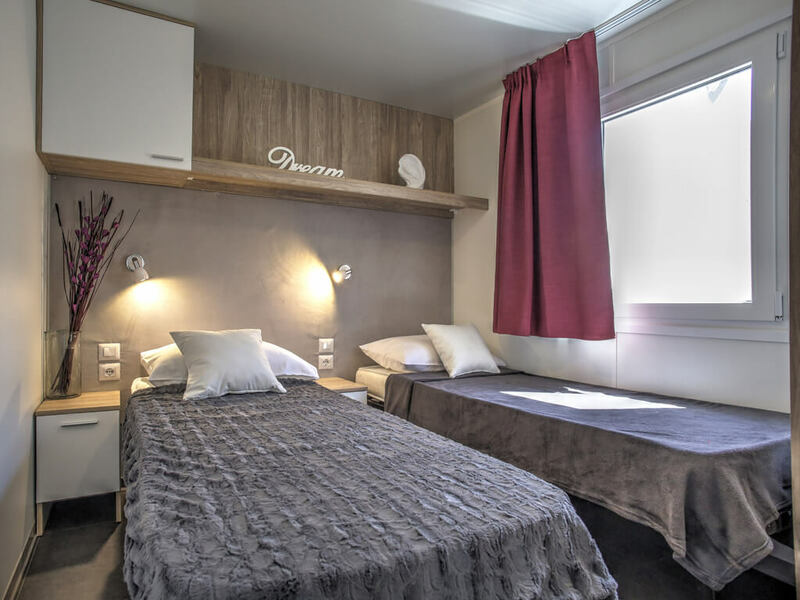 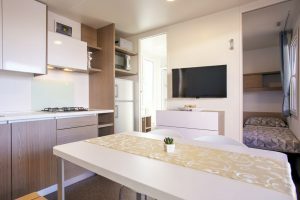 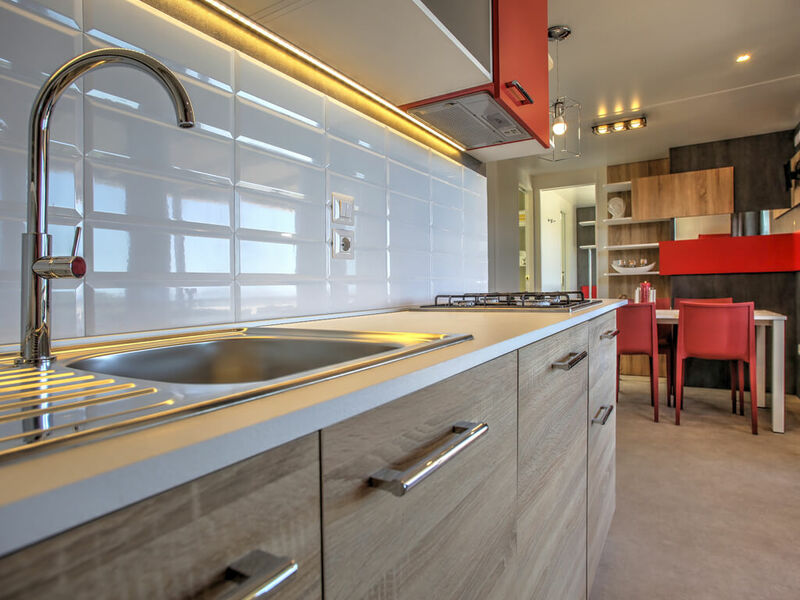 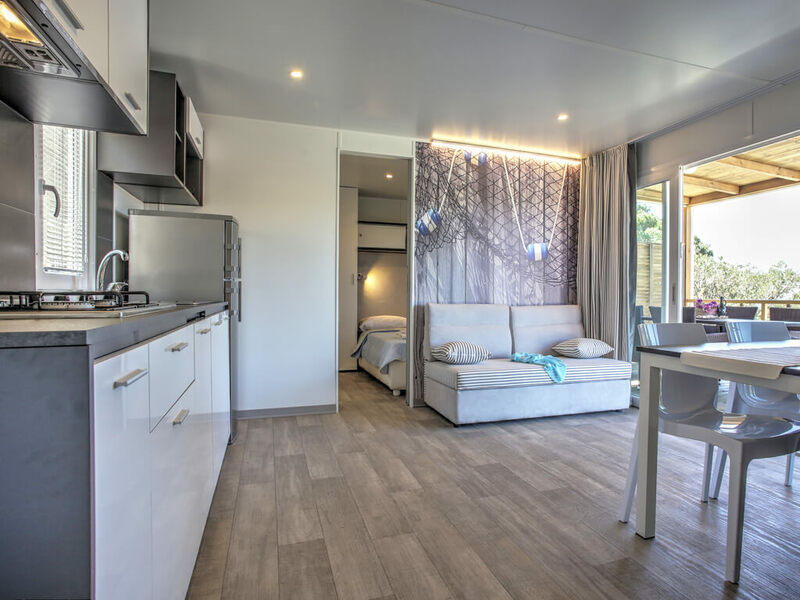 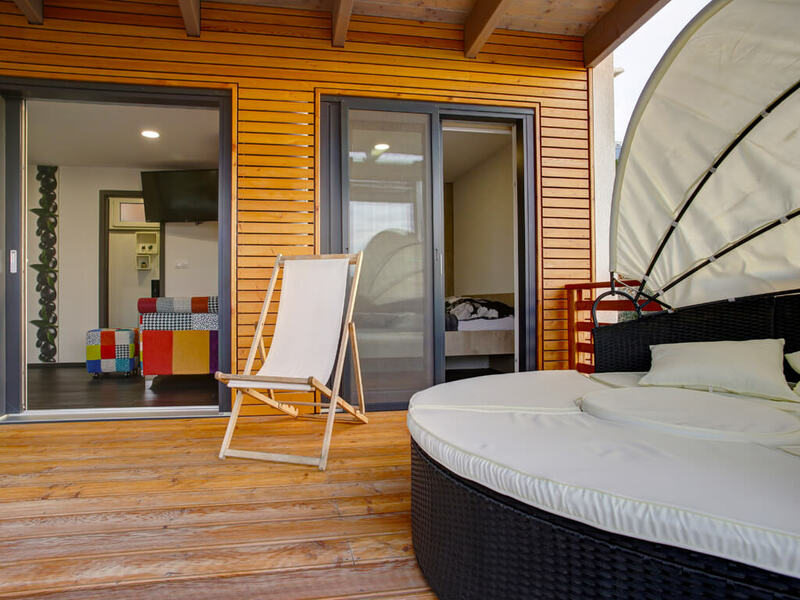 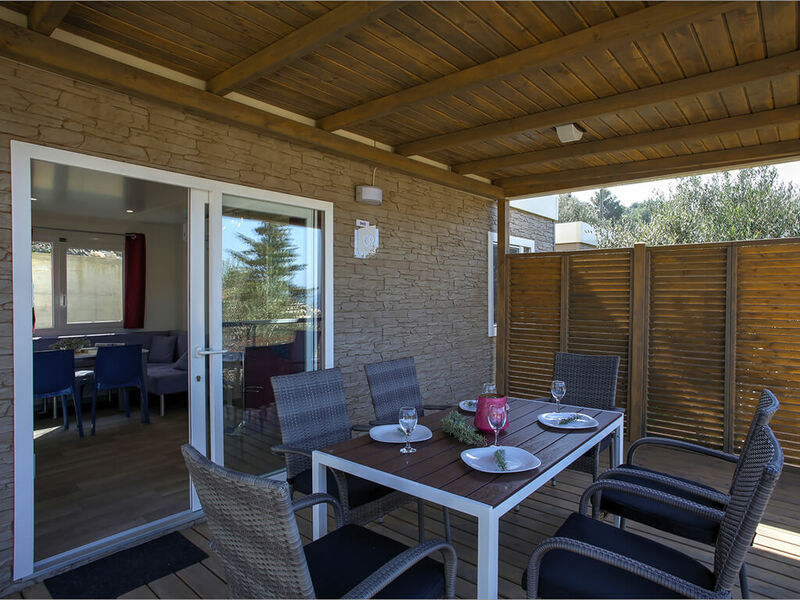 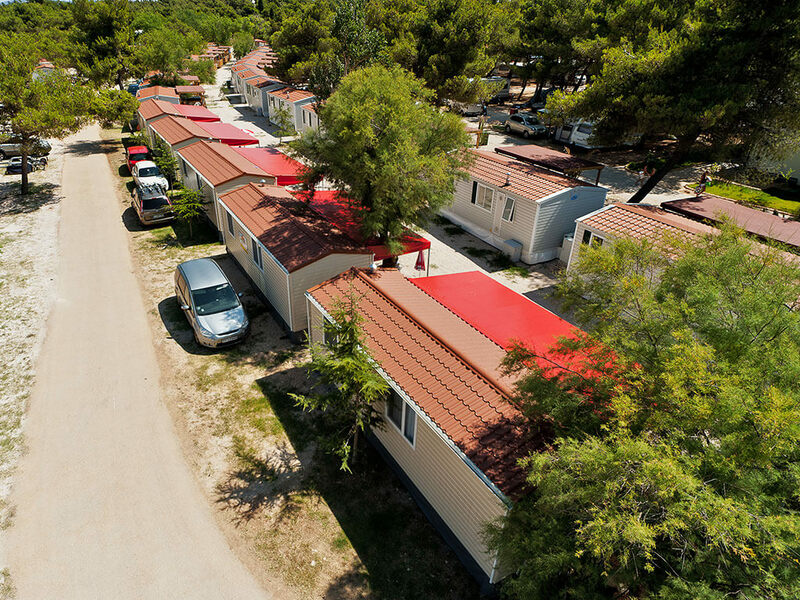 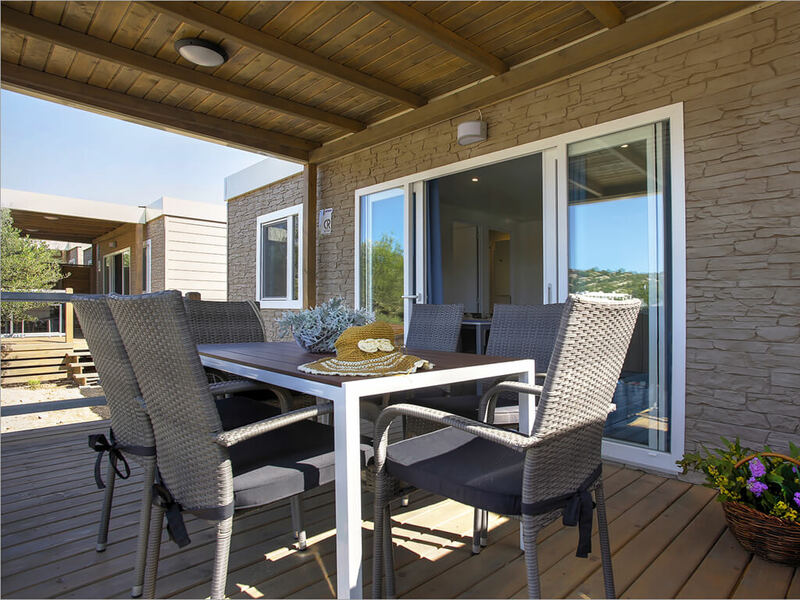 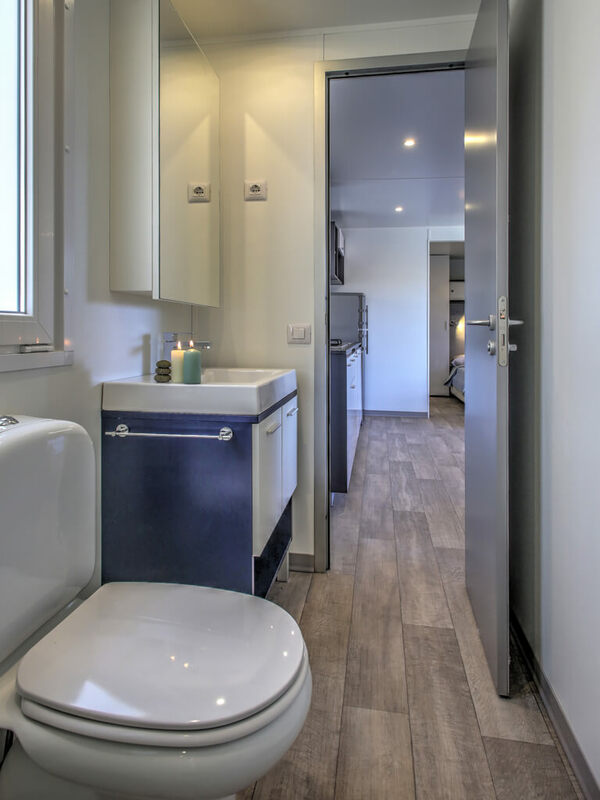 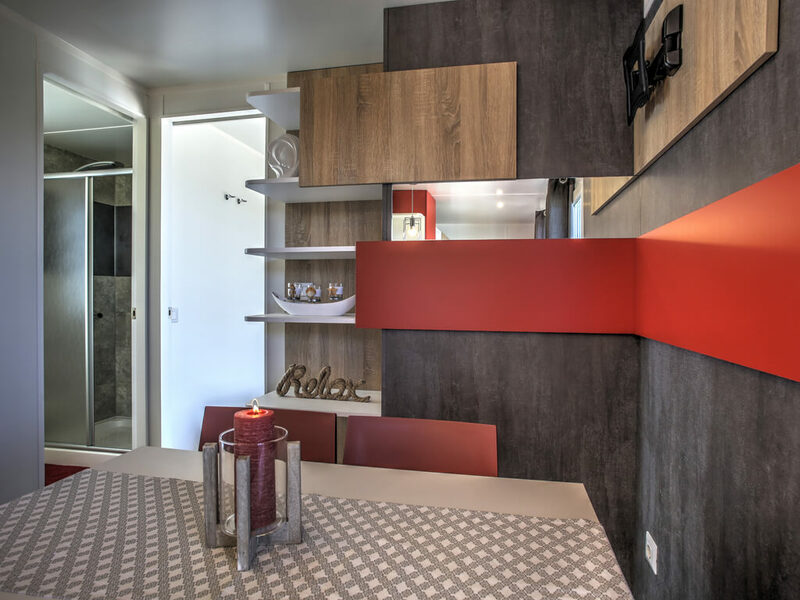 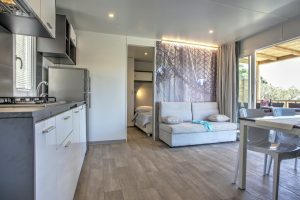 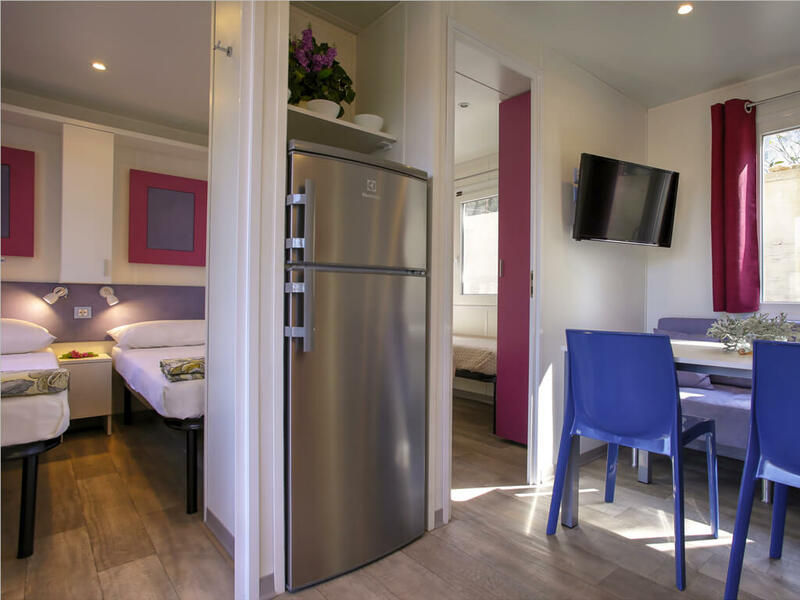 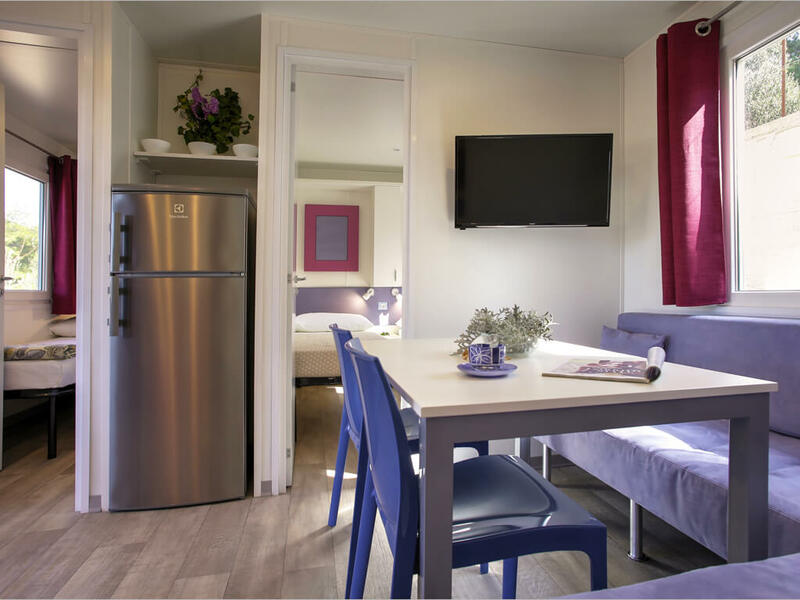 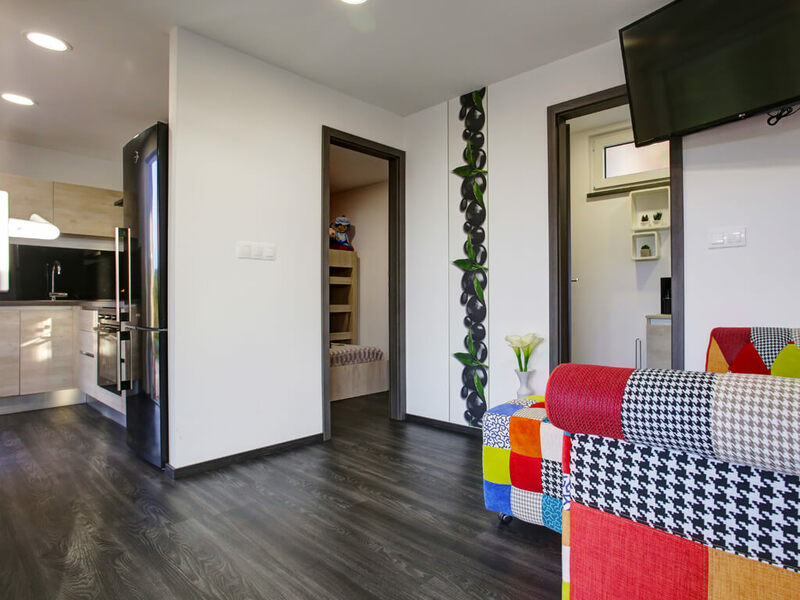 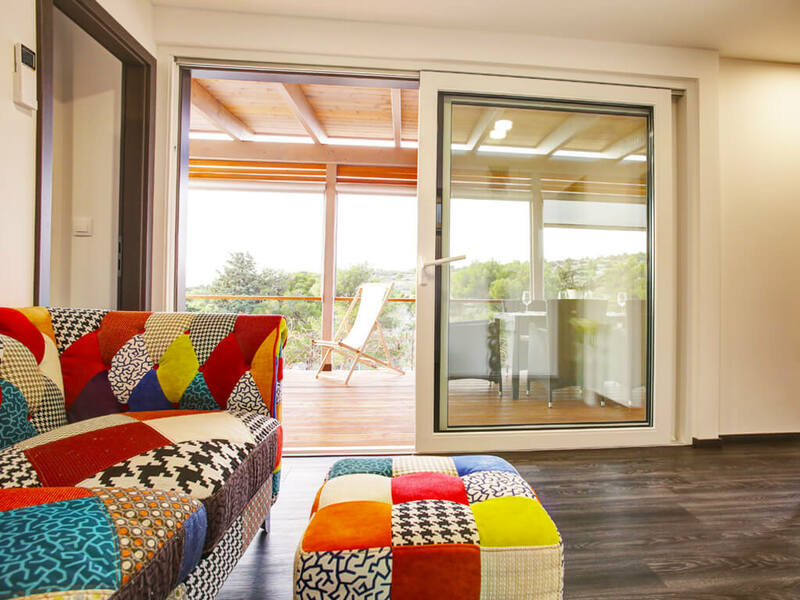 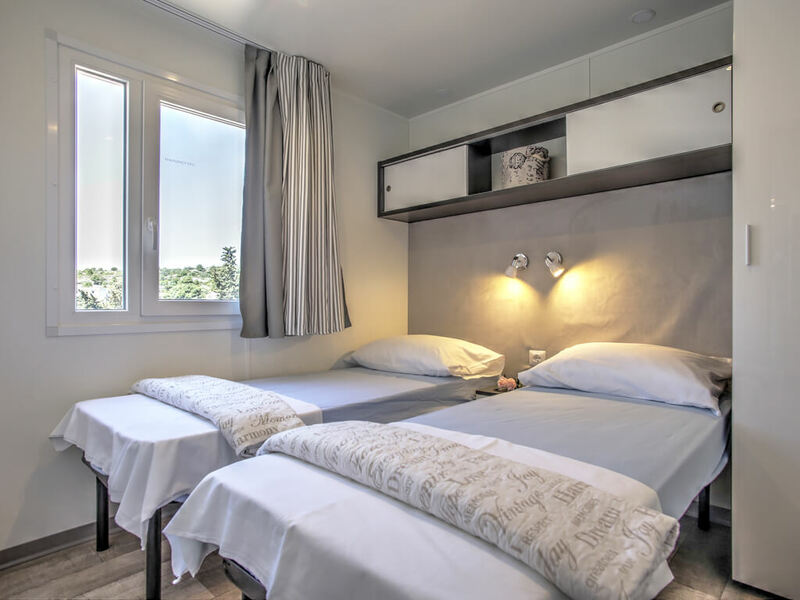 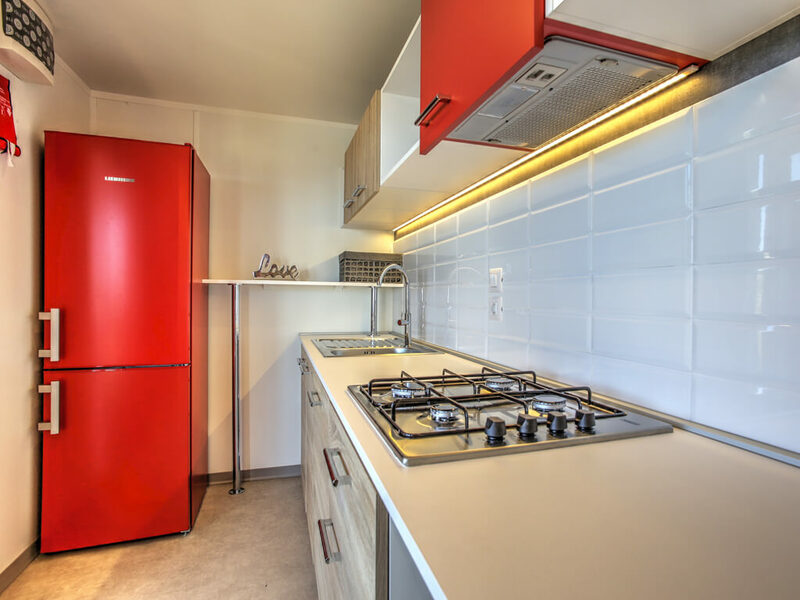 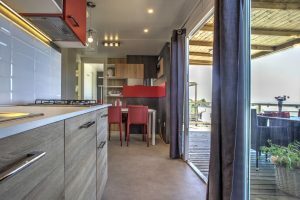 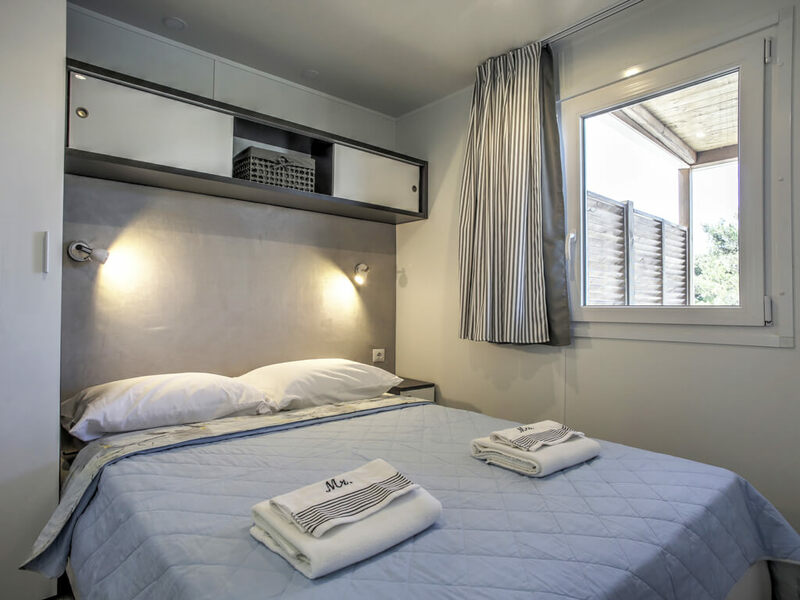 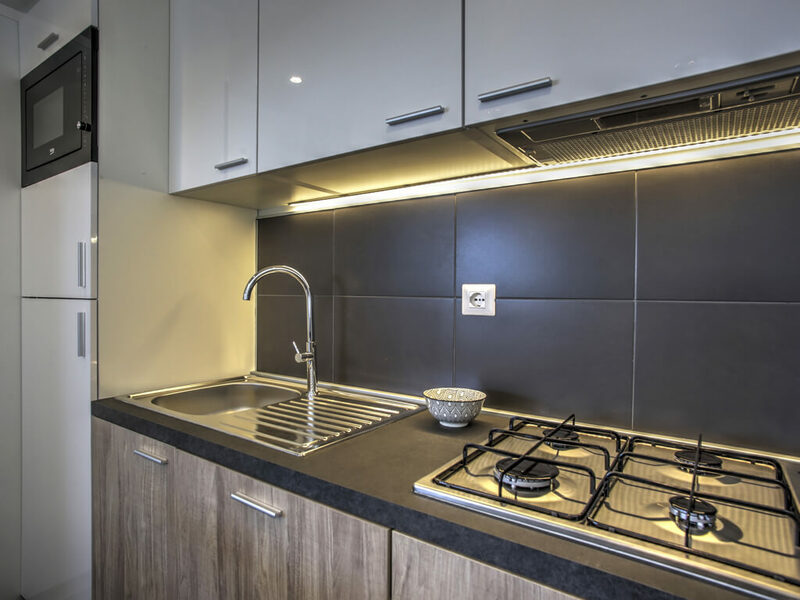 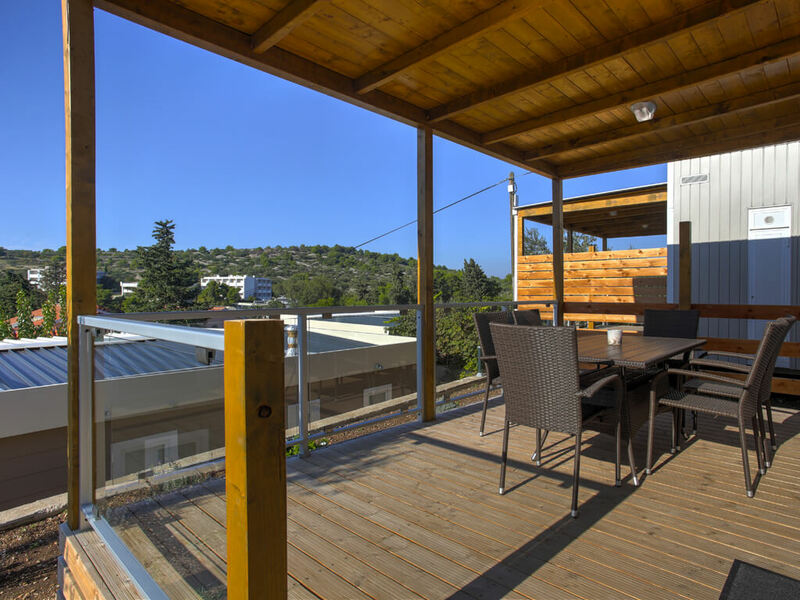 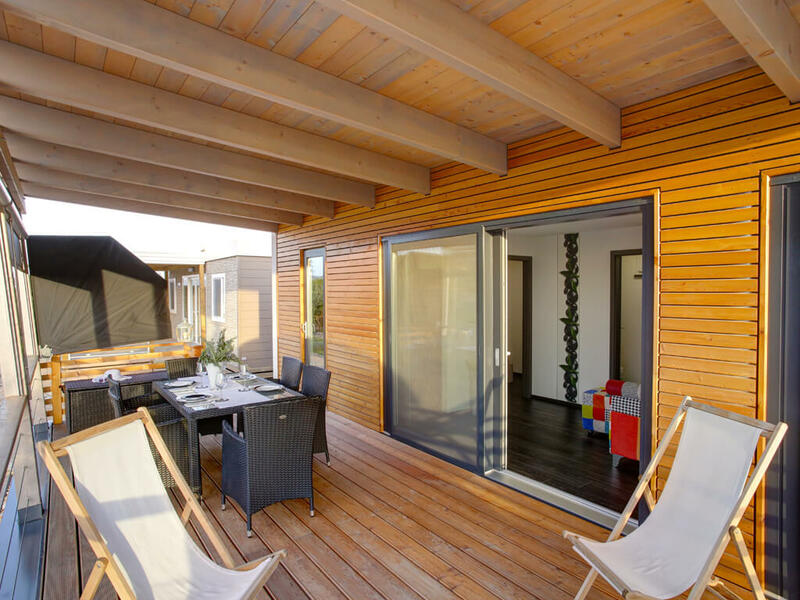 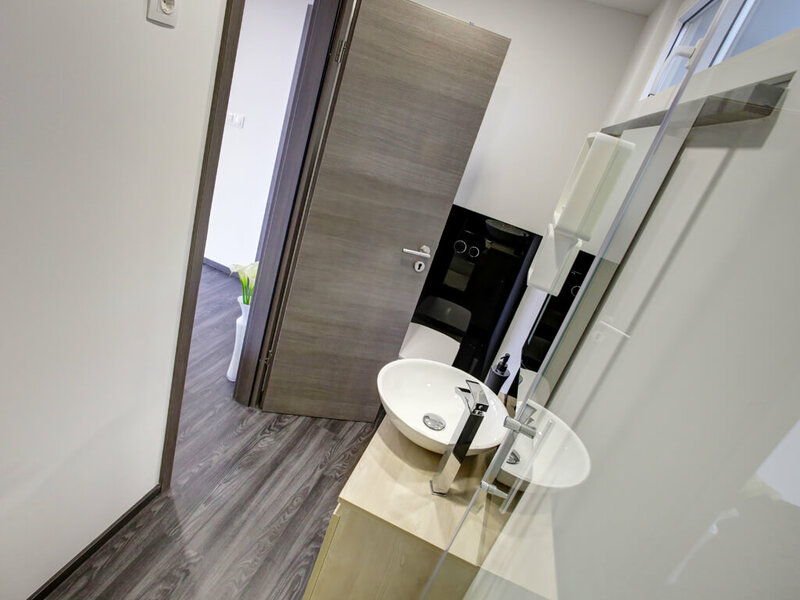 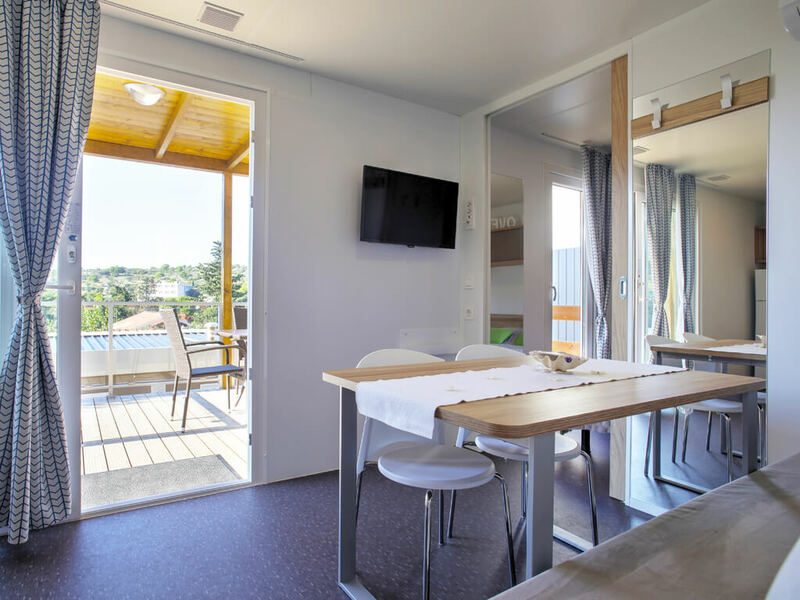 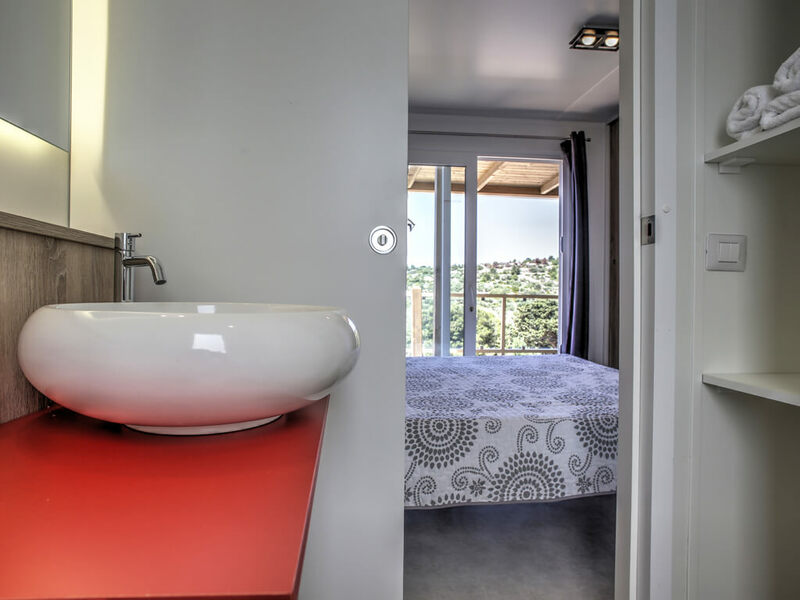 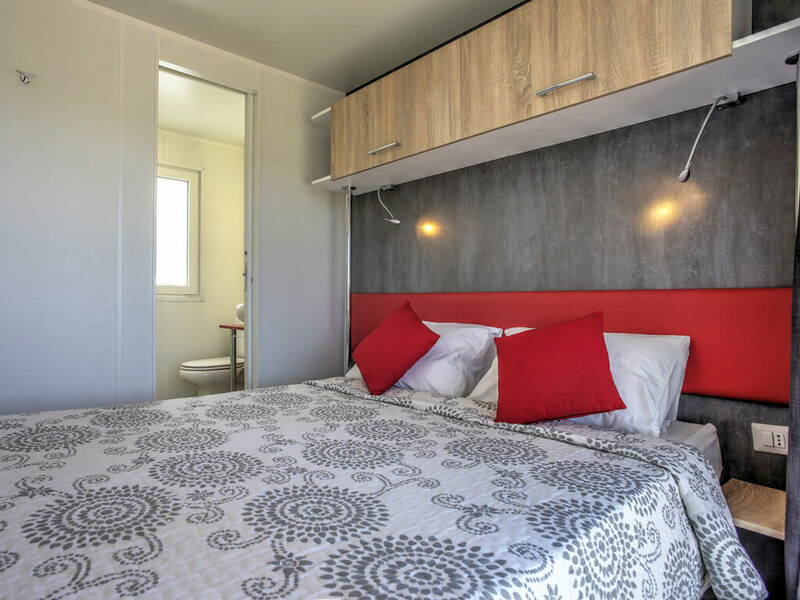 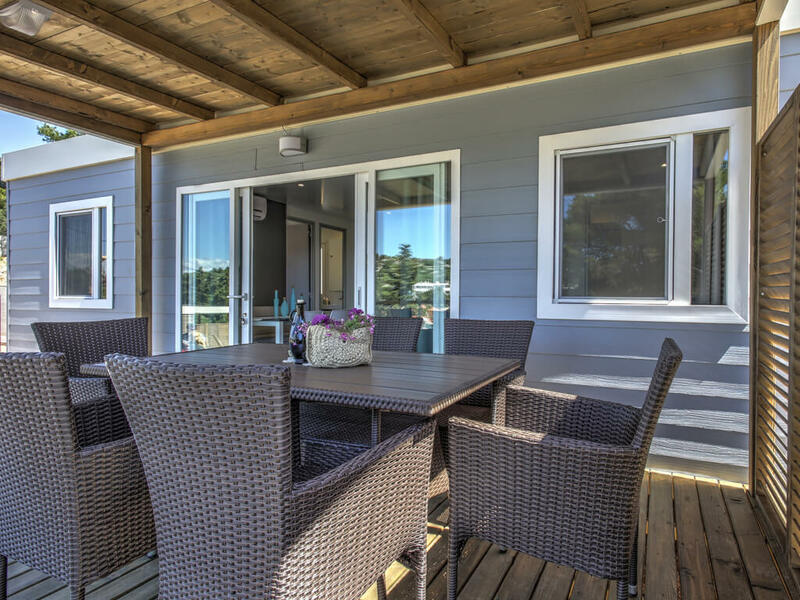 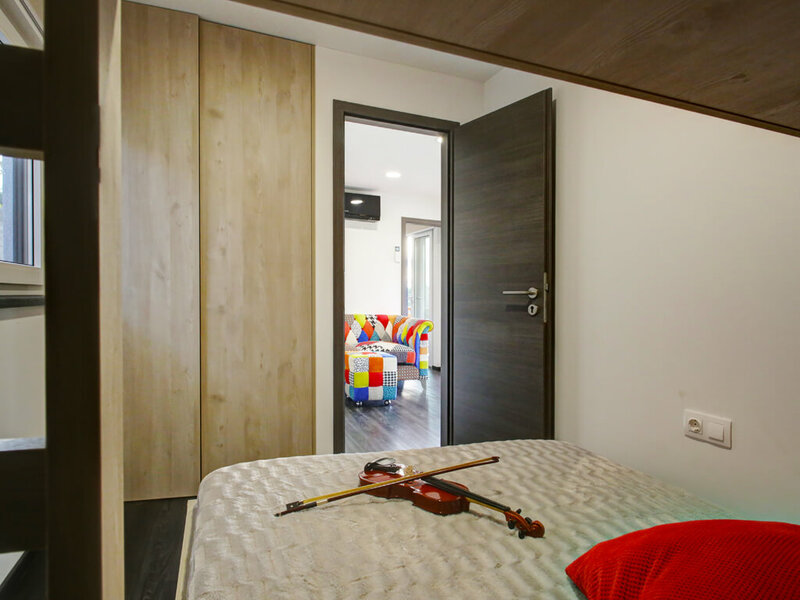 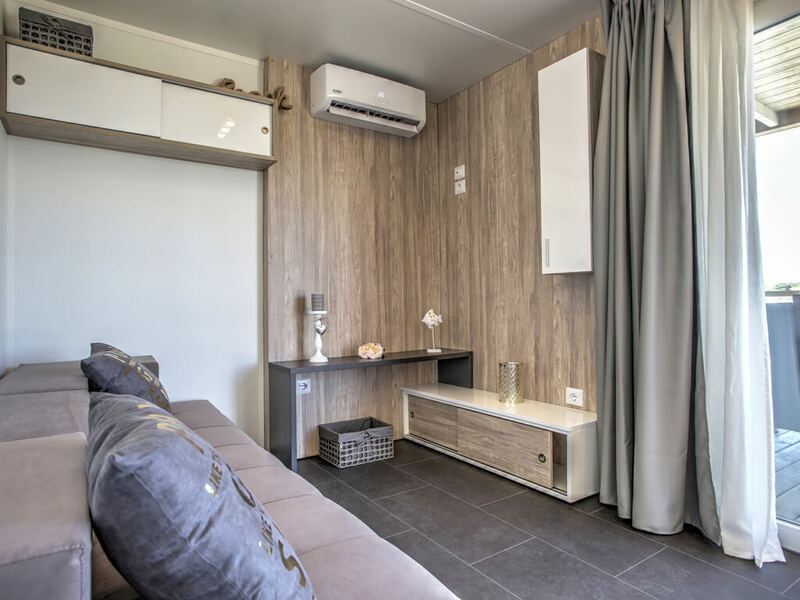 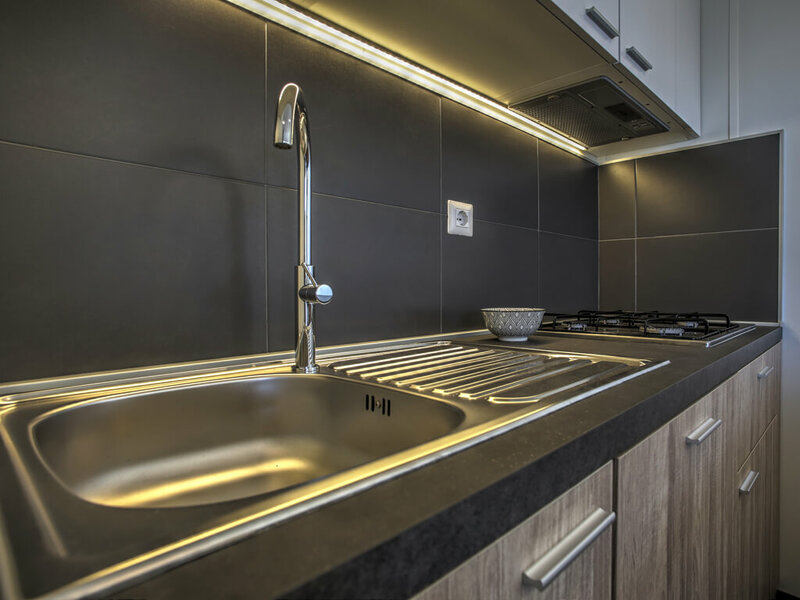 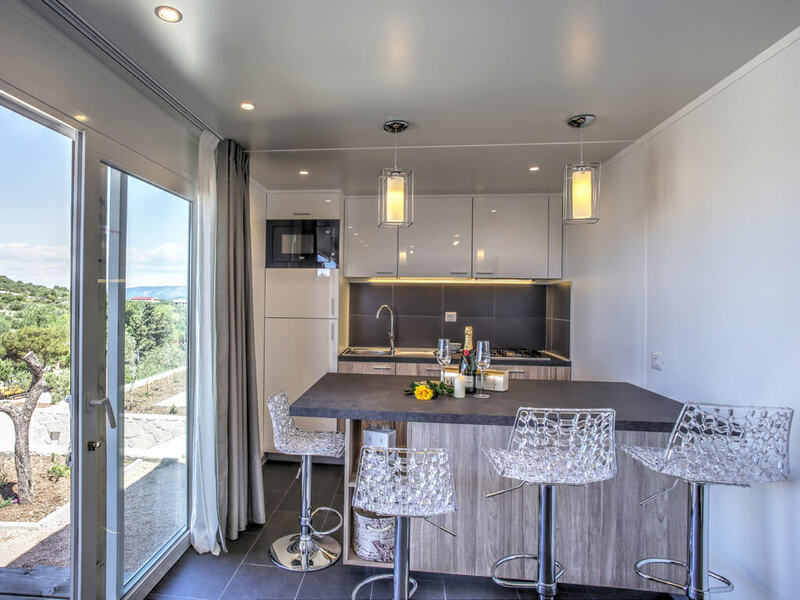 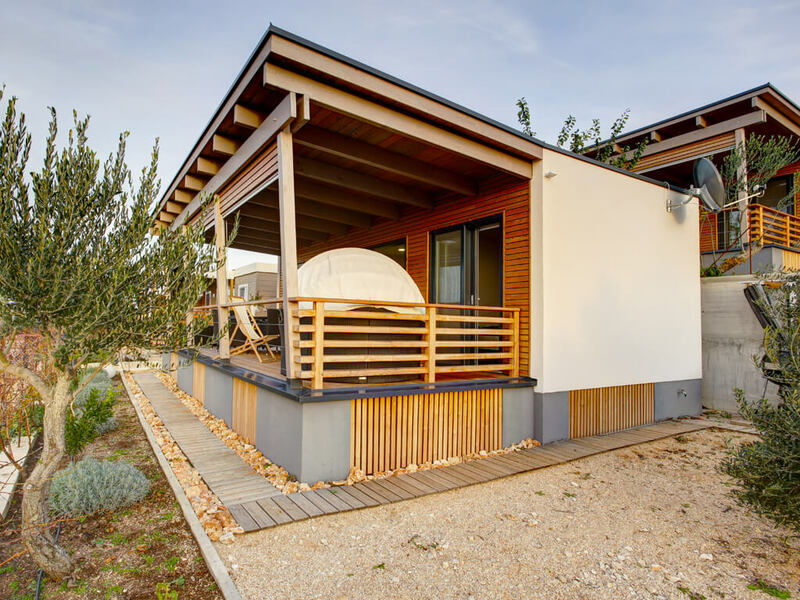 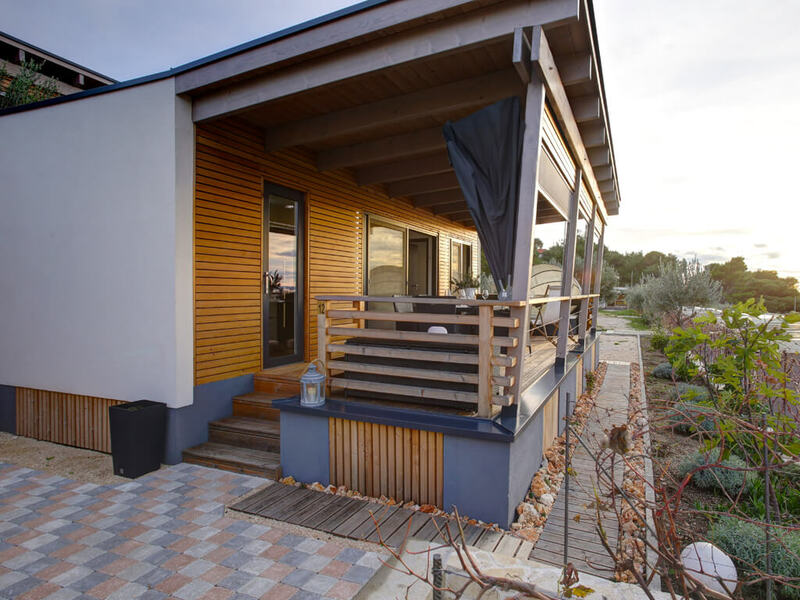 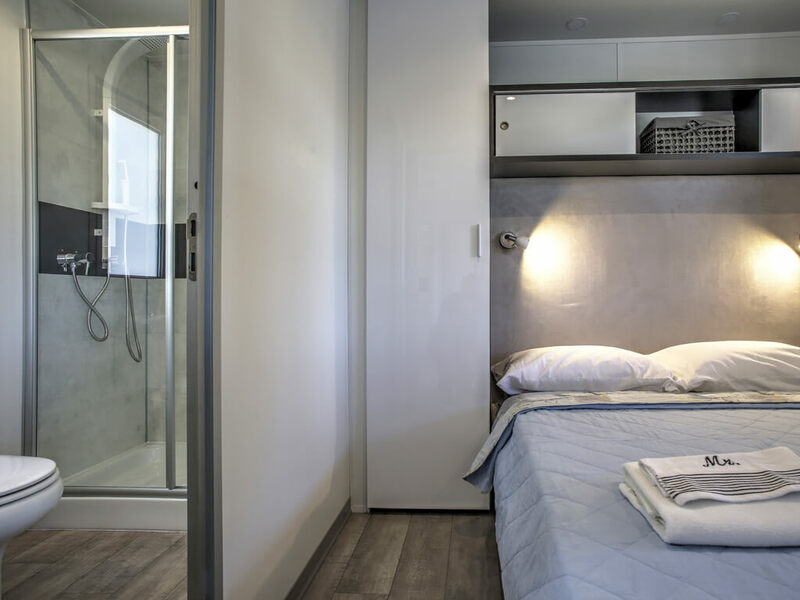 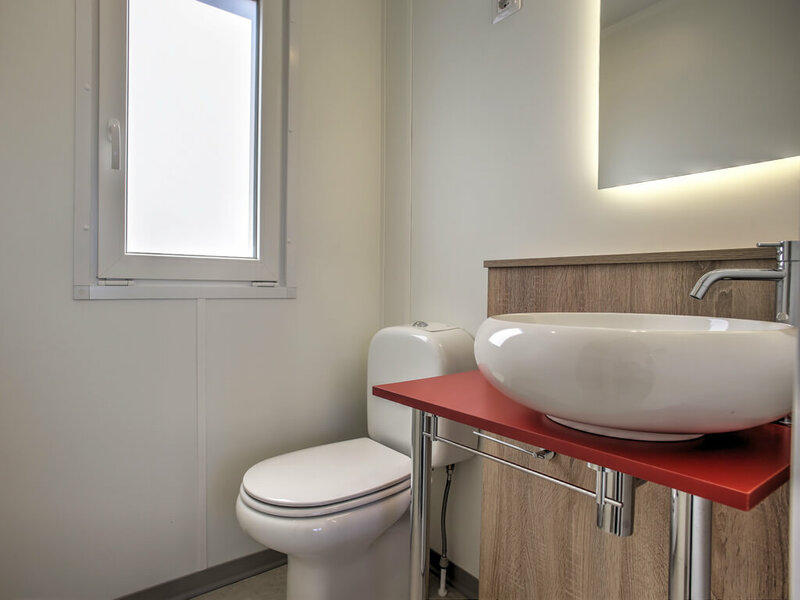 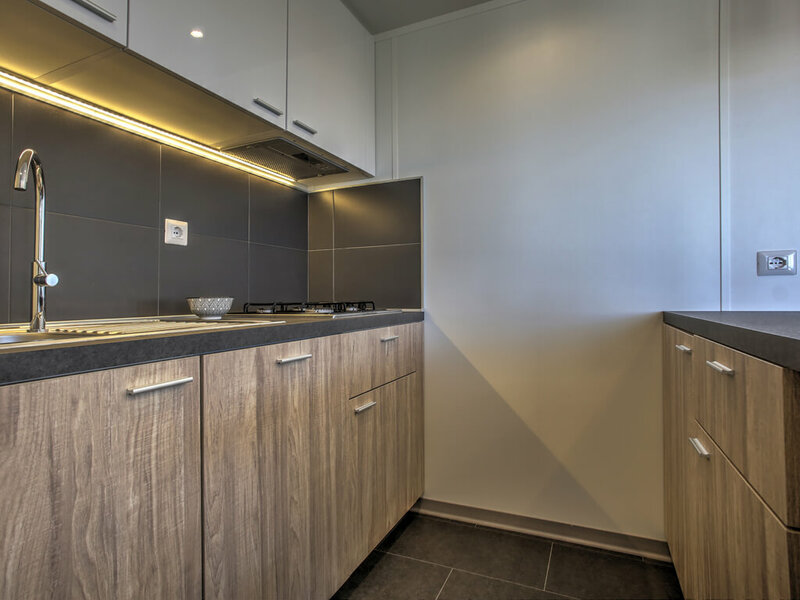 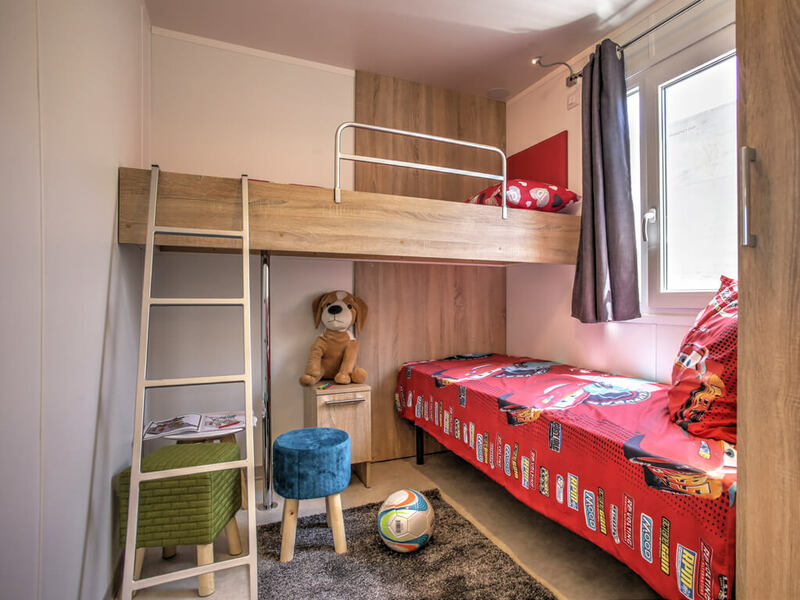 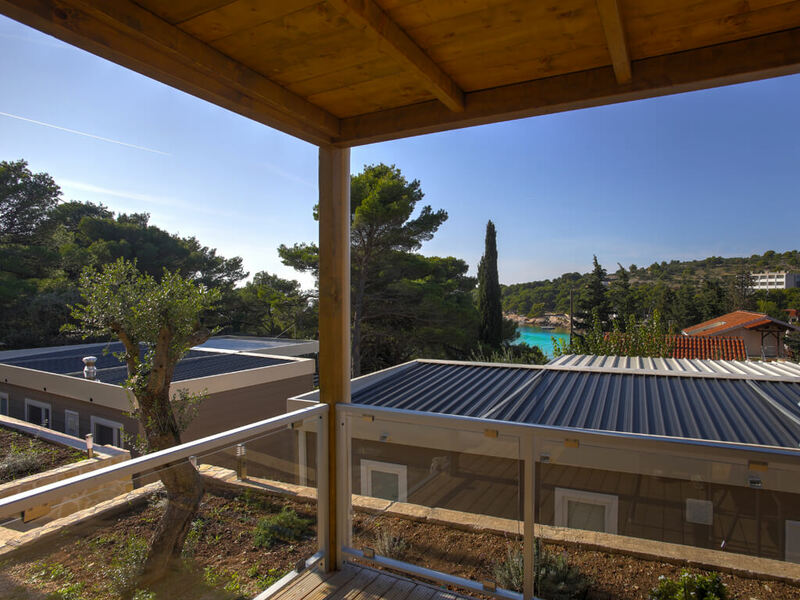 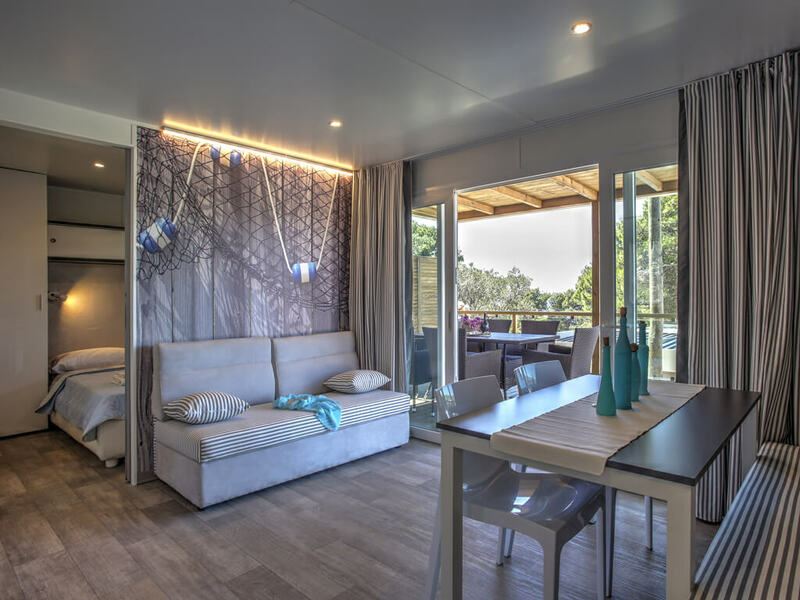 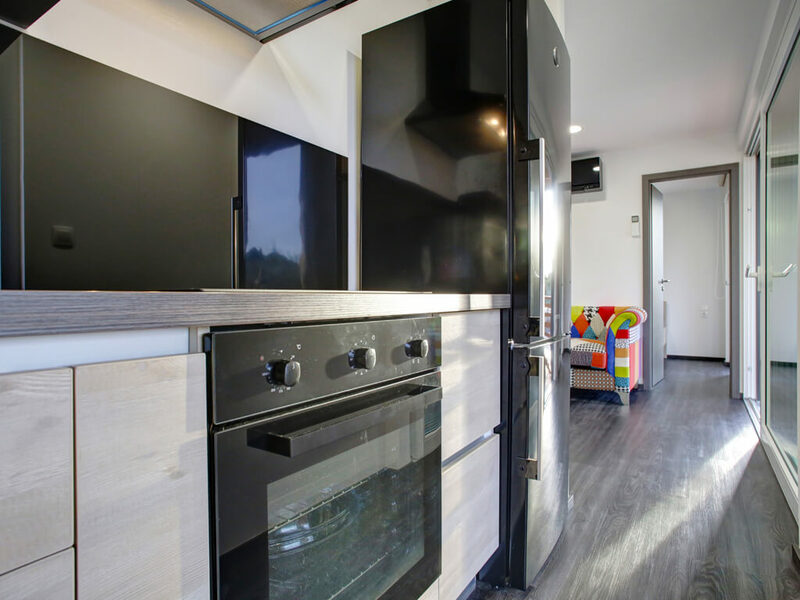 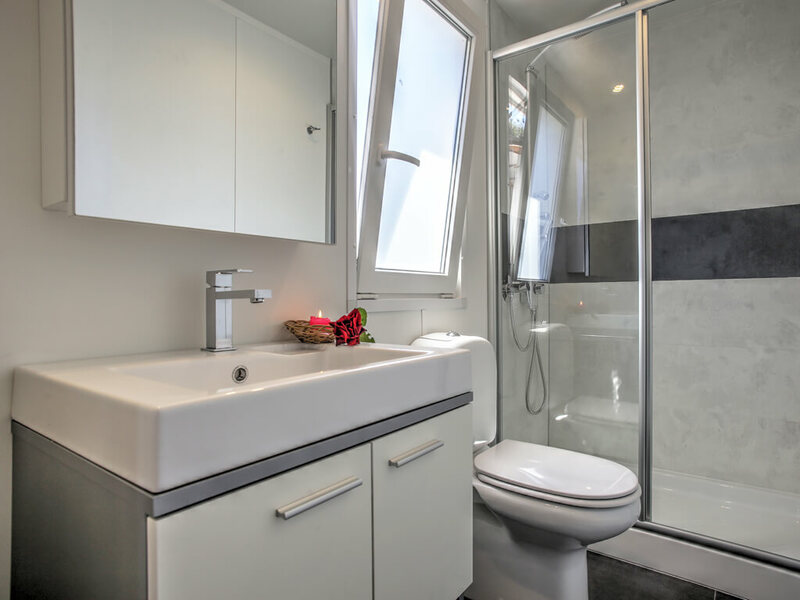 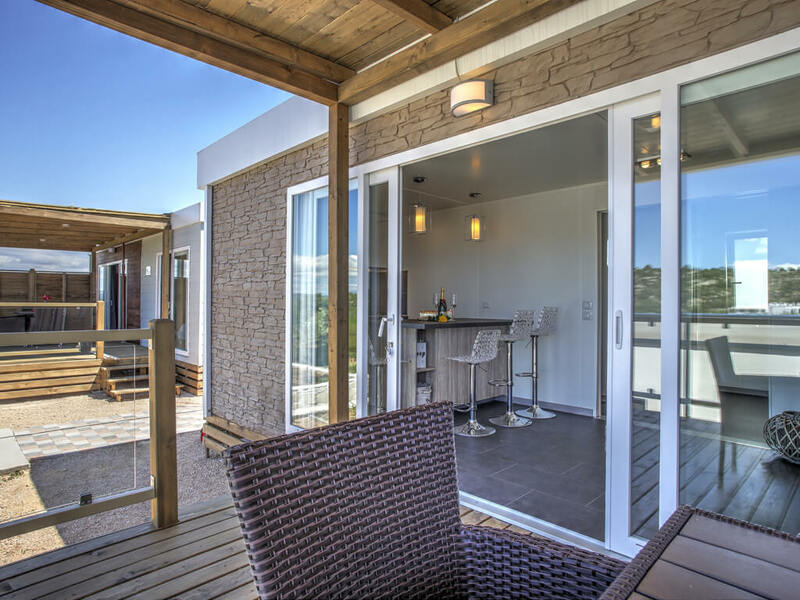 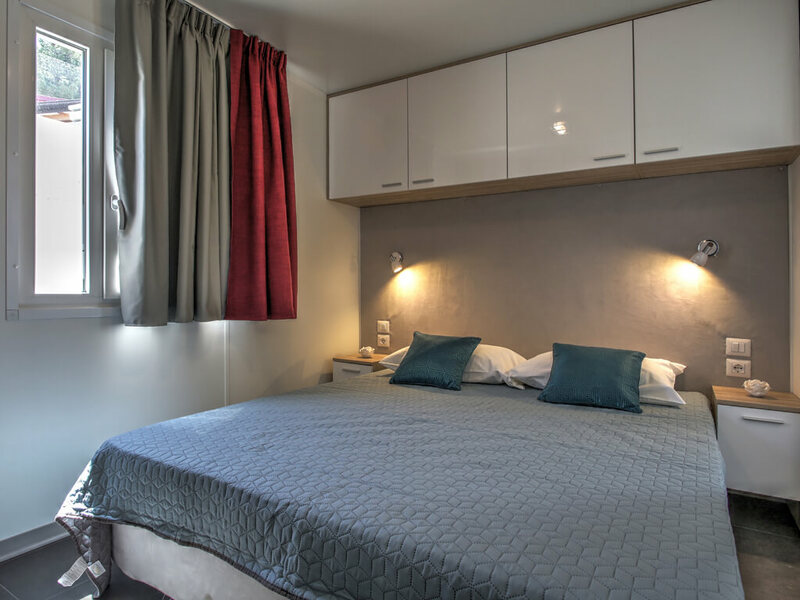 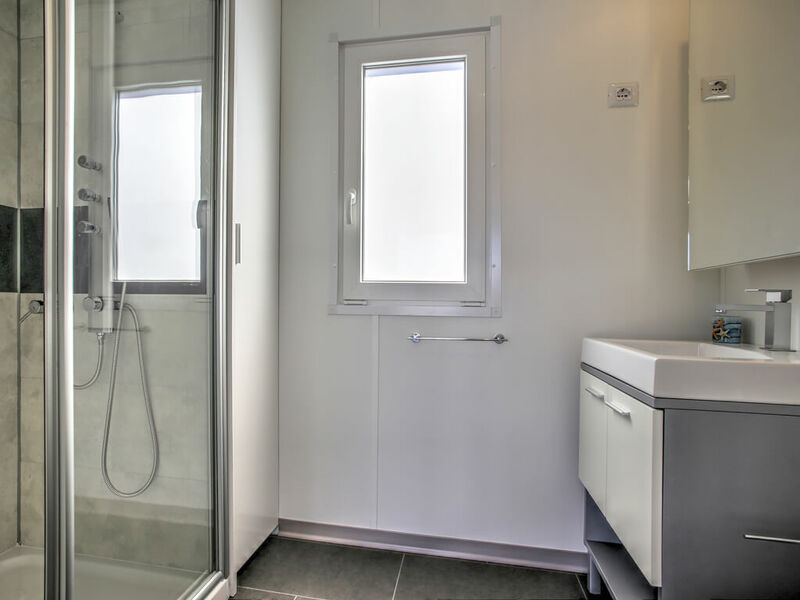 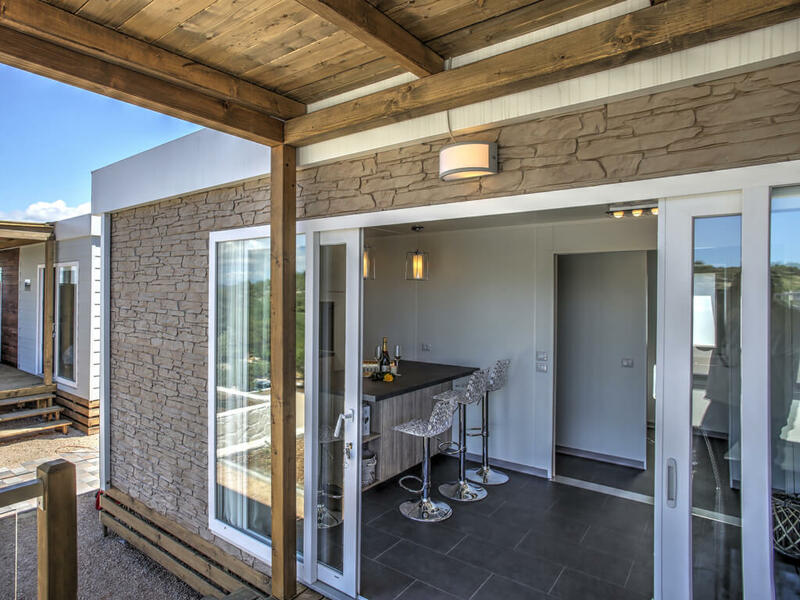 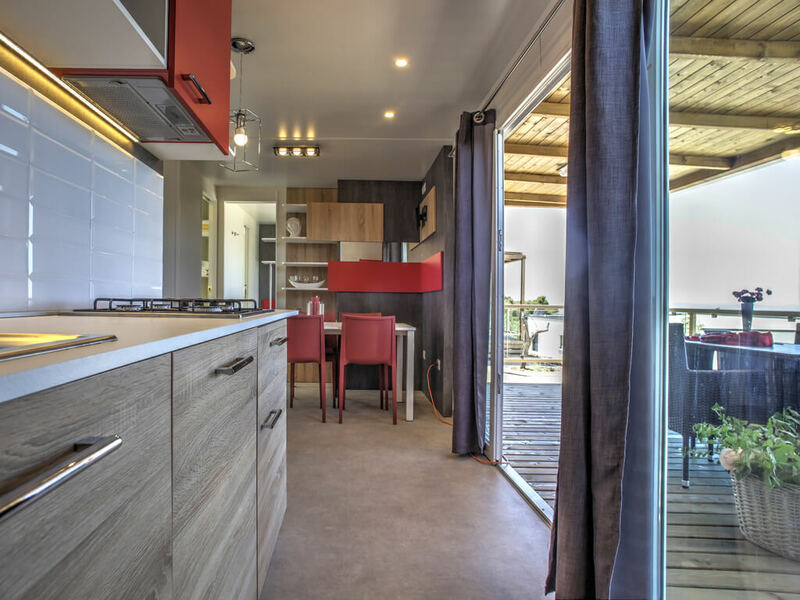 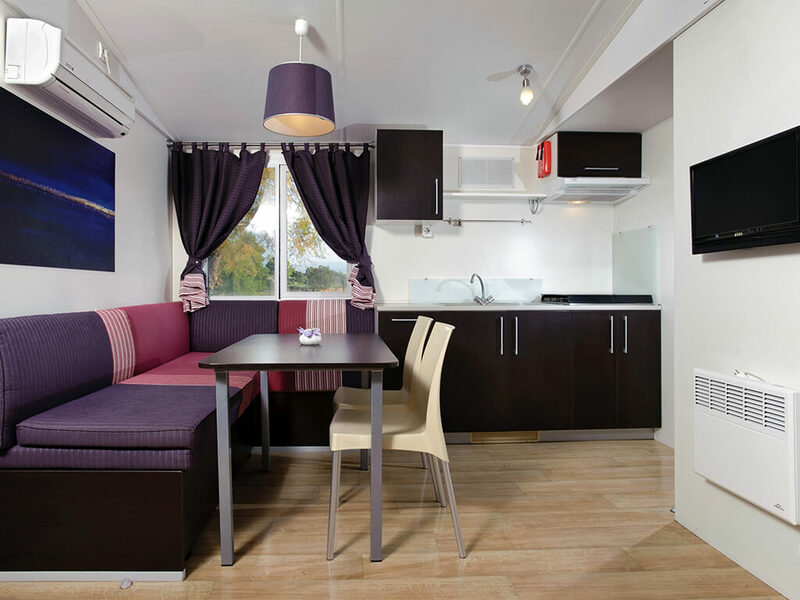 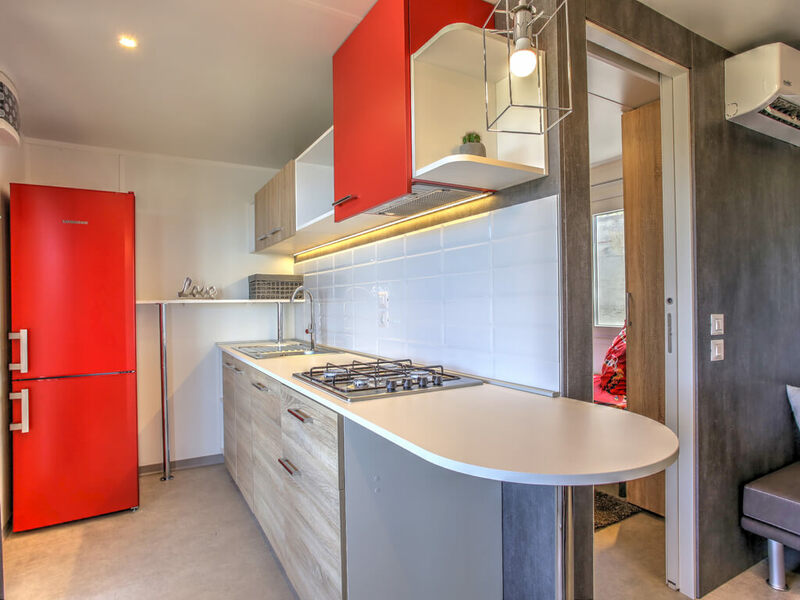 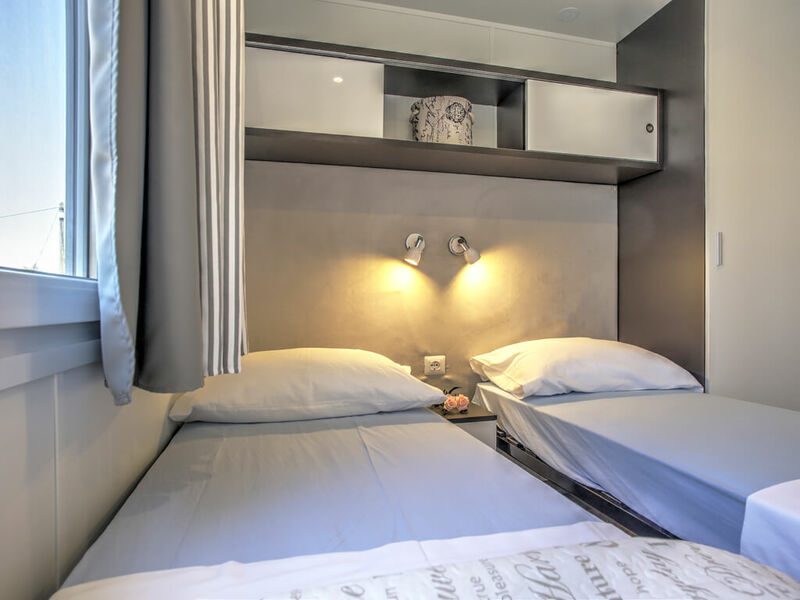 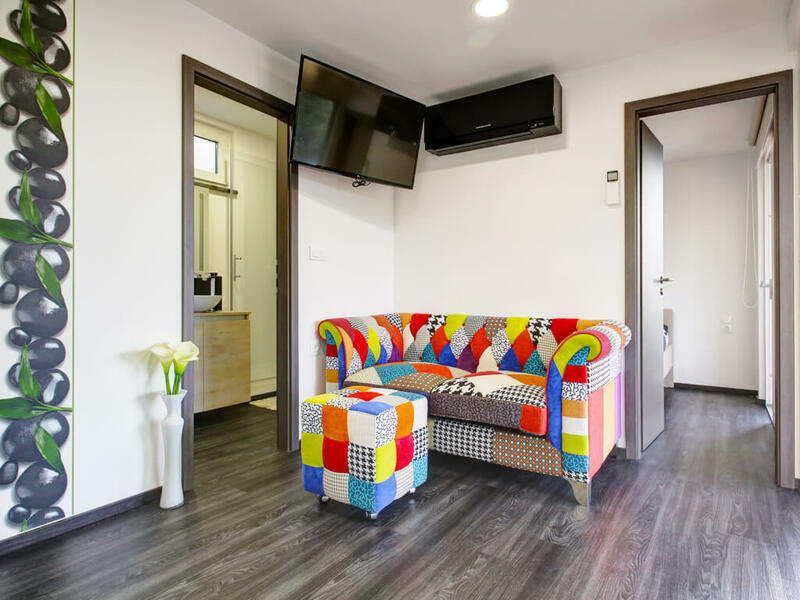 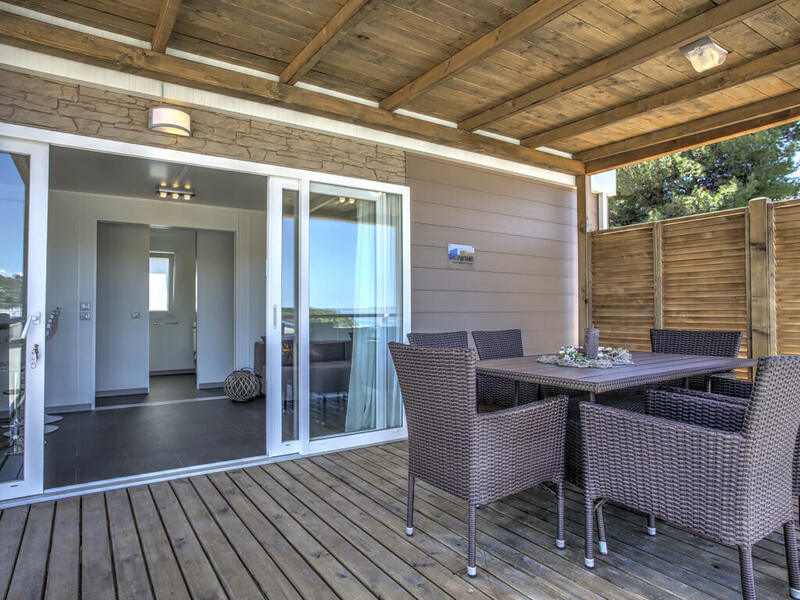 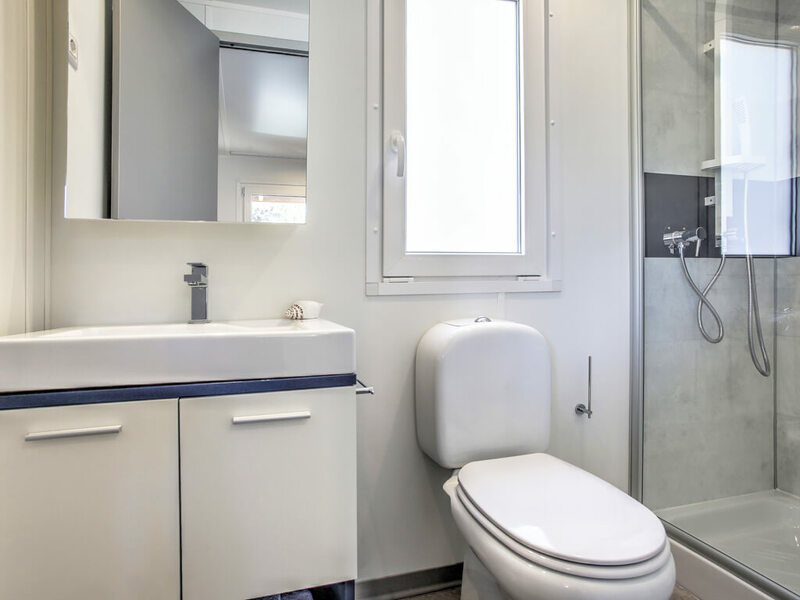 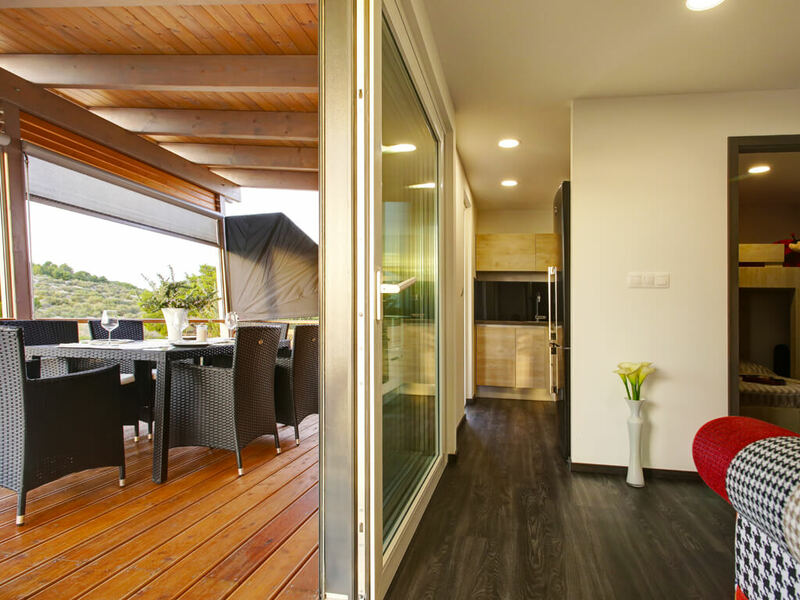 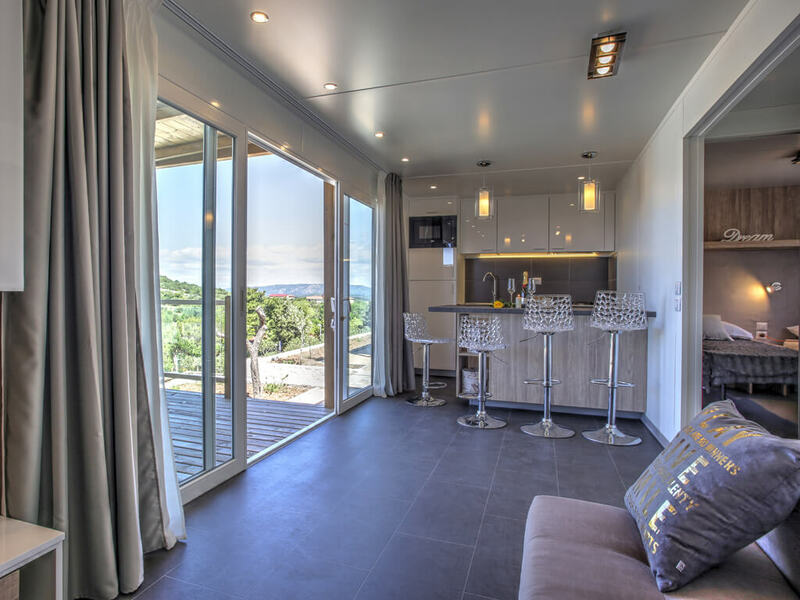 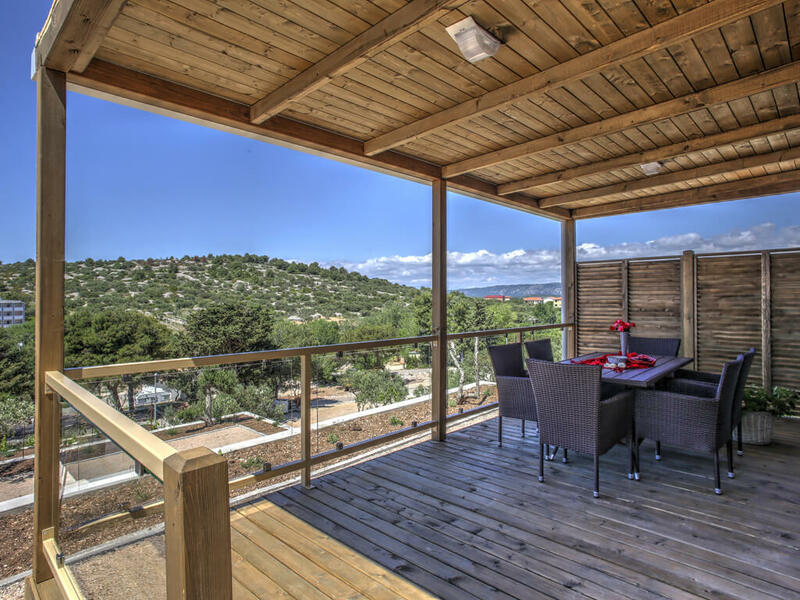 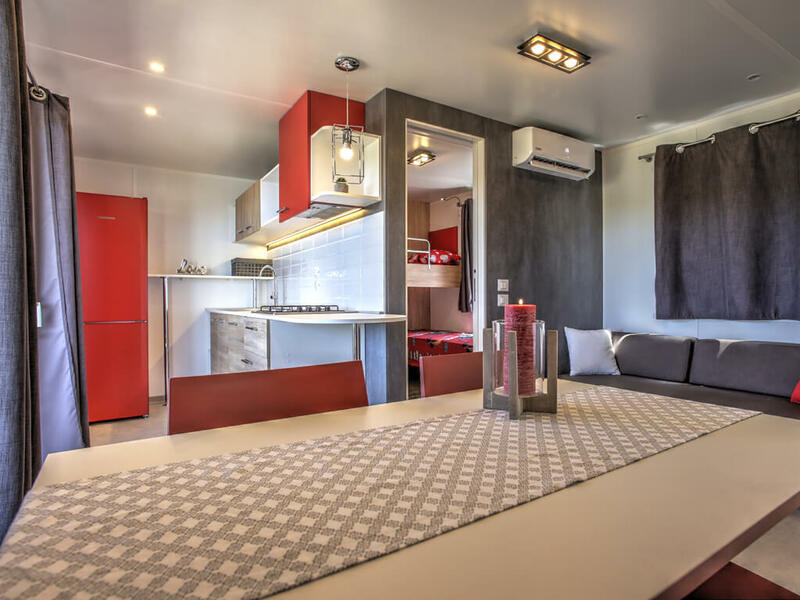 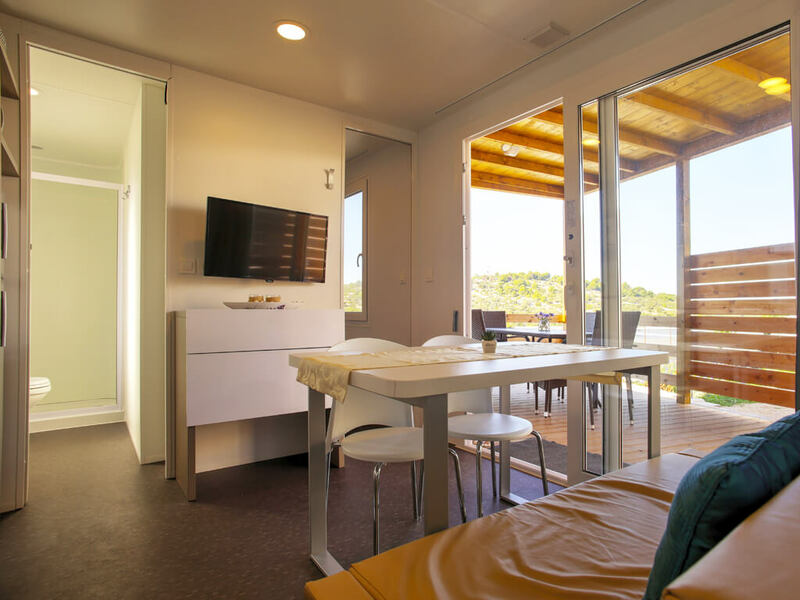 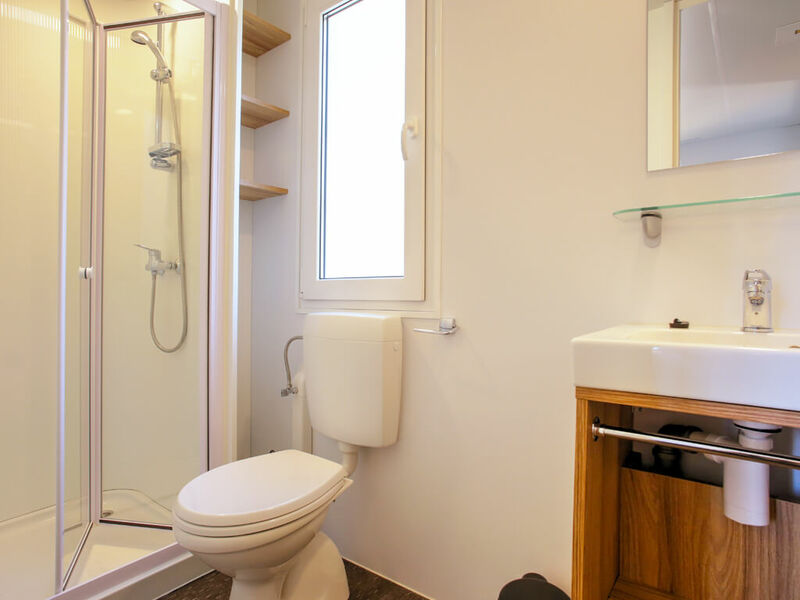 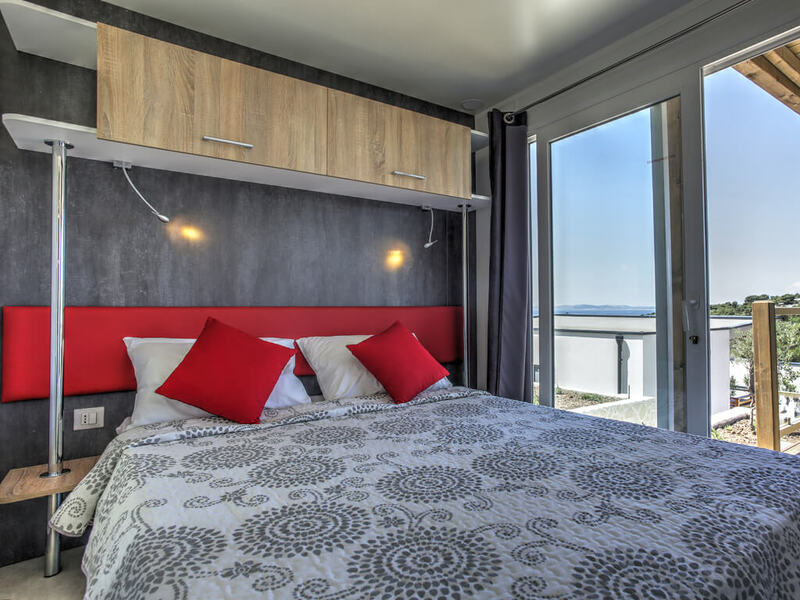 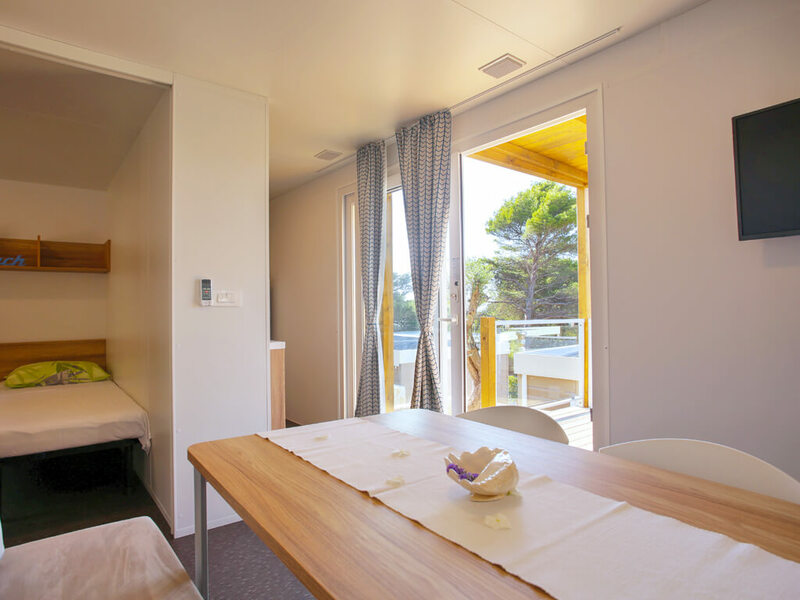 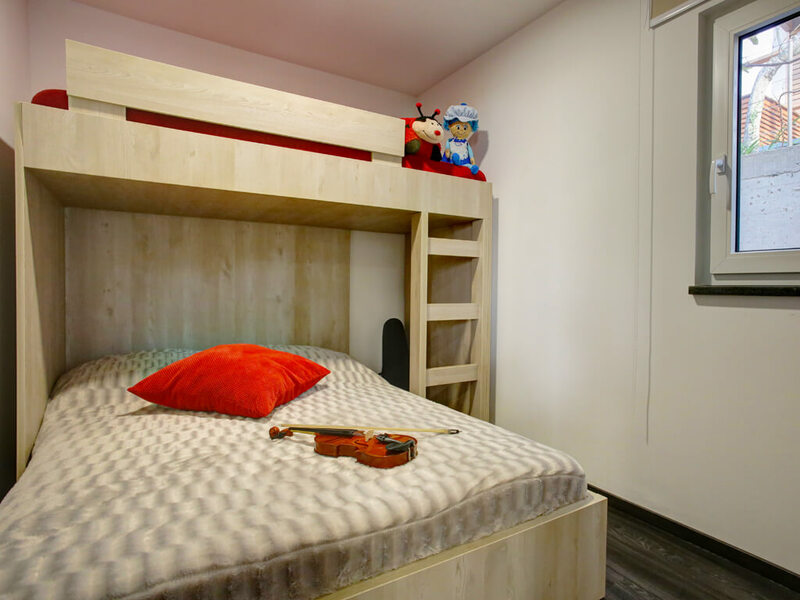 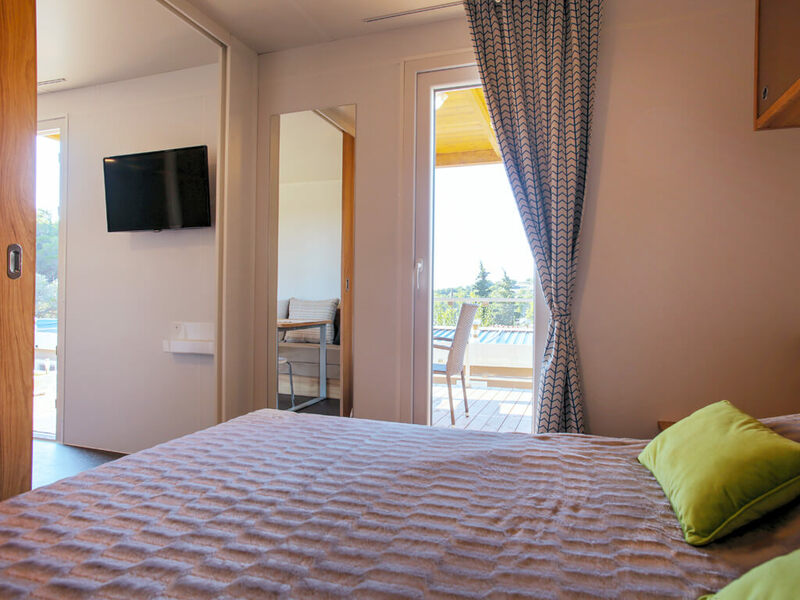 Different types of mobile homes in Šibenik are situated in excellent positions in campsites which are enriched by swimming pools, animation, beautiful beaches and a multitude of sports activities. 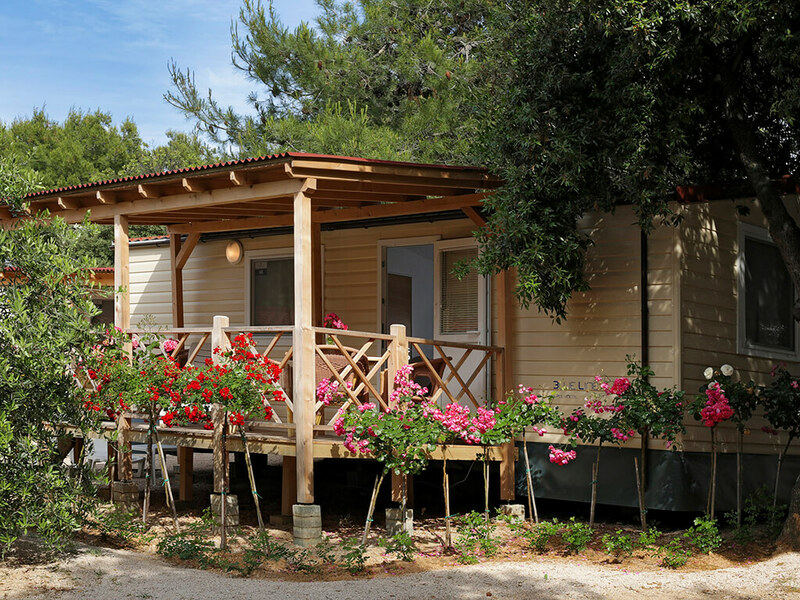 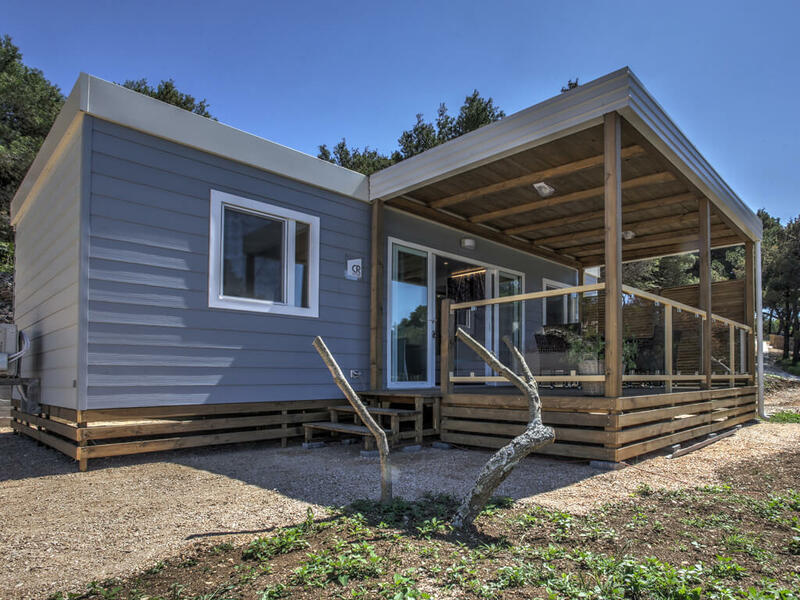 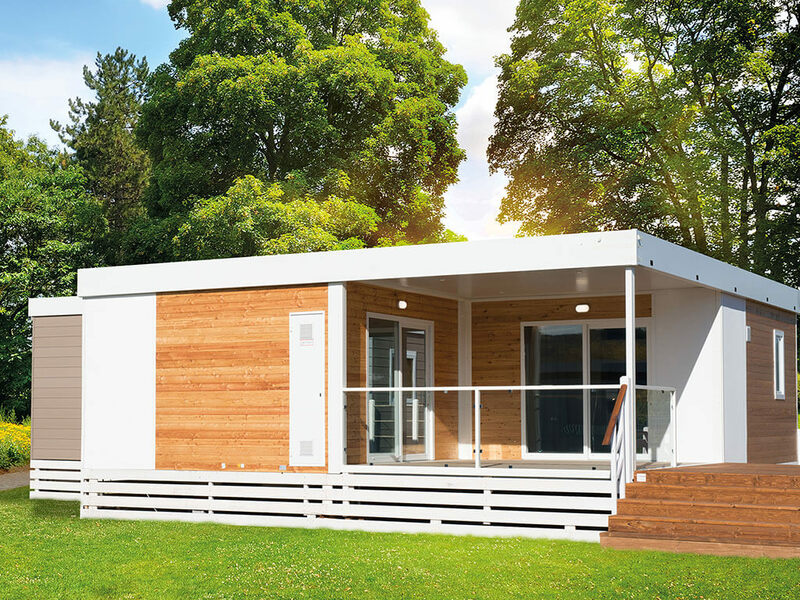 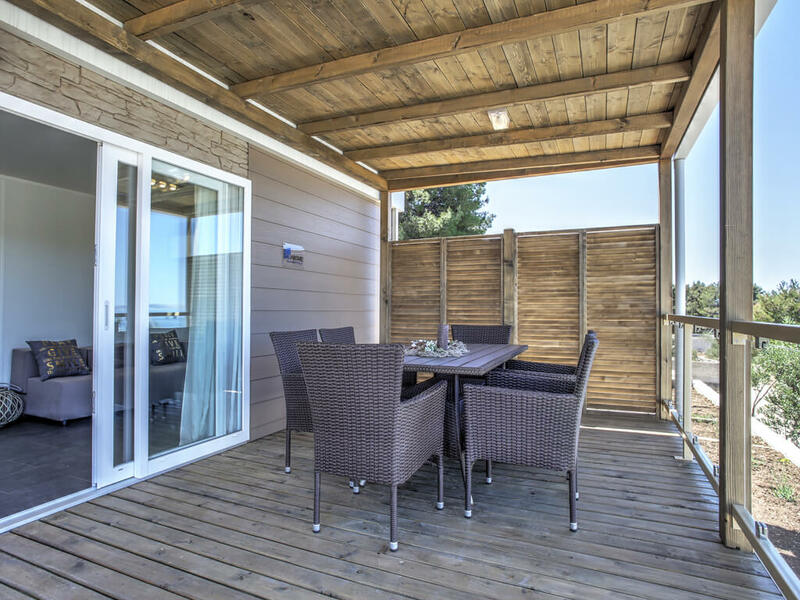 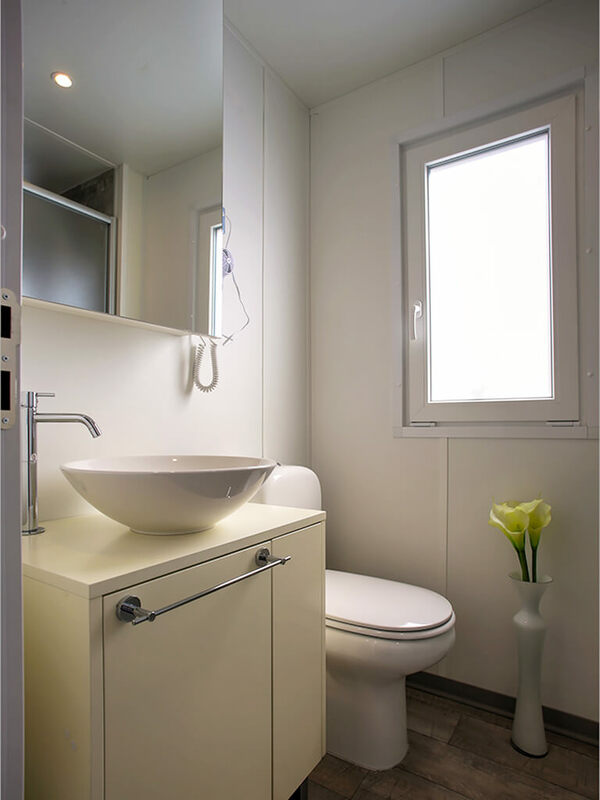 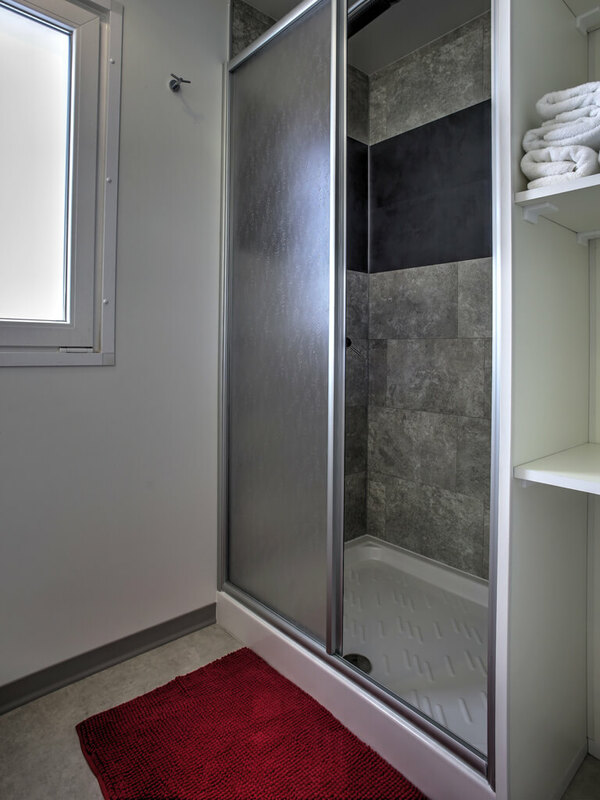 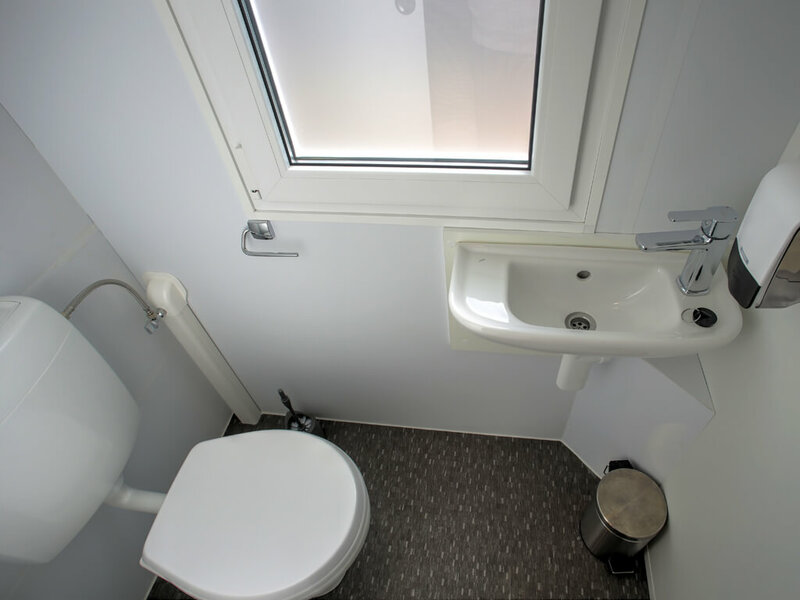 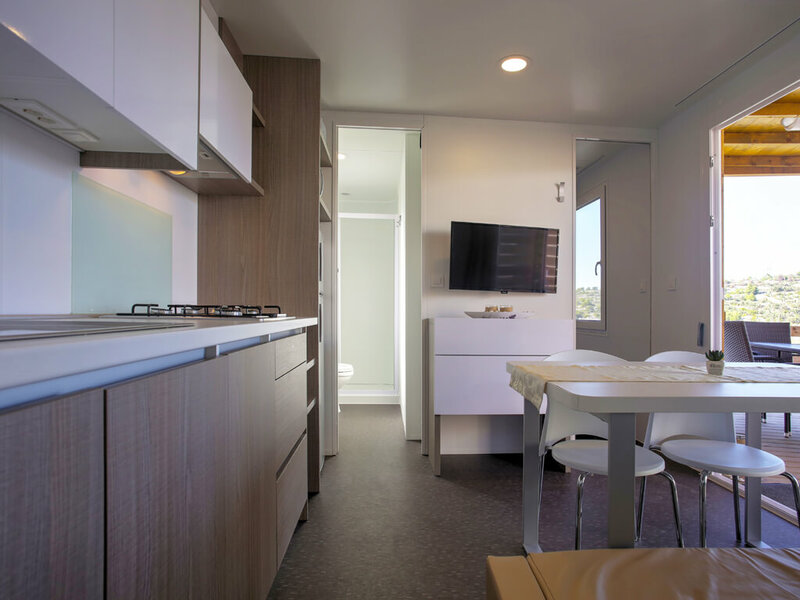 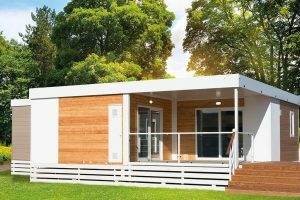 By the sea or in a pine tree forest, mobile homes provide additional privacy and comfort, on top of all modern life facilities. 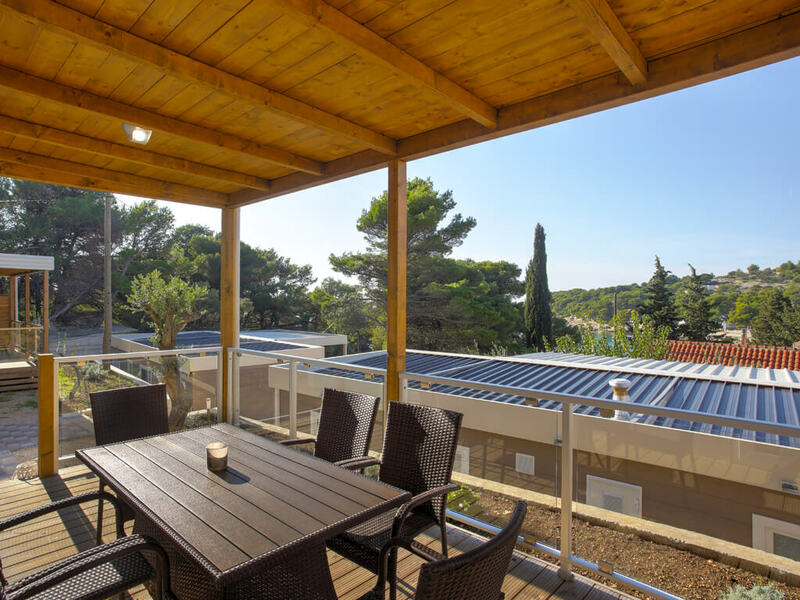 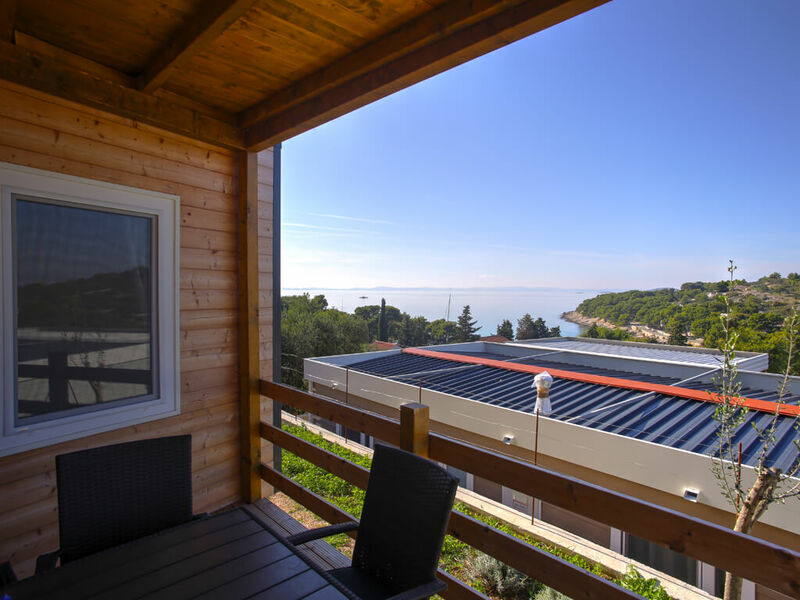 From covered terraces of the mobile homes in Vodice, a view spreads of the campsite surrounding greenery and of the Adriatic Sea. 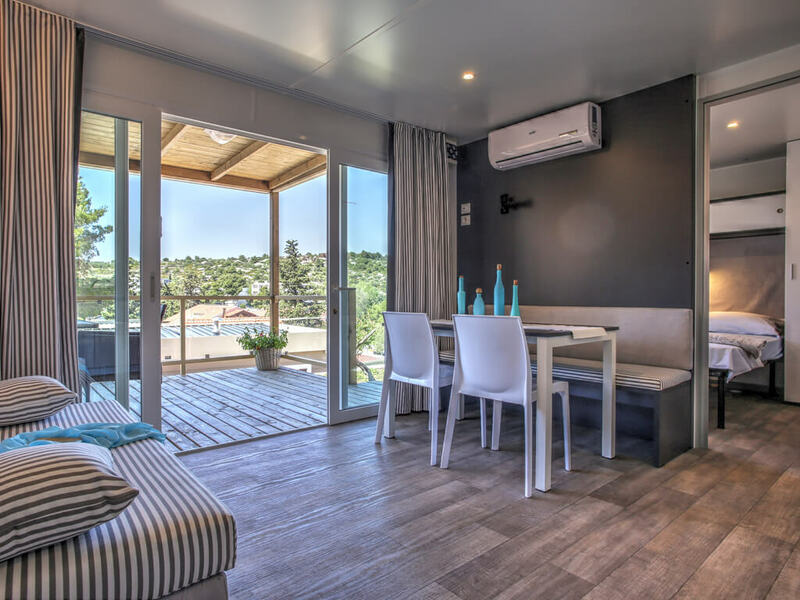 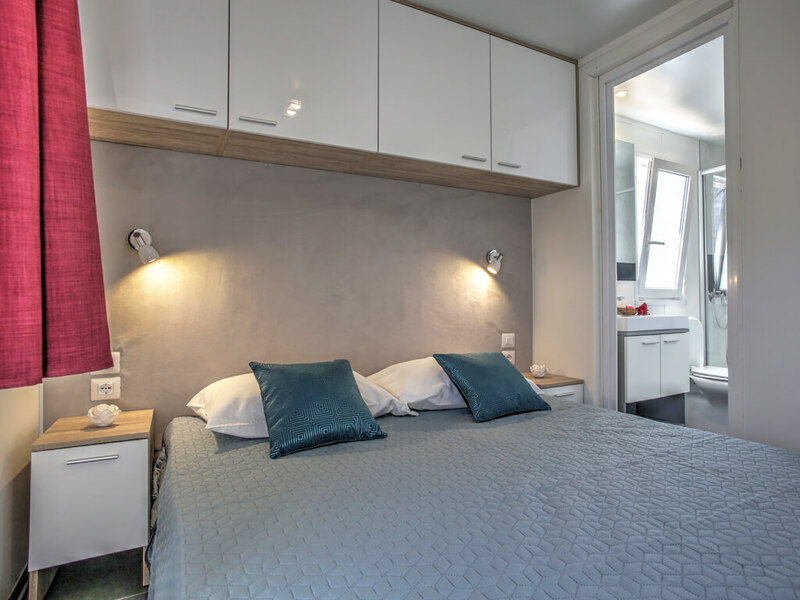 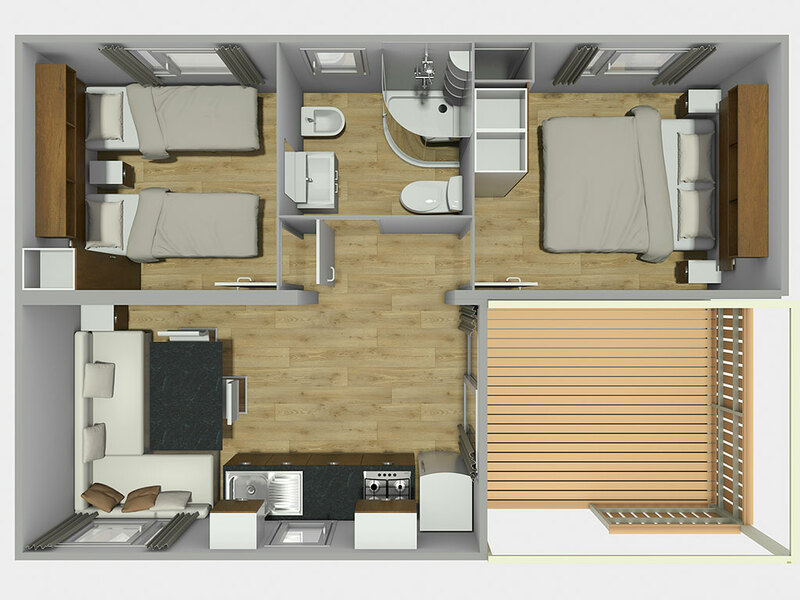 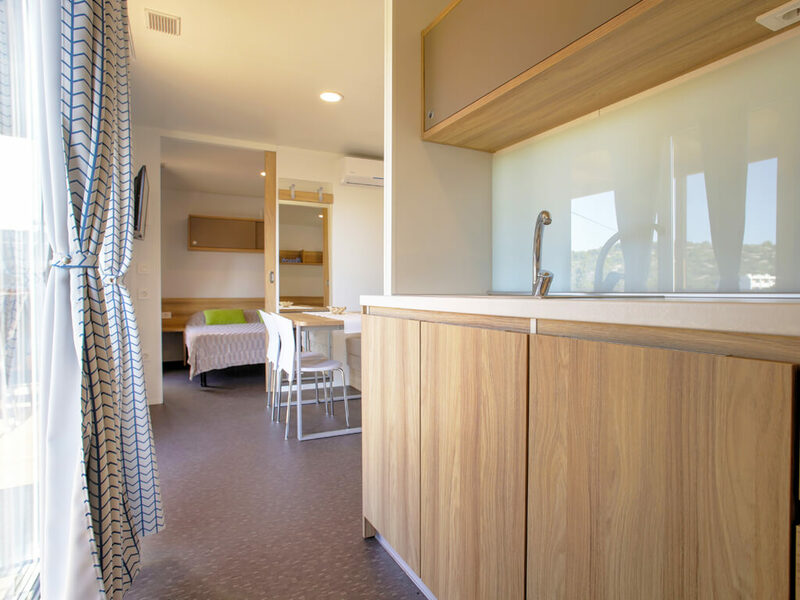 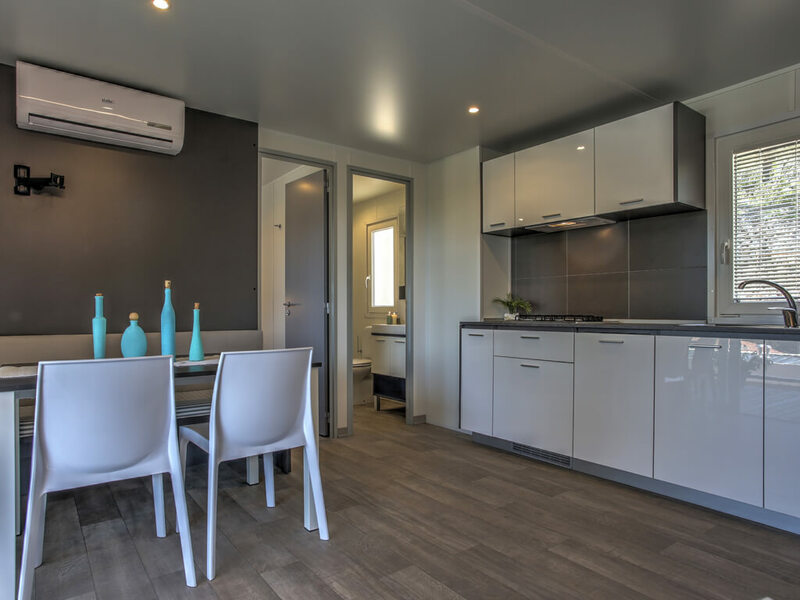 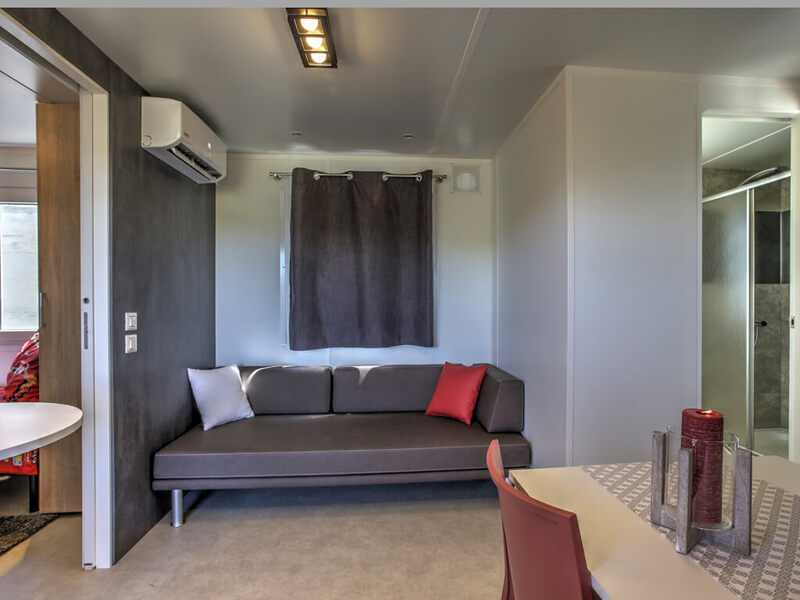 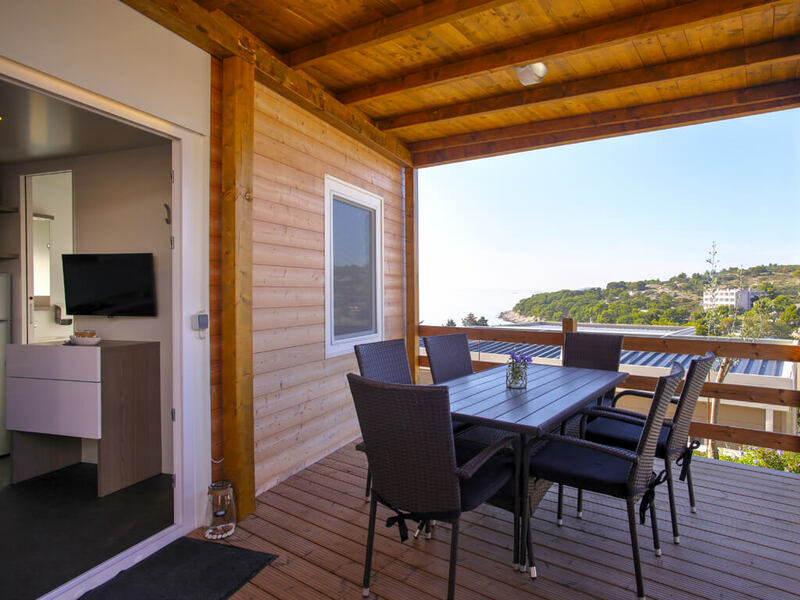 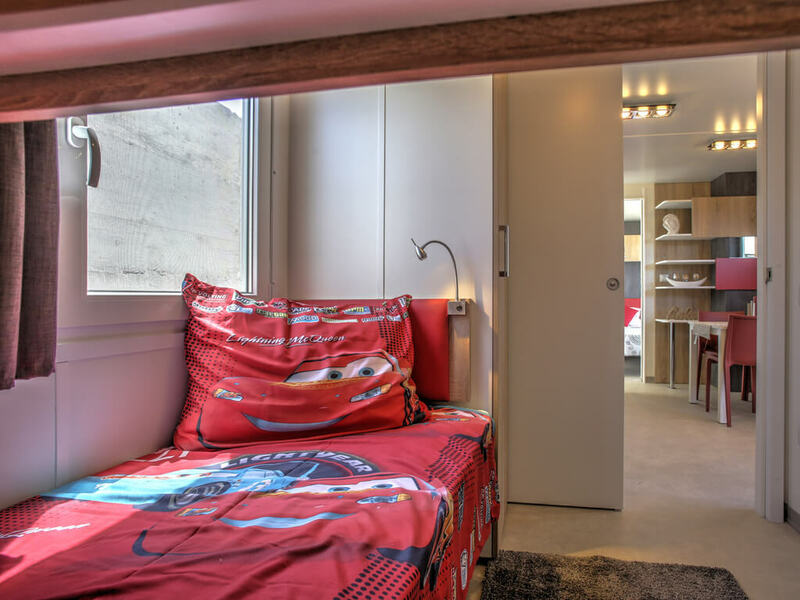 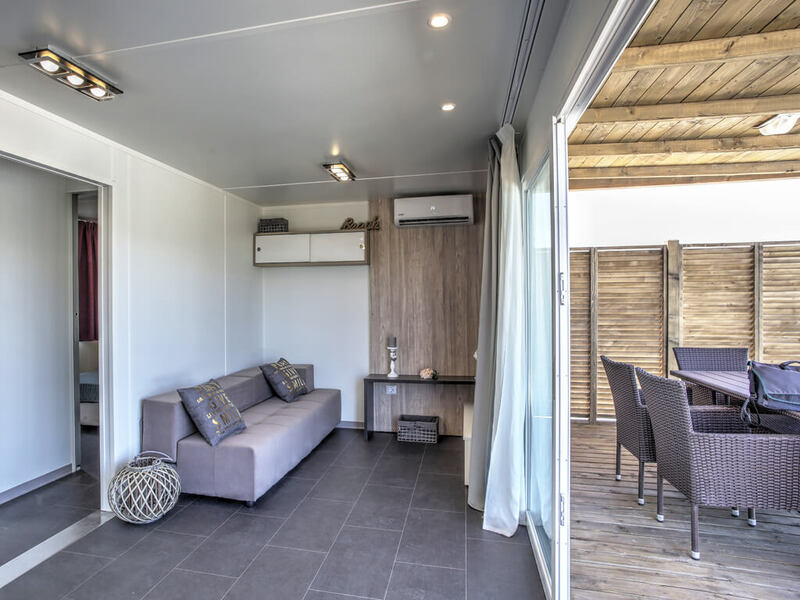 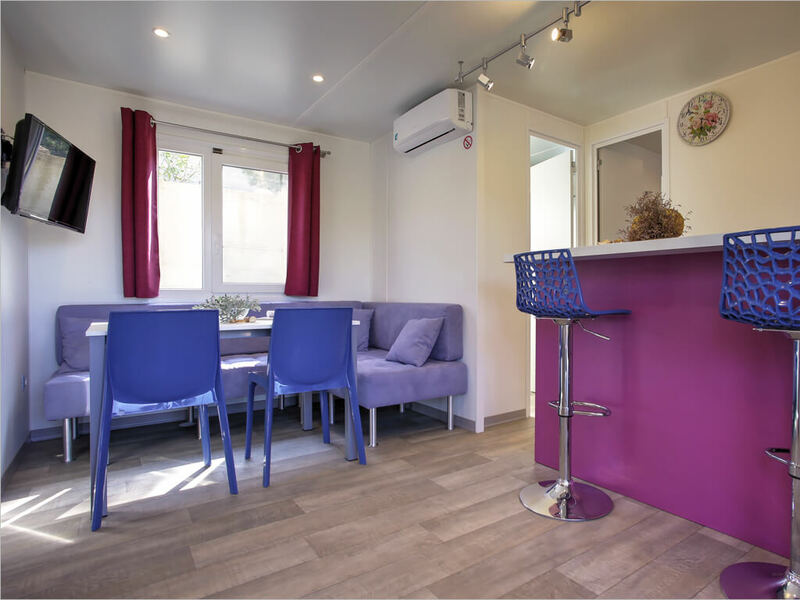 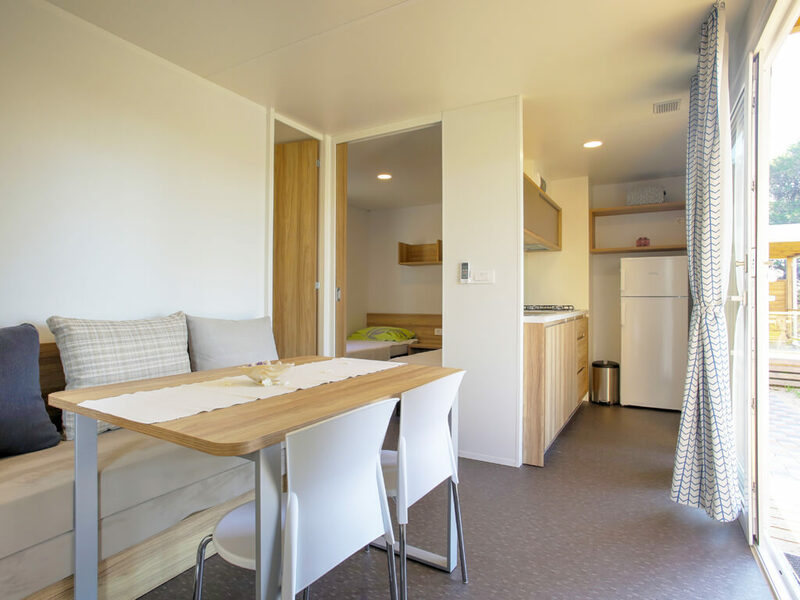 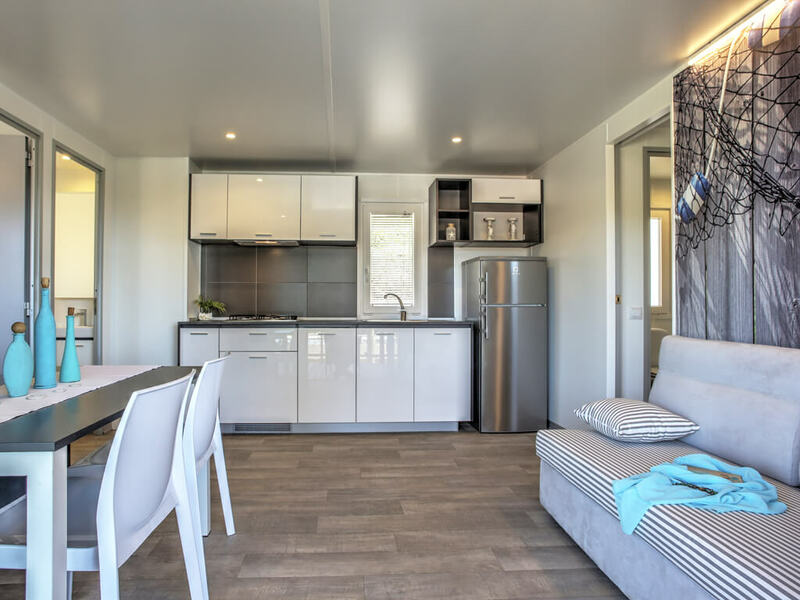 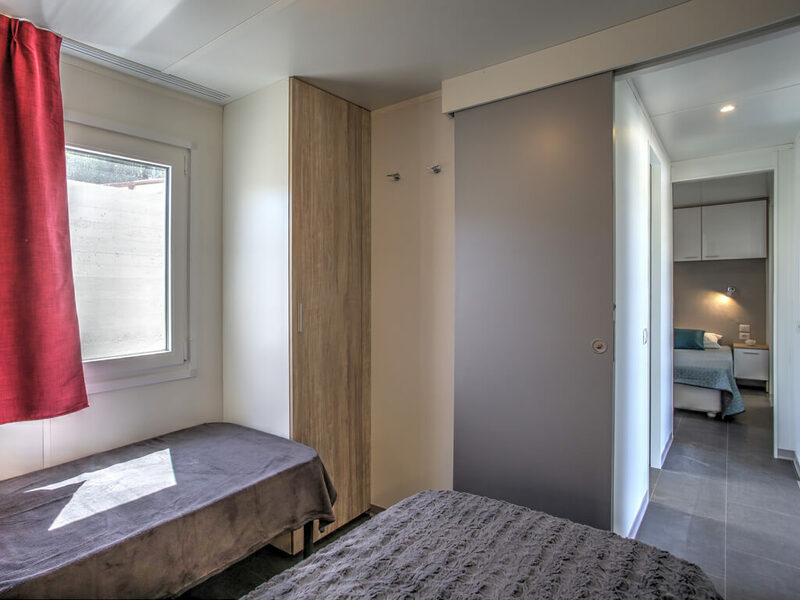 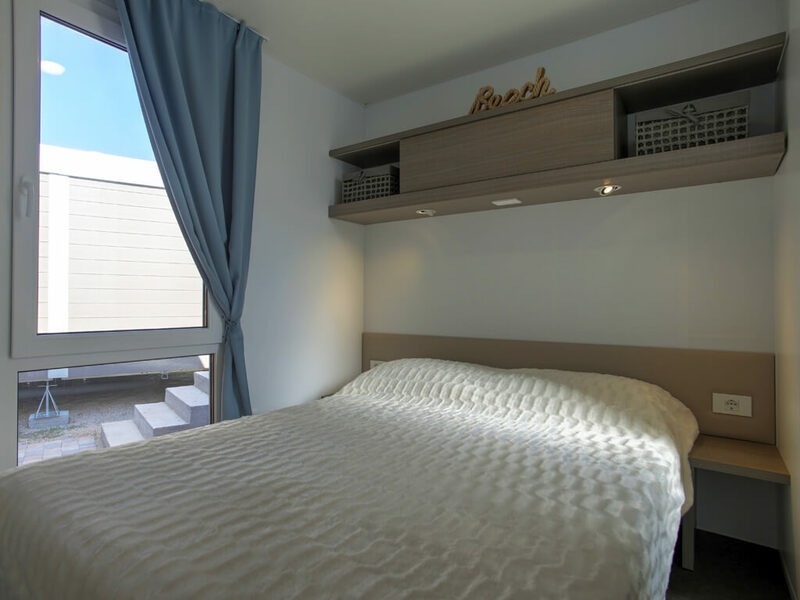 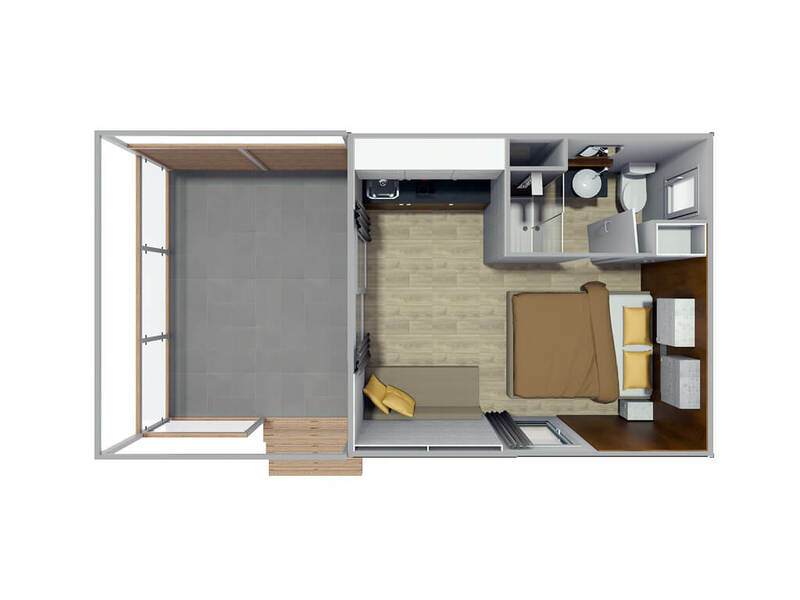 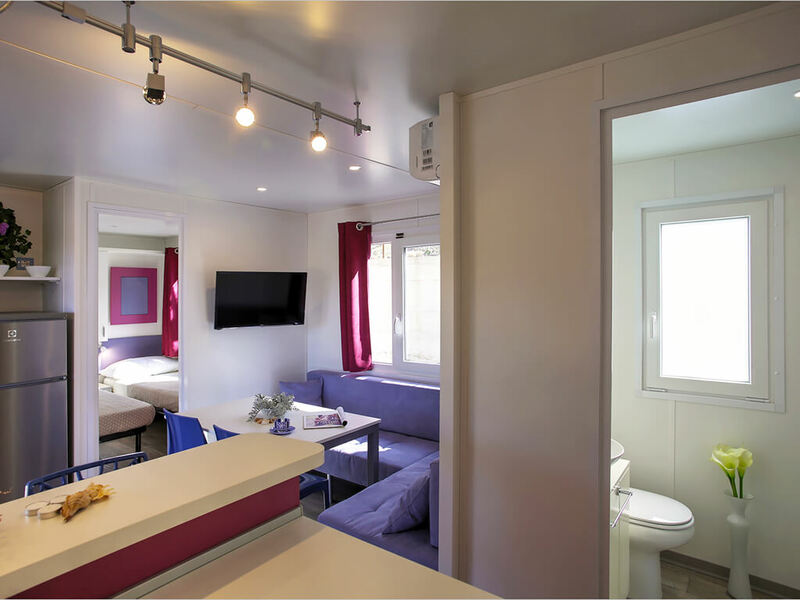 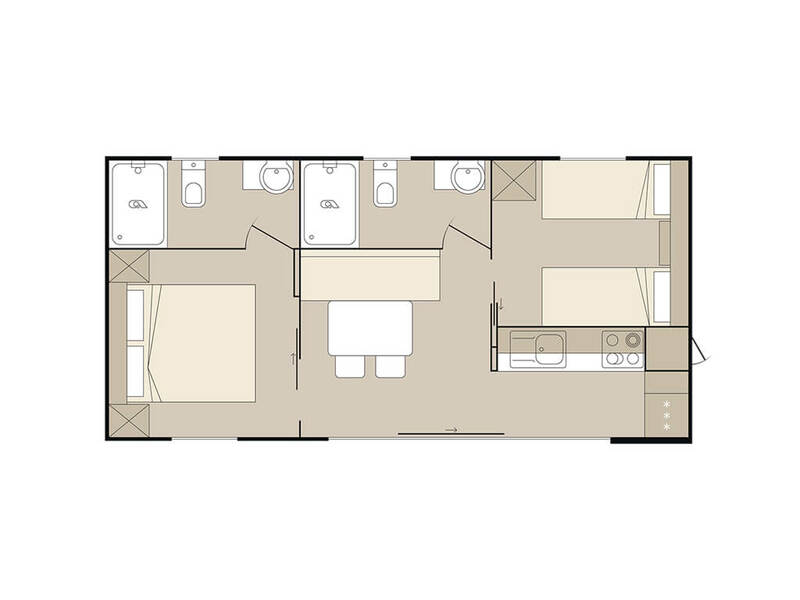 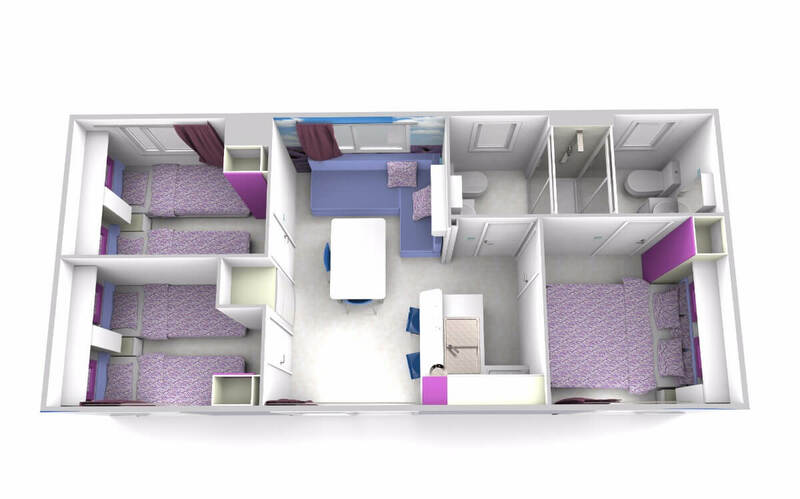 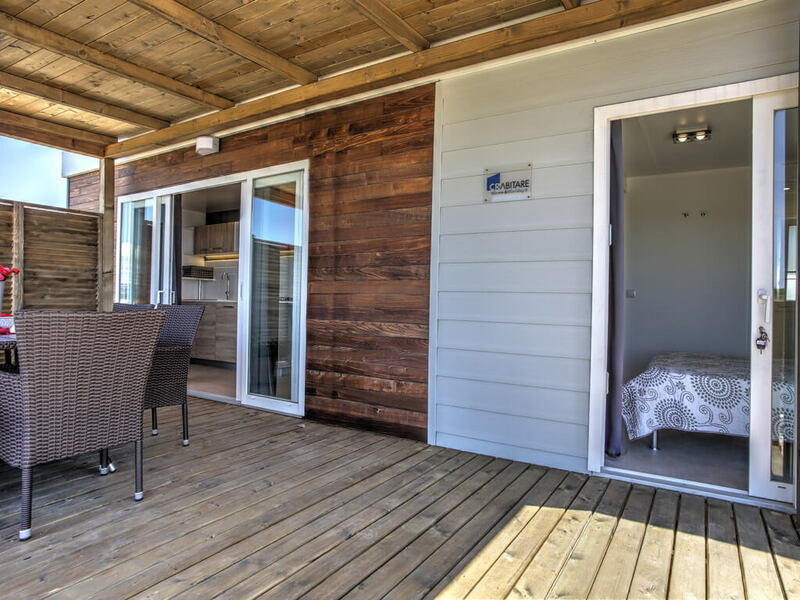 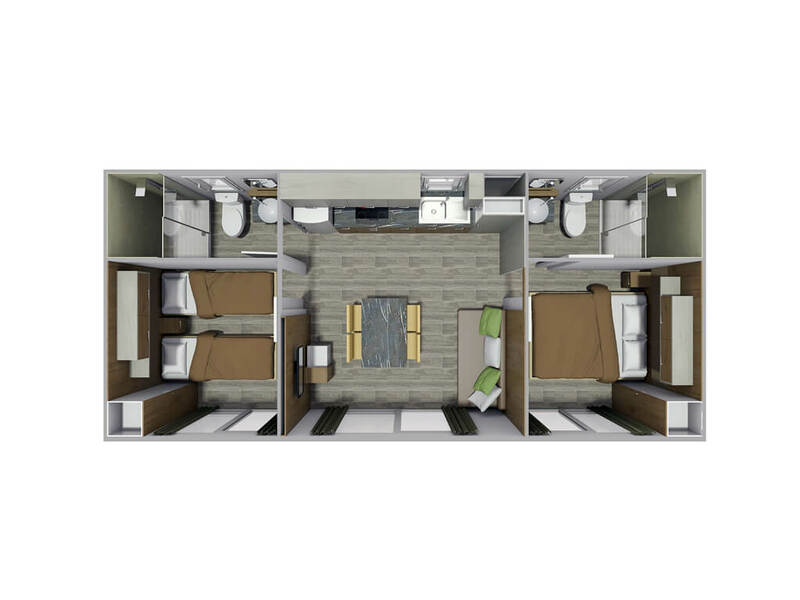 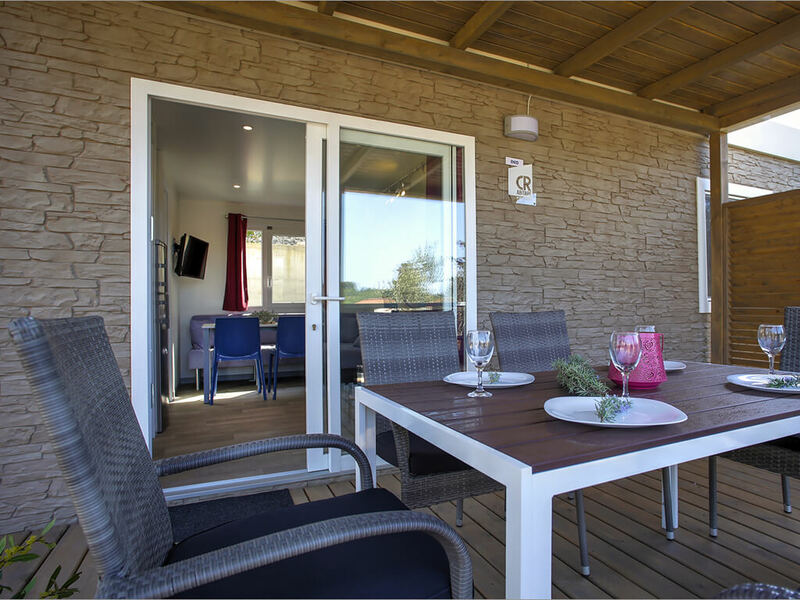 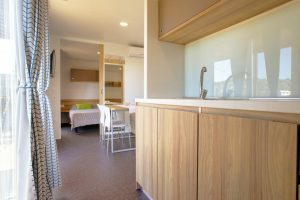 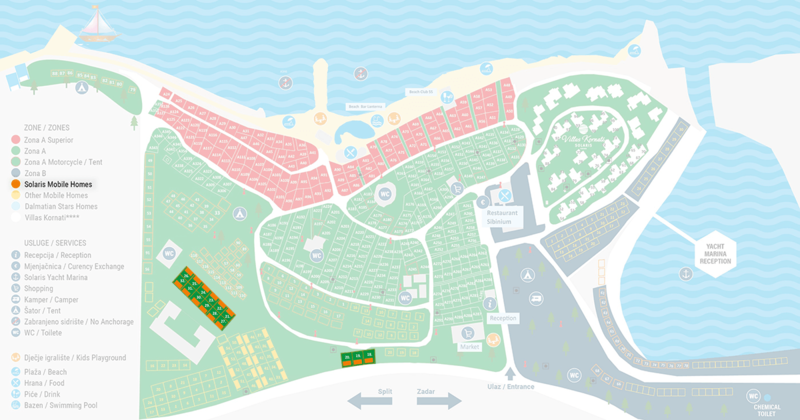 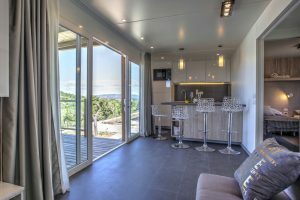 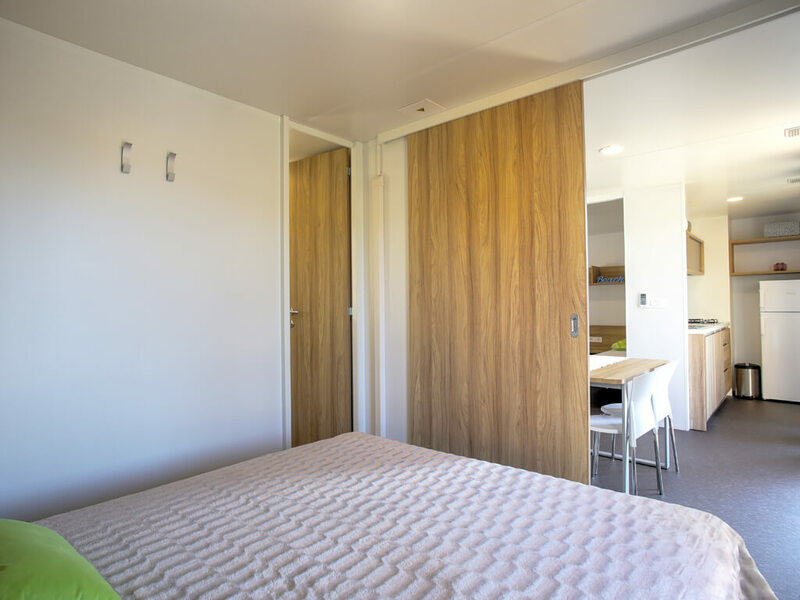 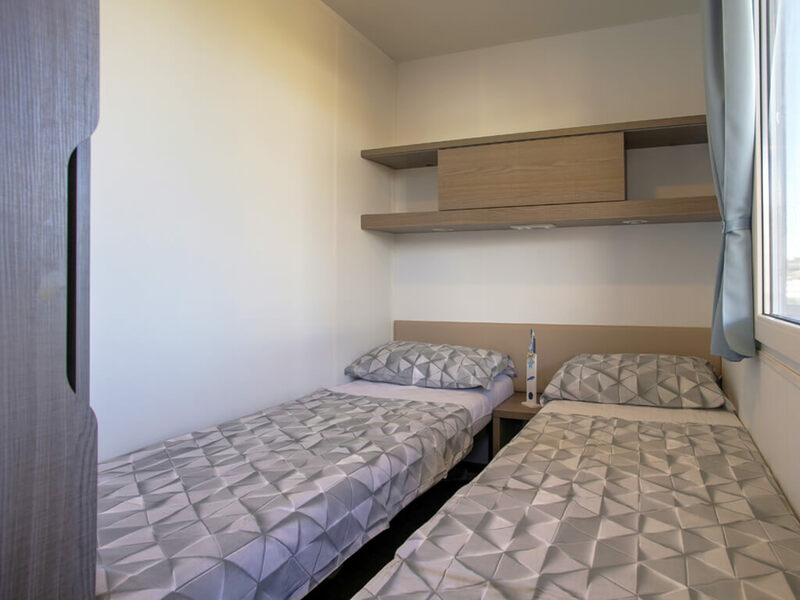 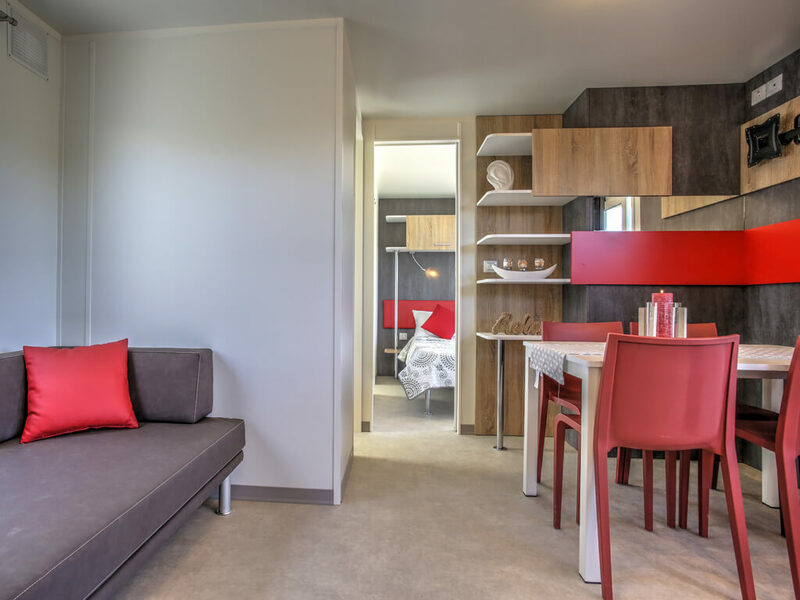 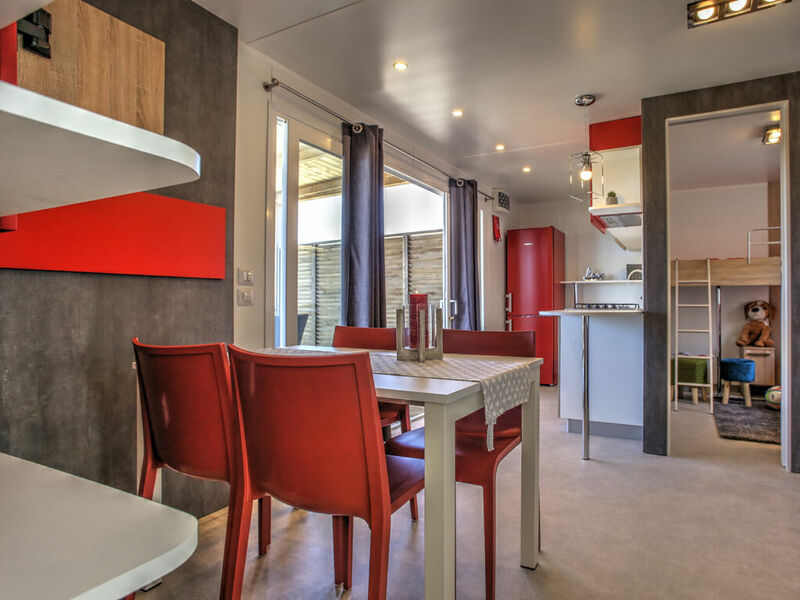 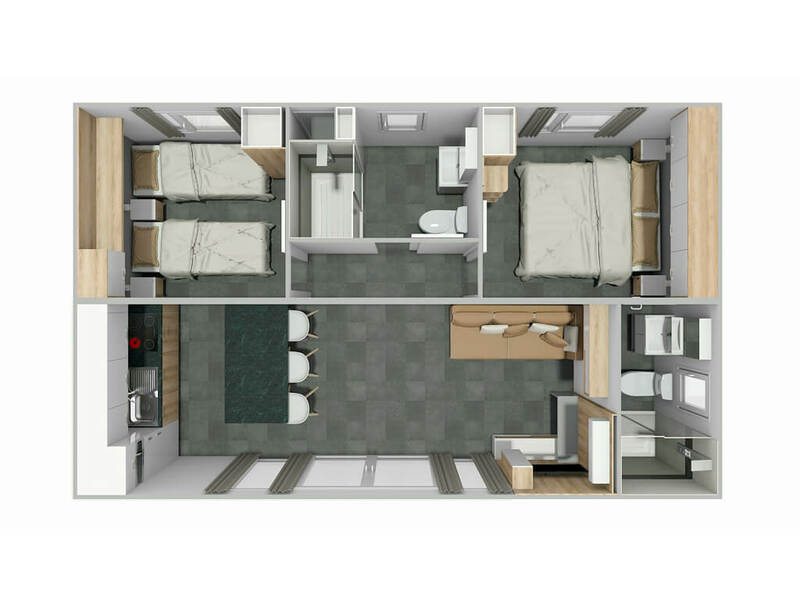 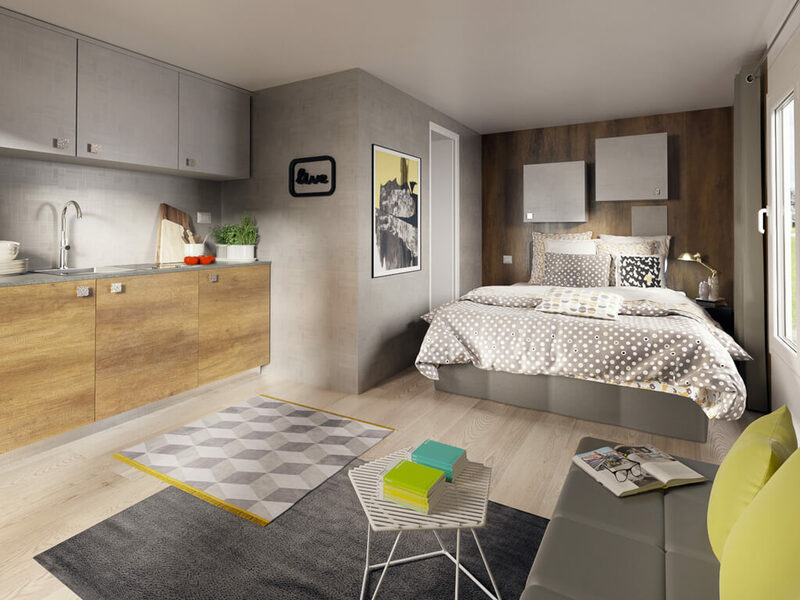 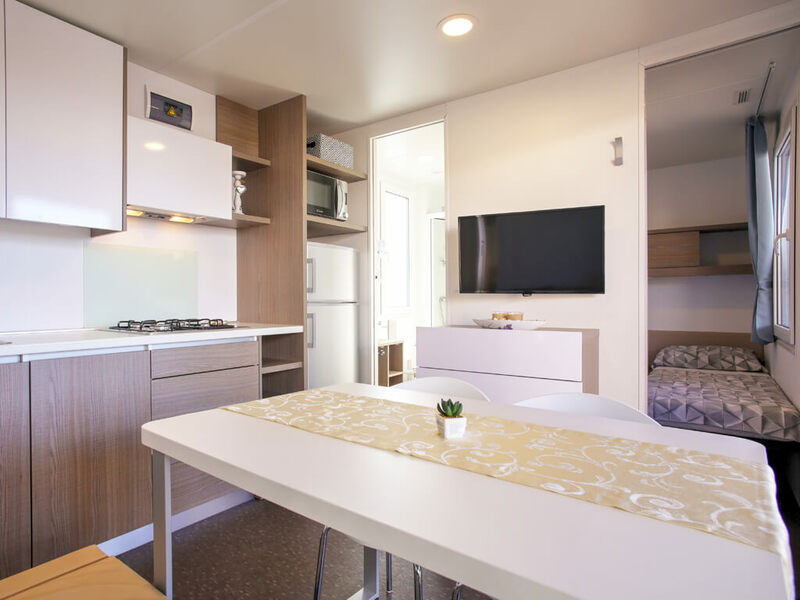 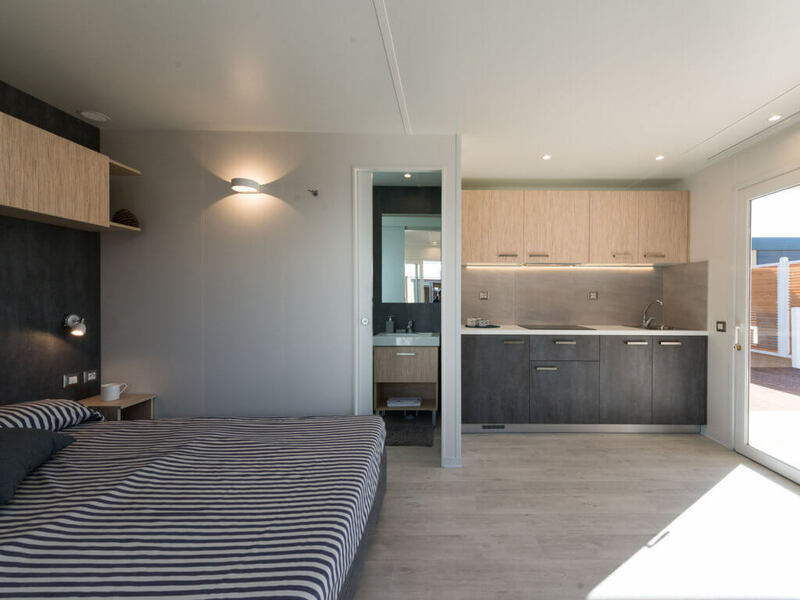 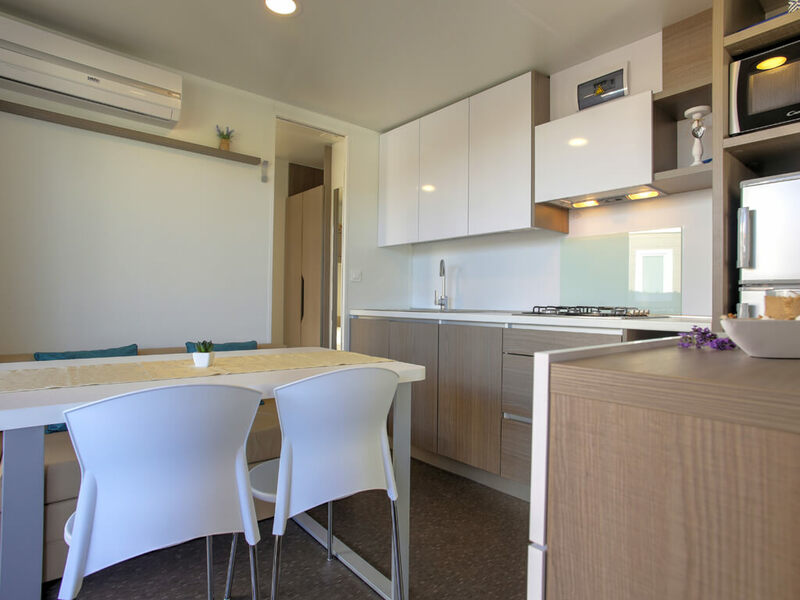 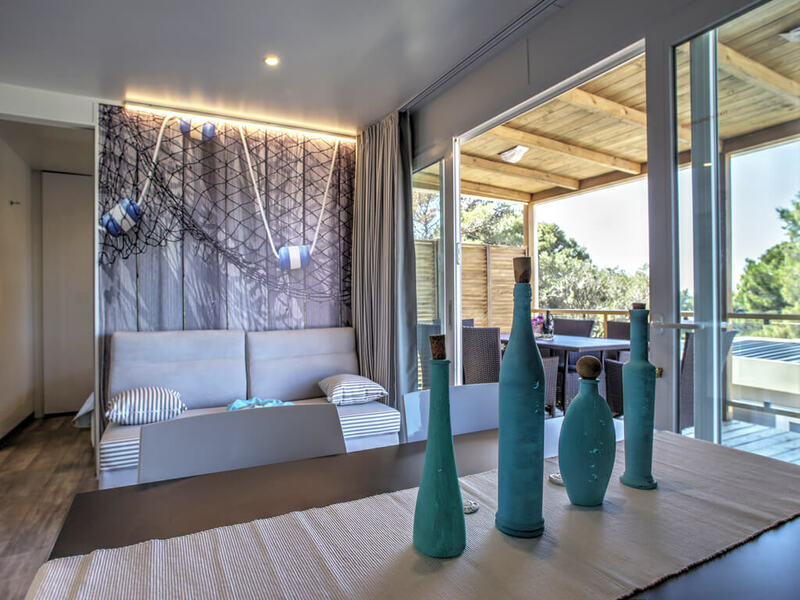 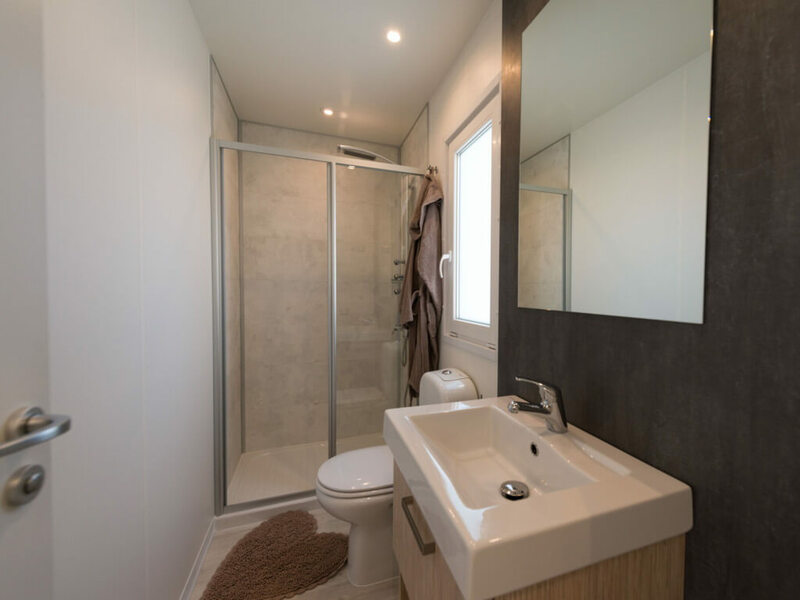 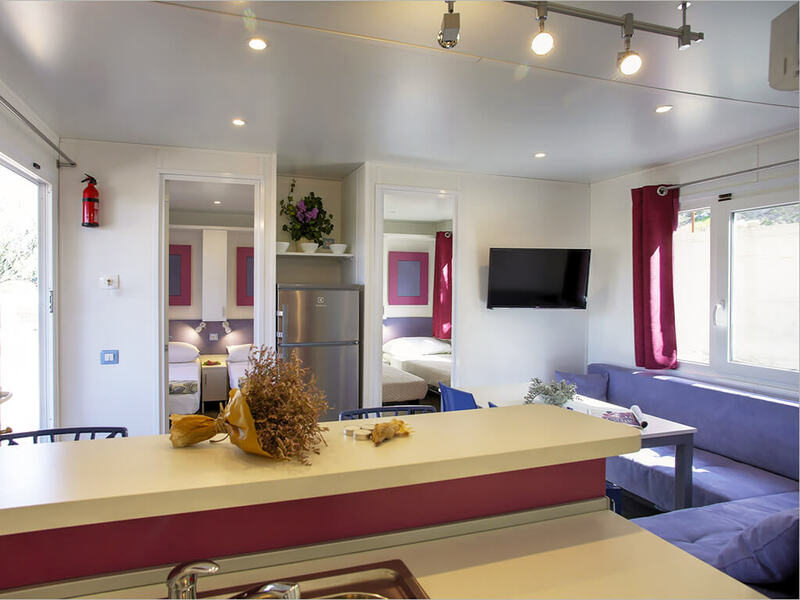 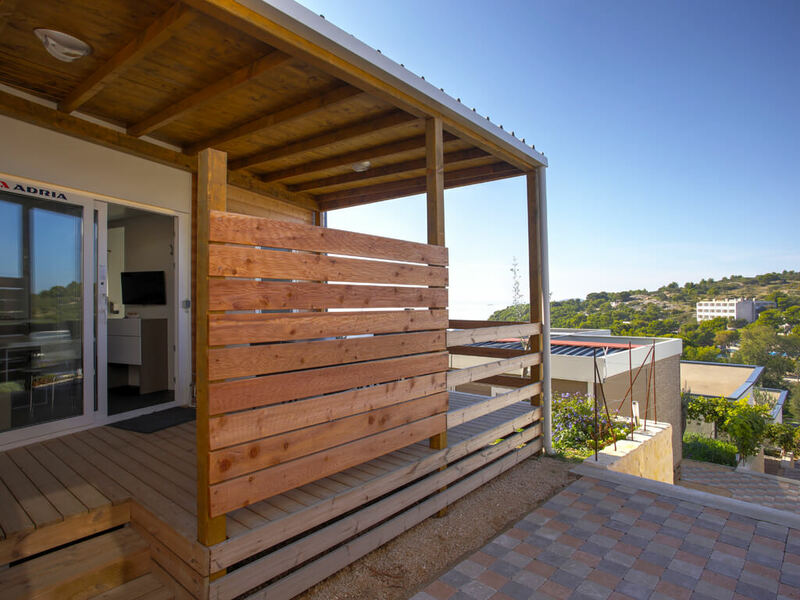 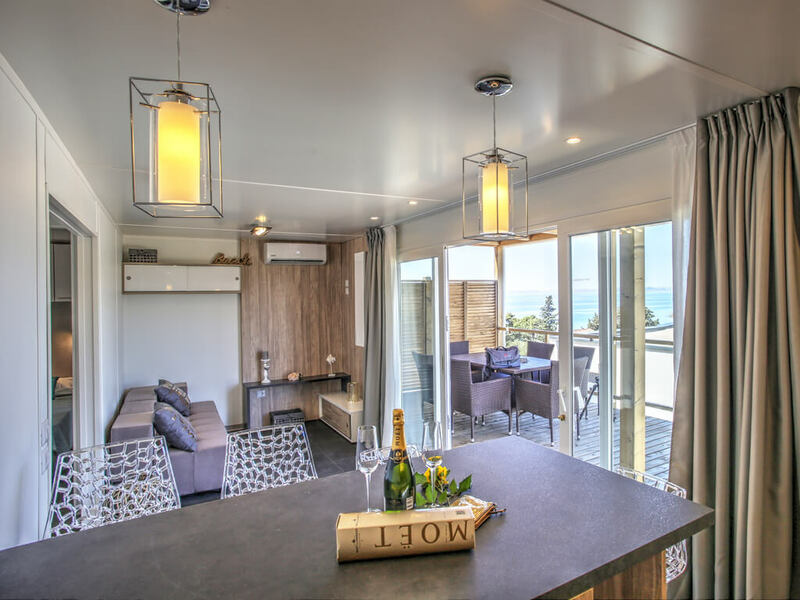 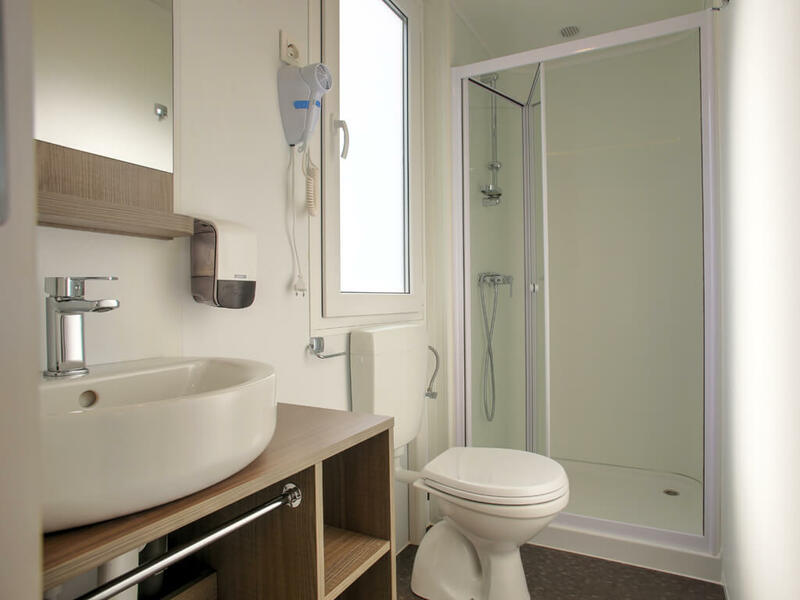 New mobile homes on the Island of Murter are ideal for stays of couples, but also of families with two or more children!